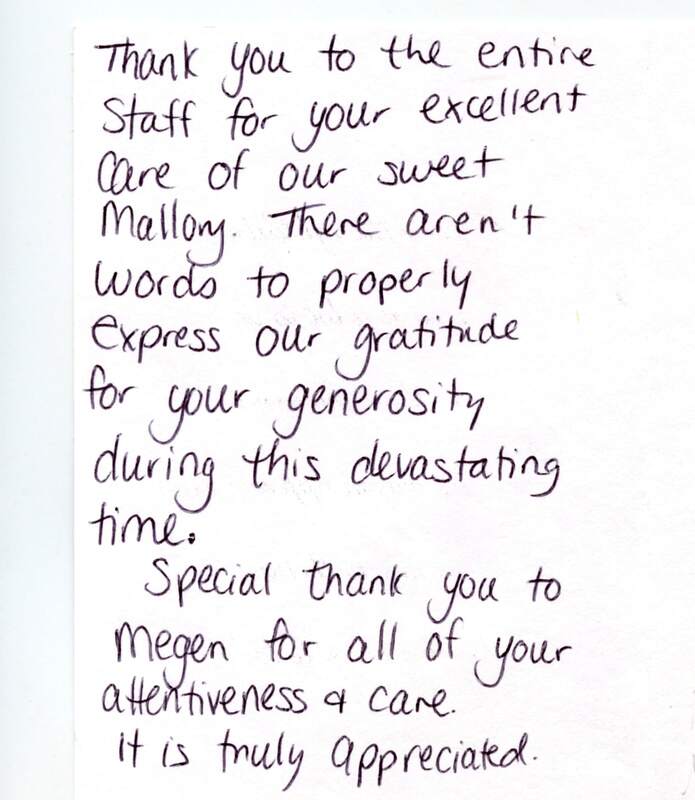 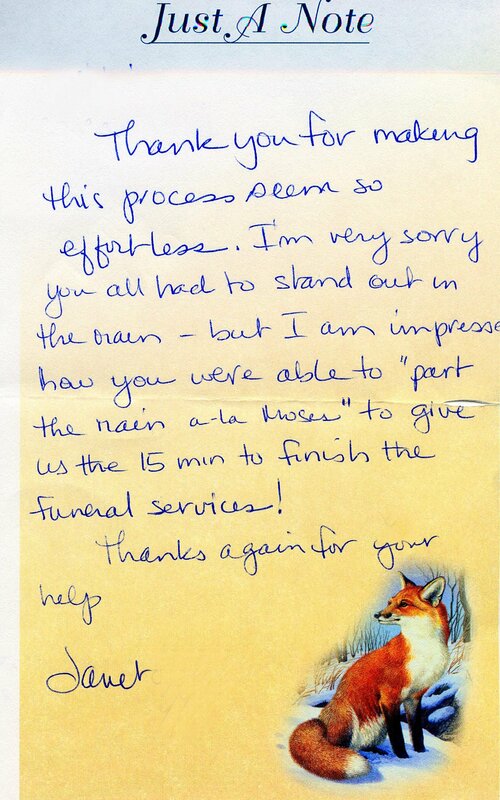 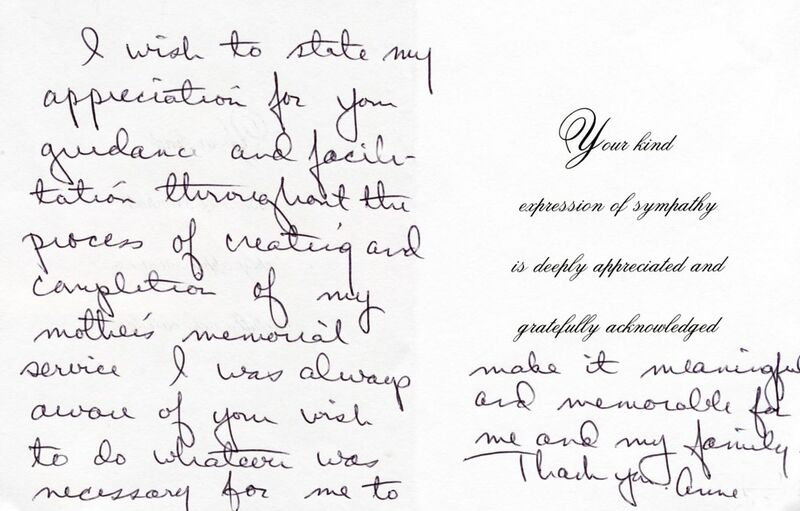 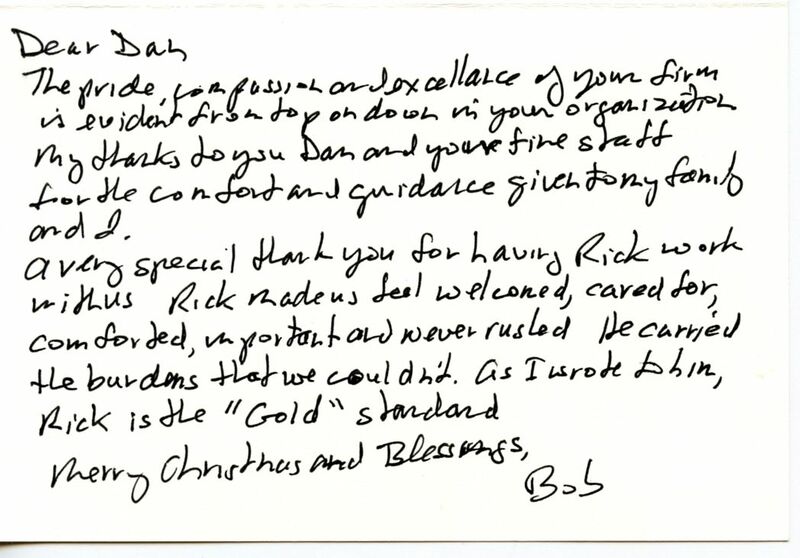 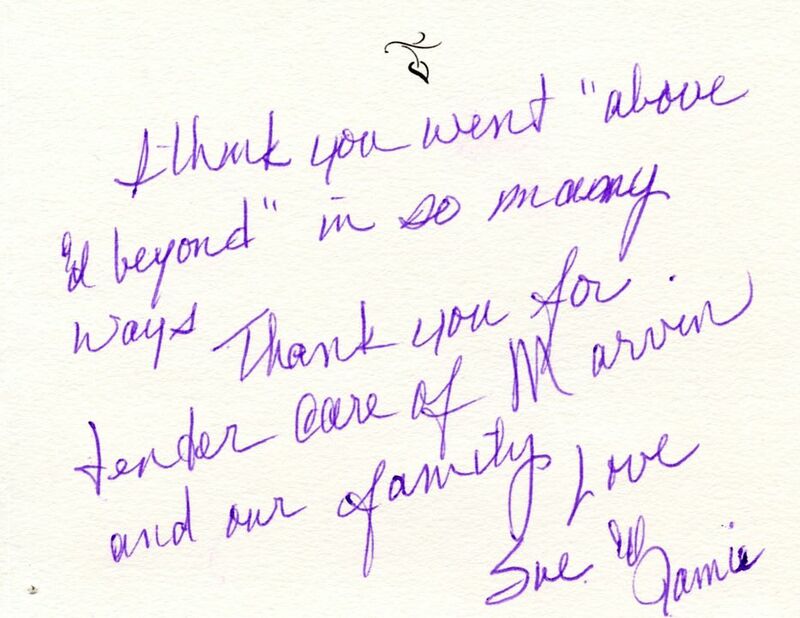 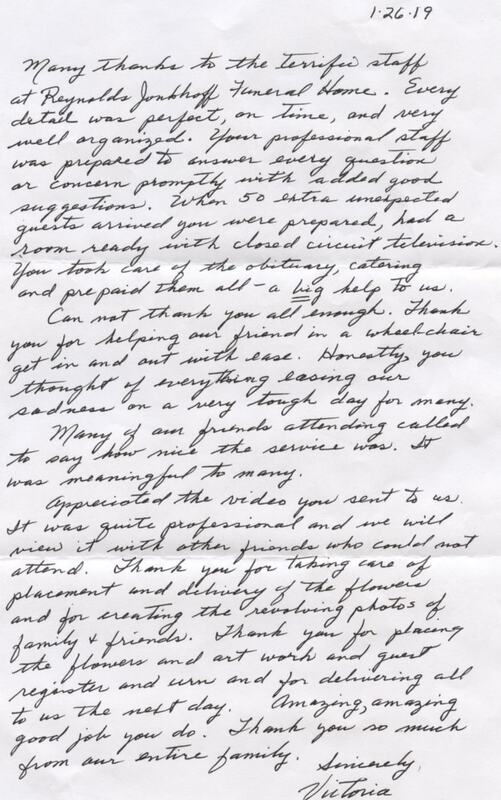 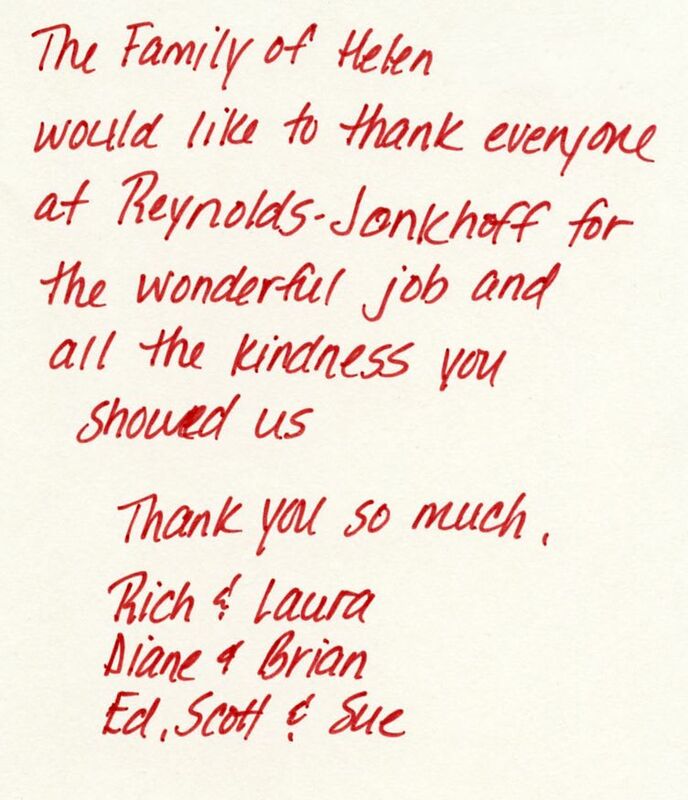 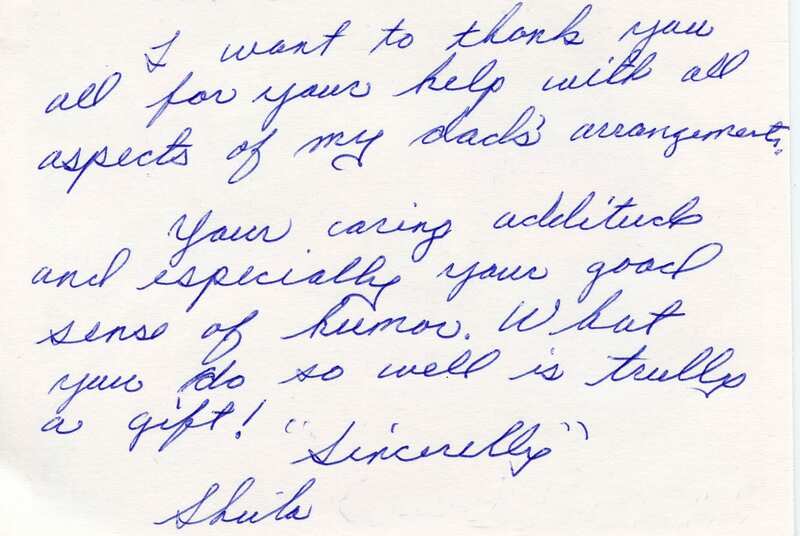 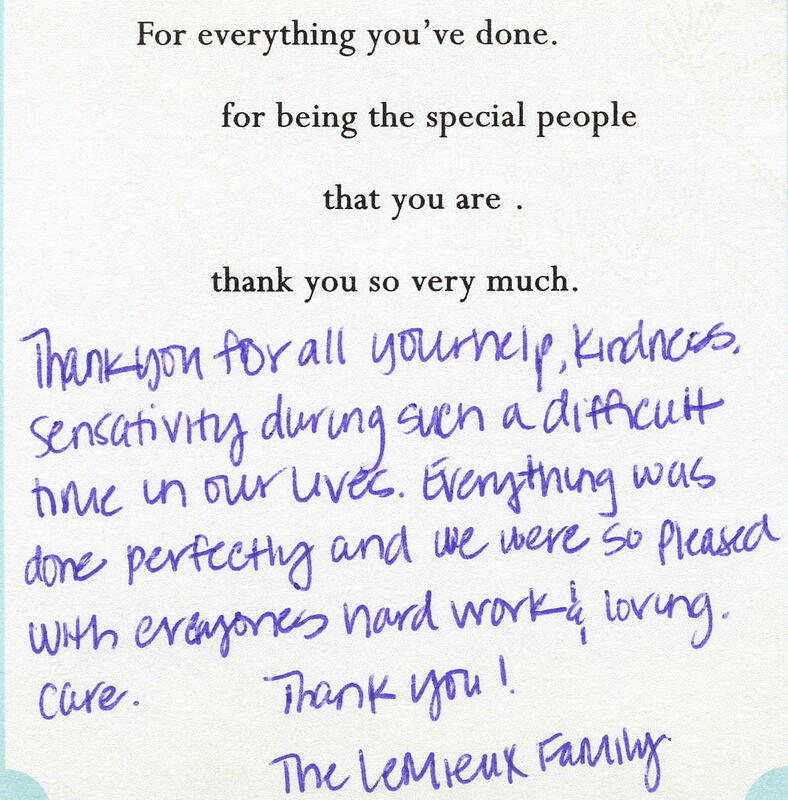 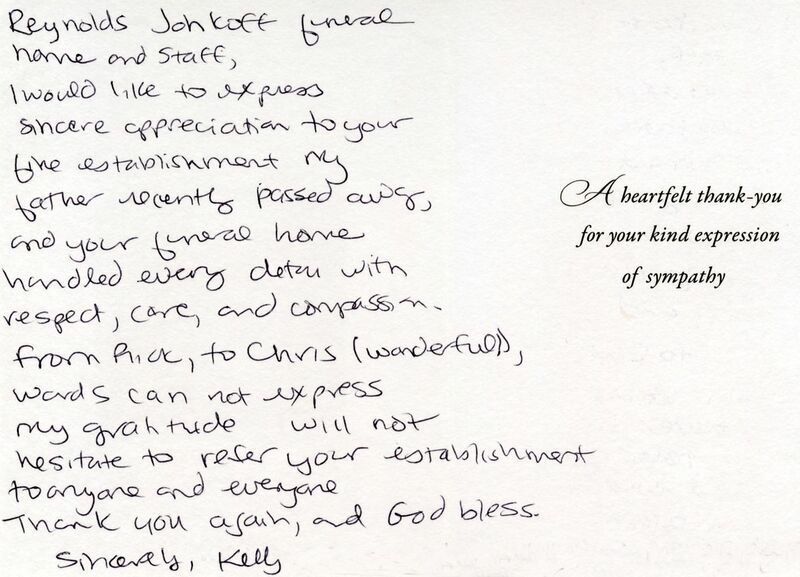 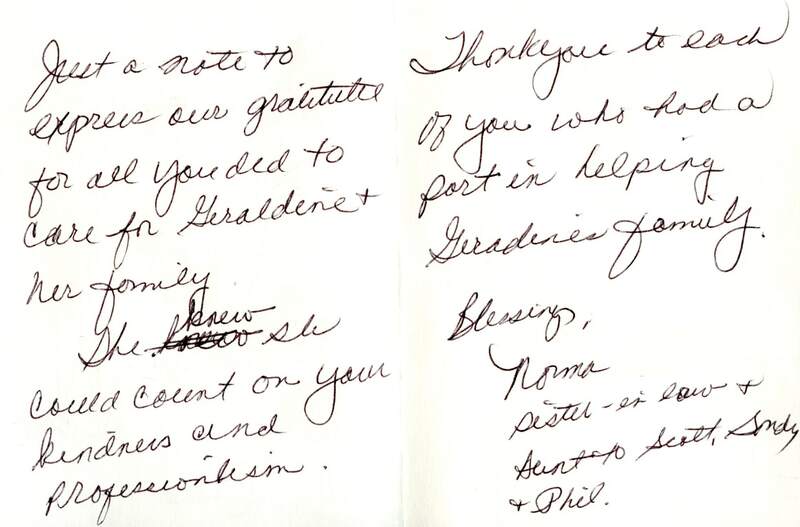 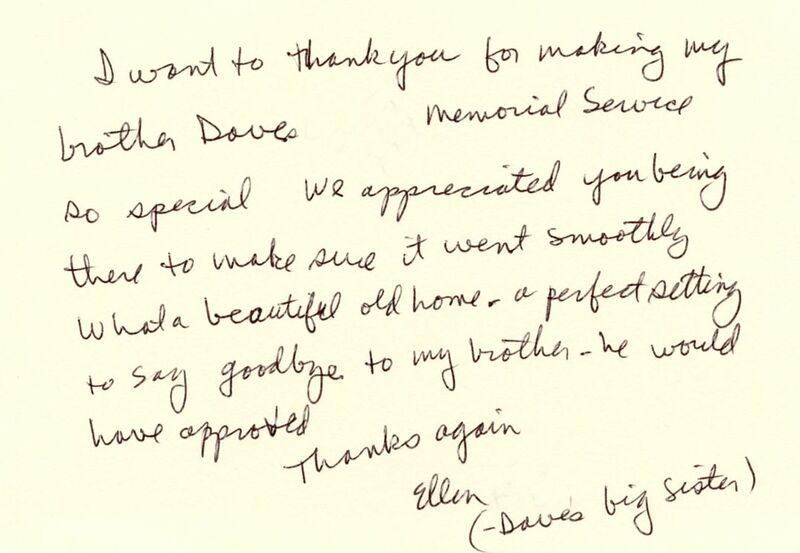 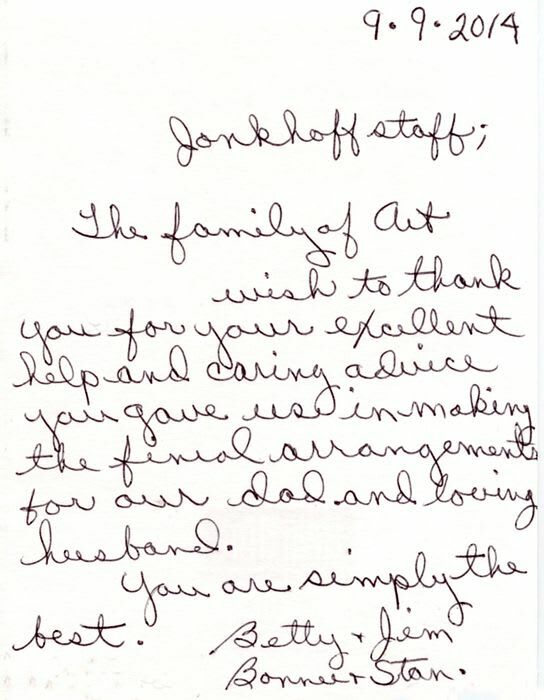 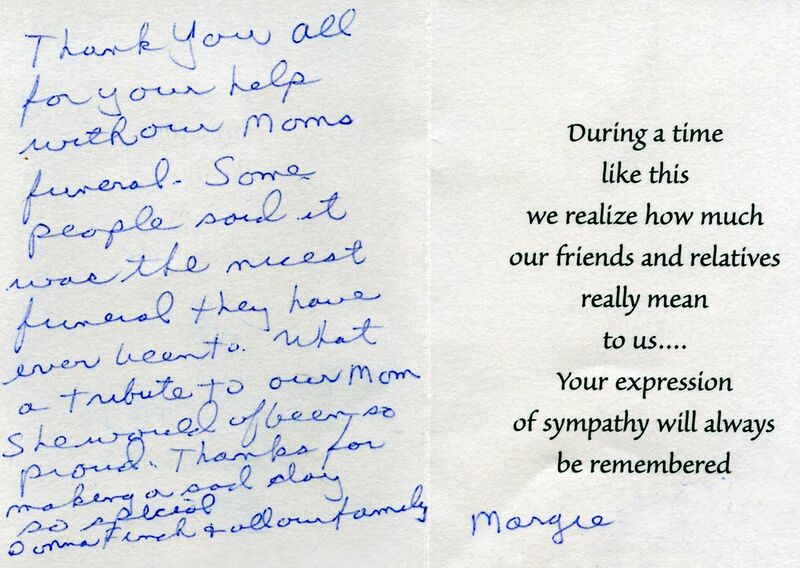 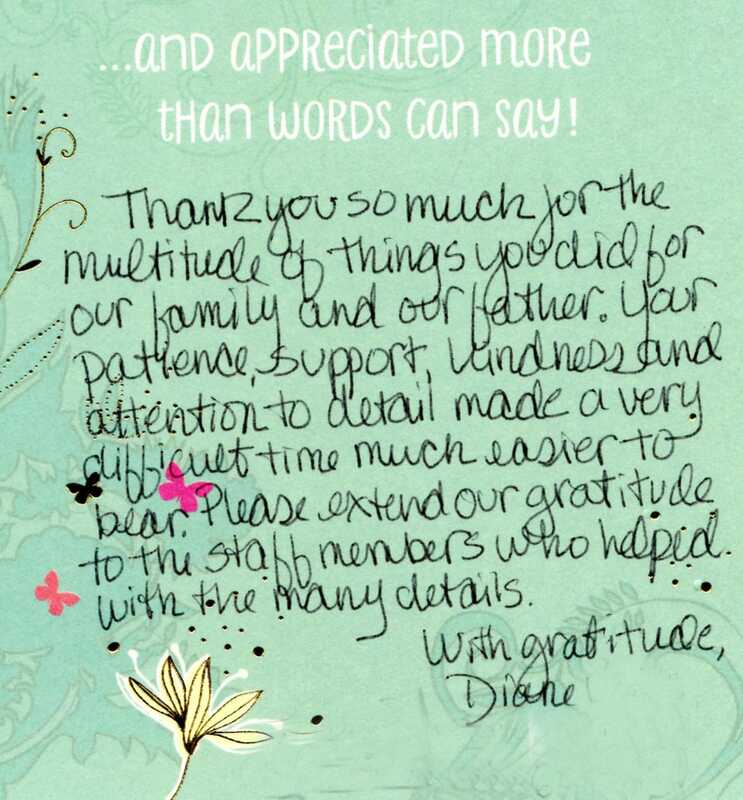 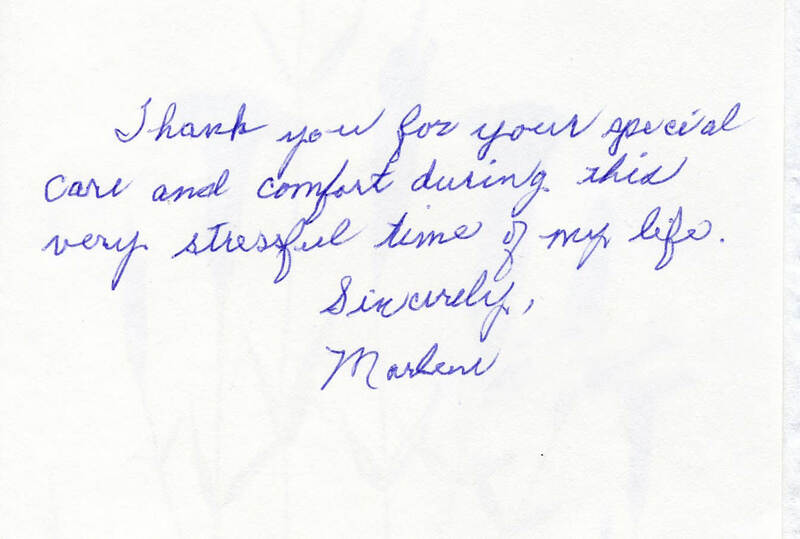 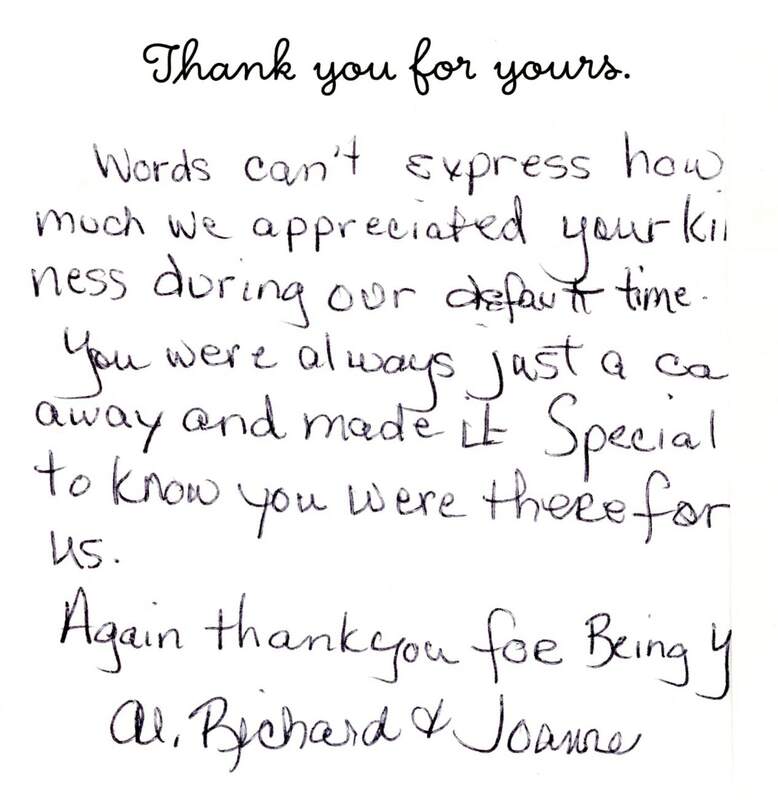 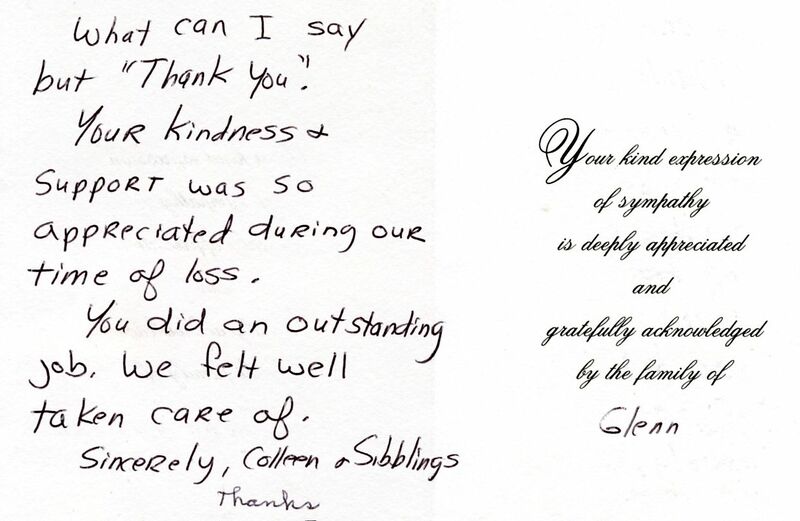 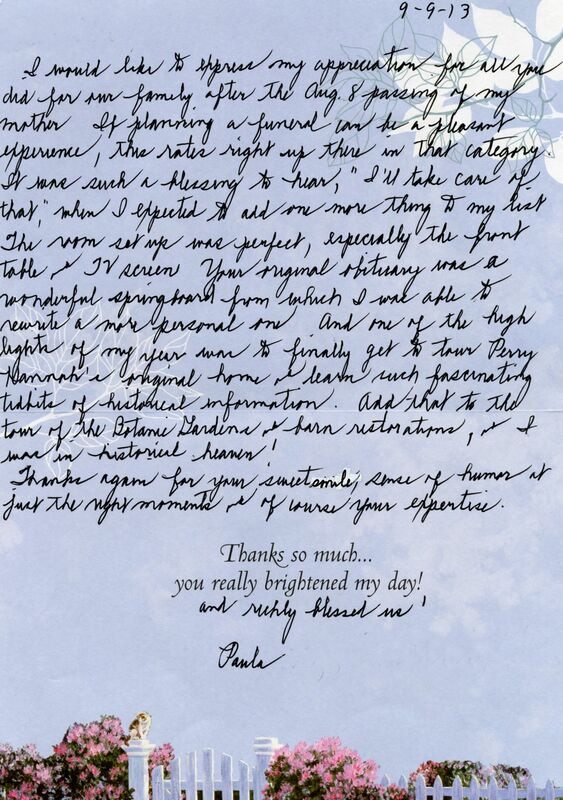 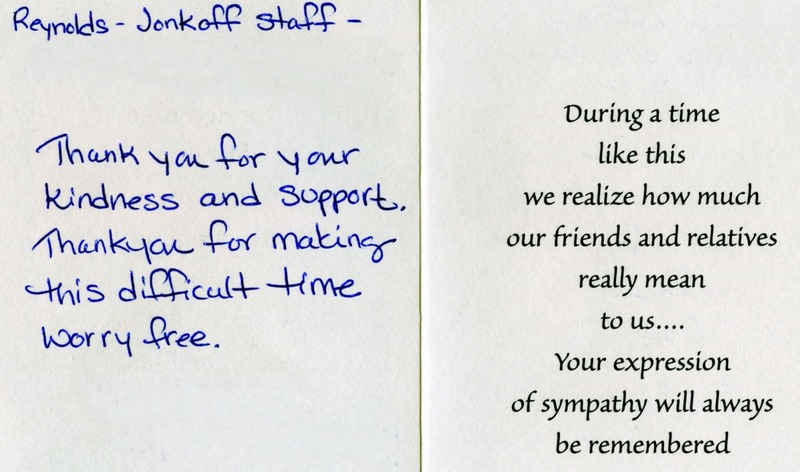 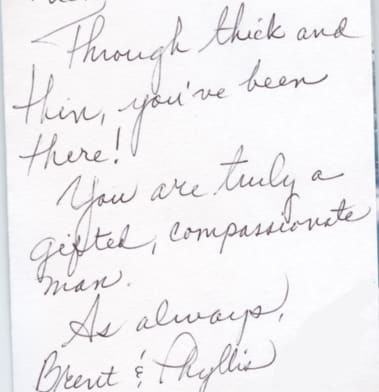 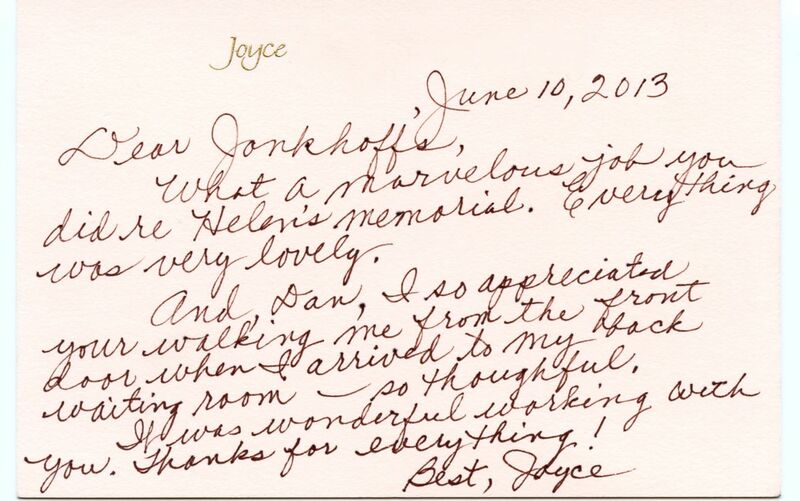 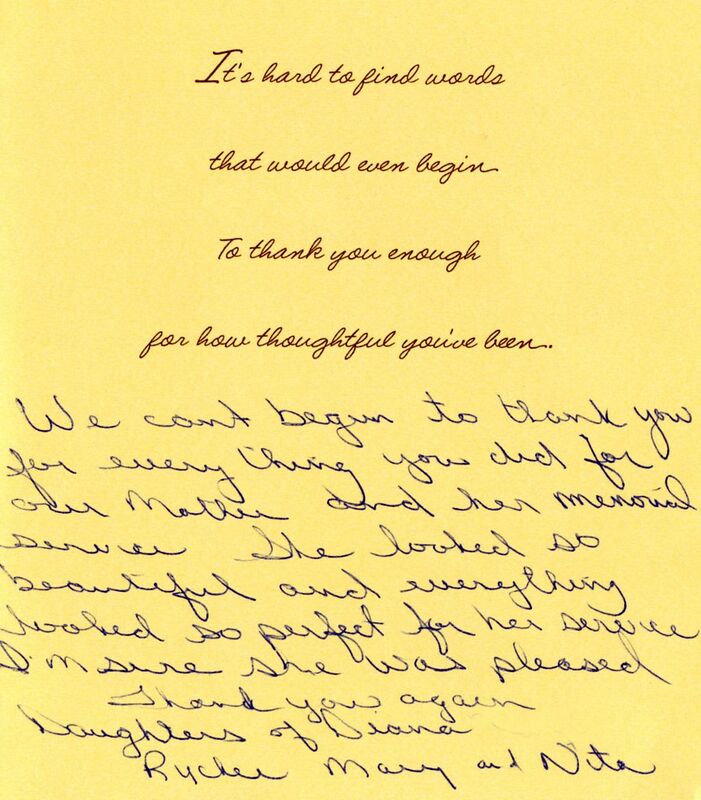 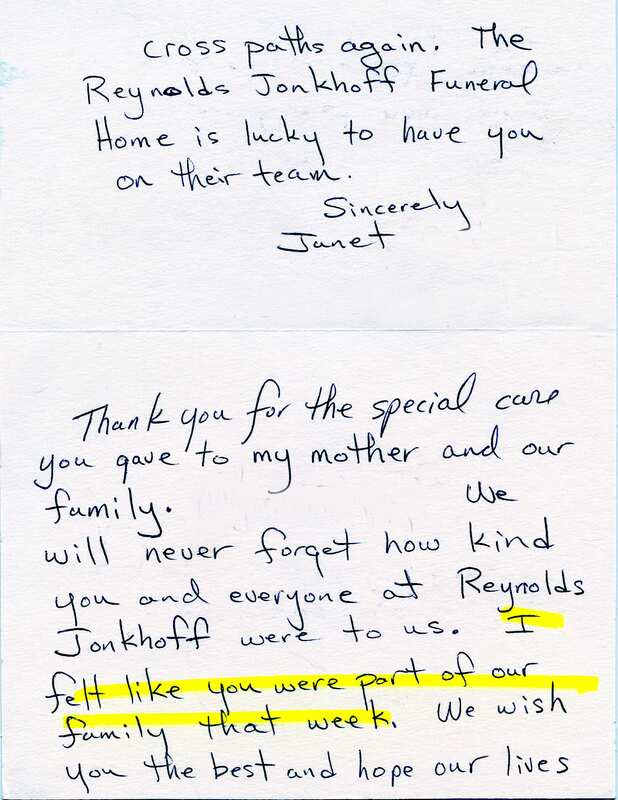 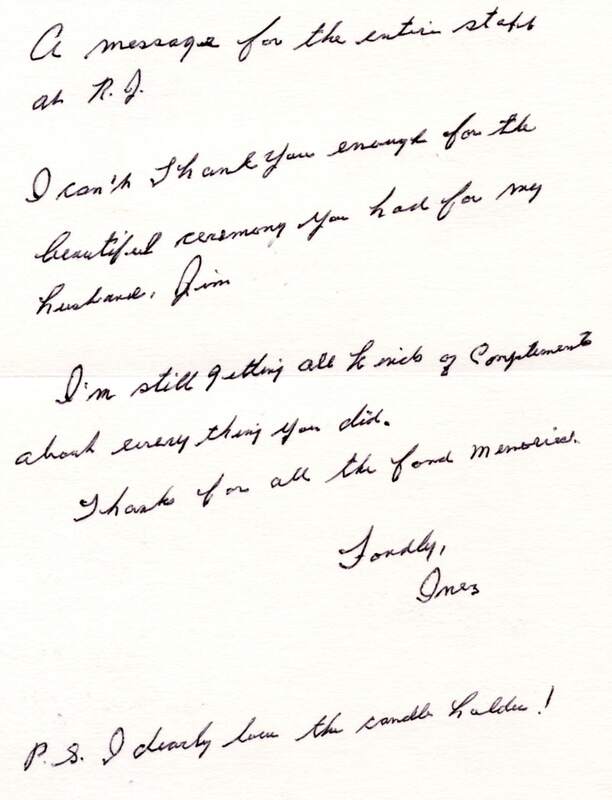 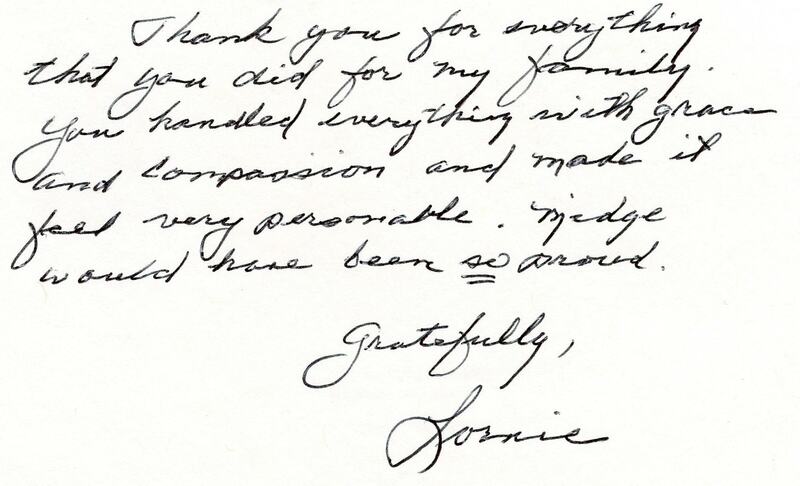 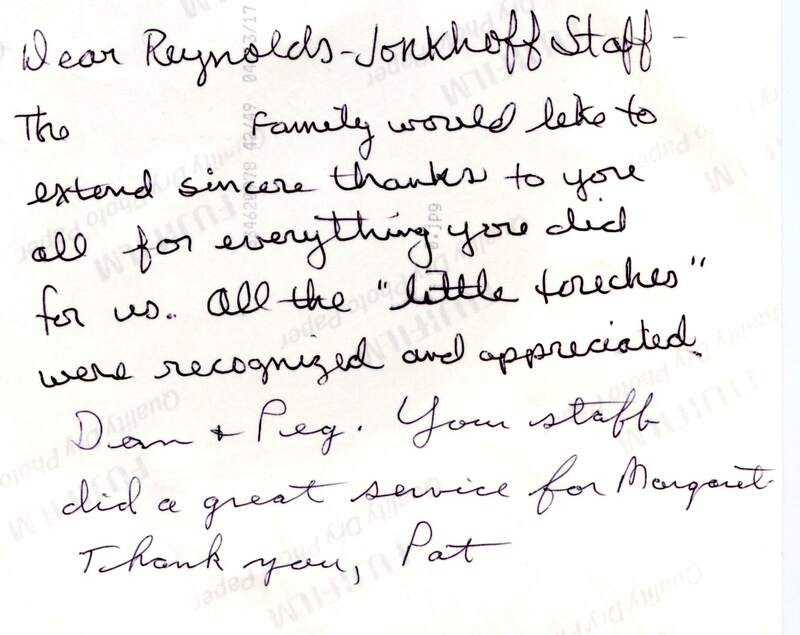 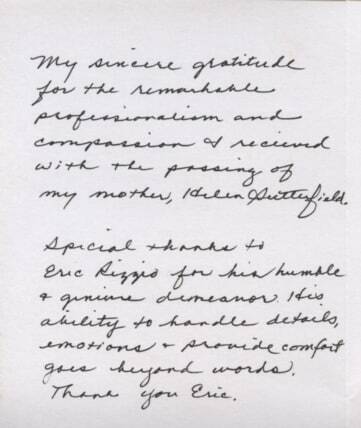 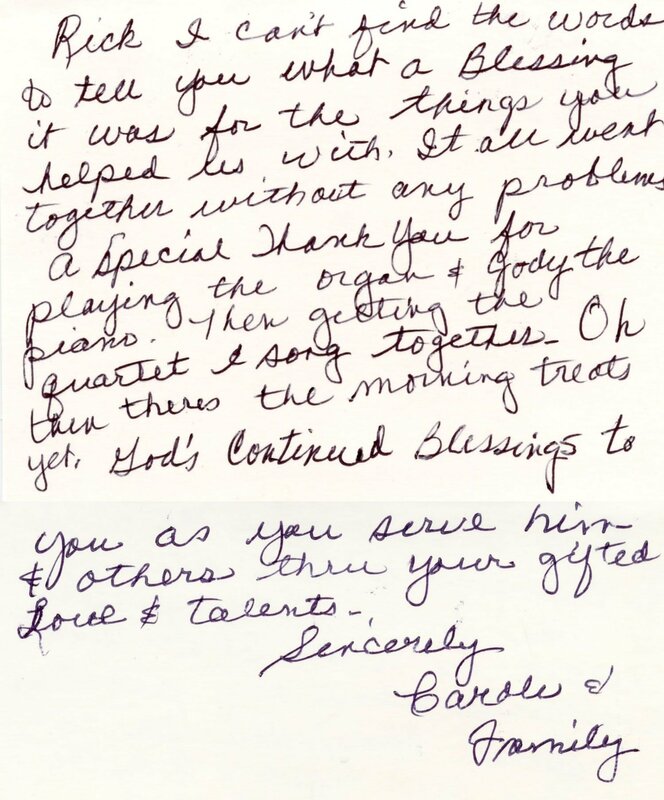 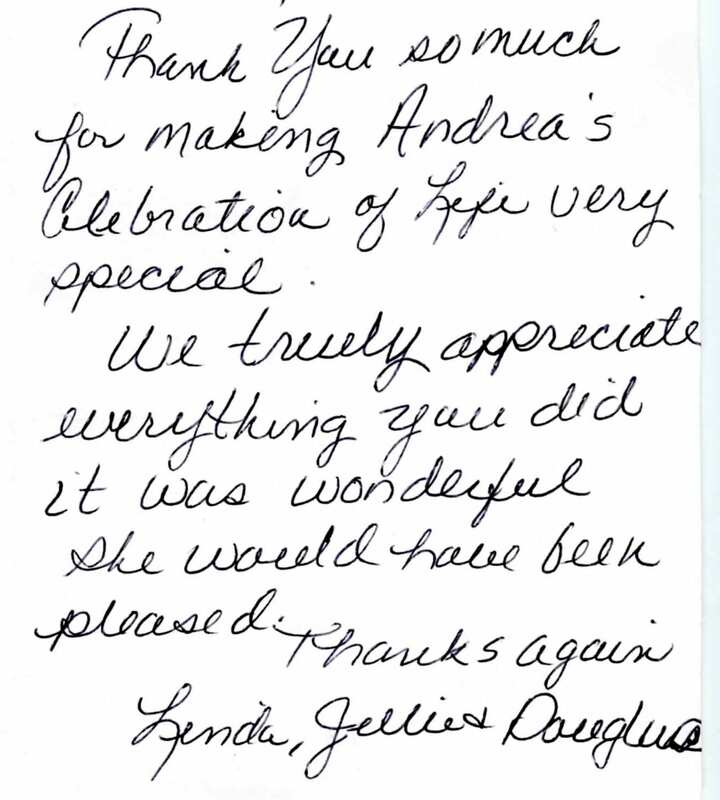 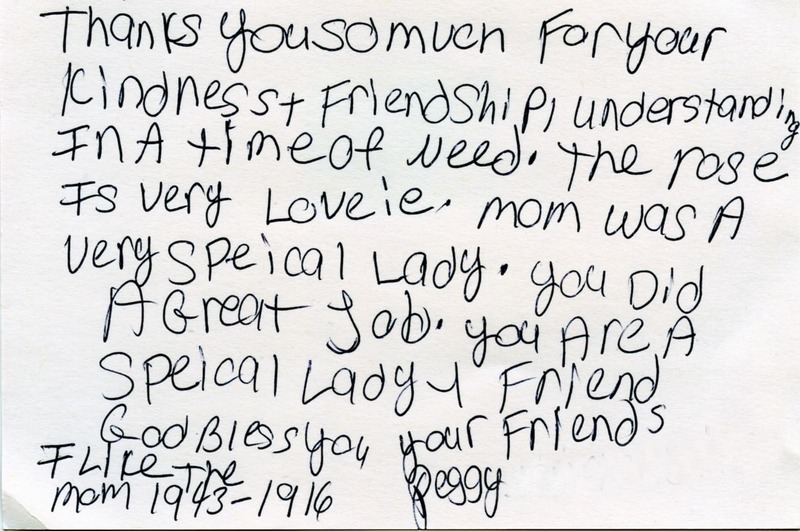 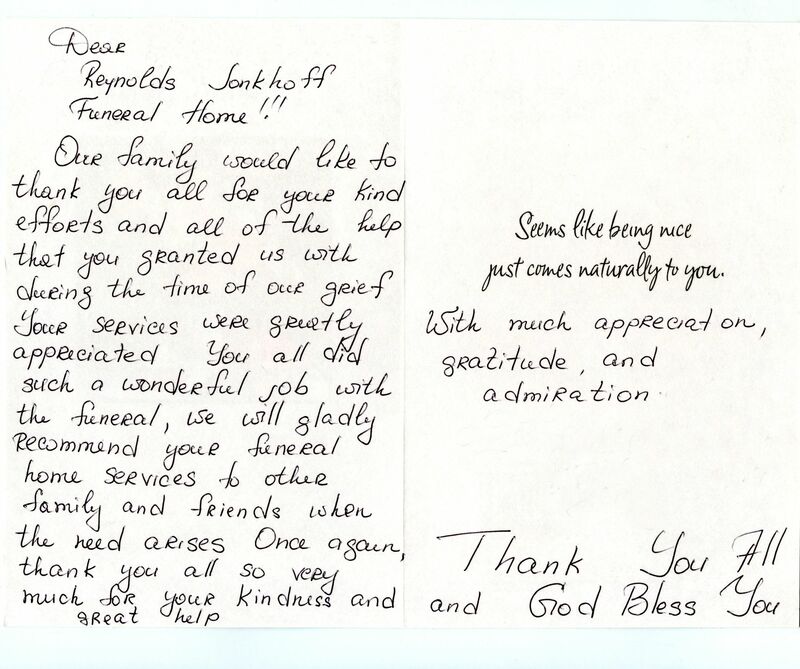 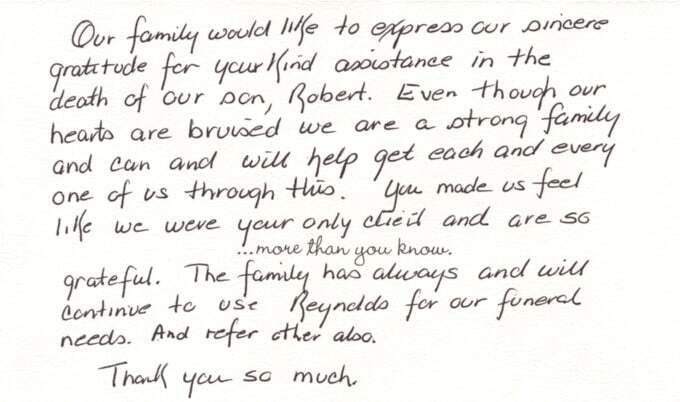 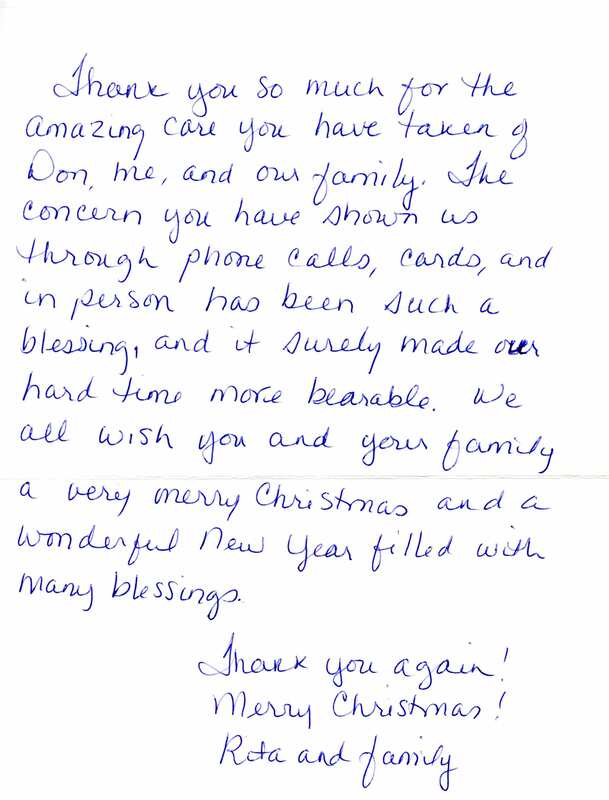 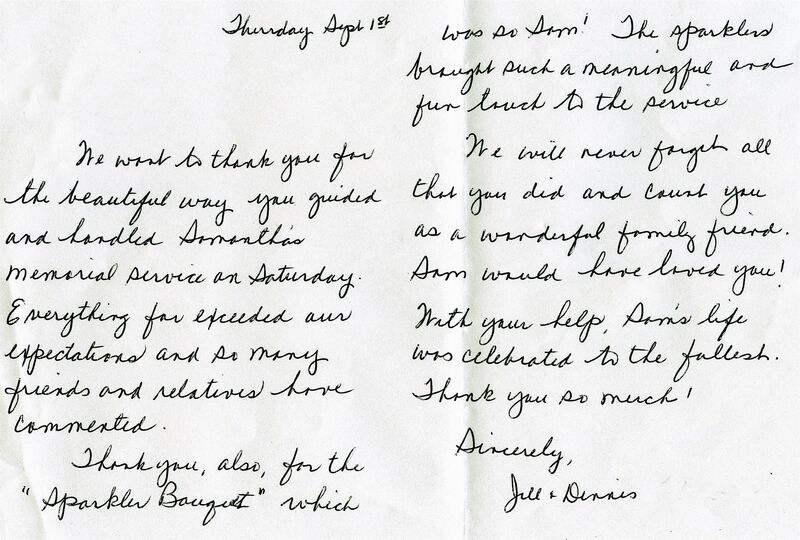 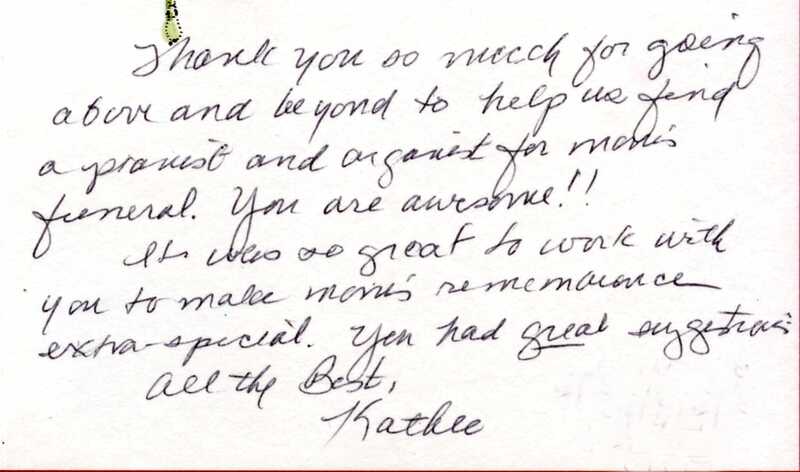 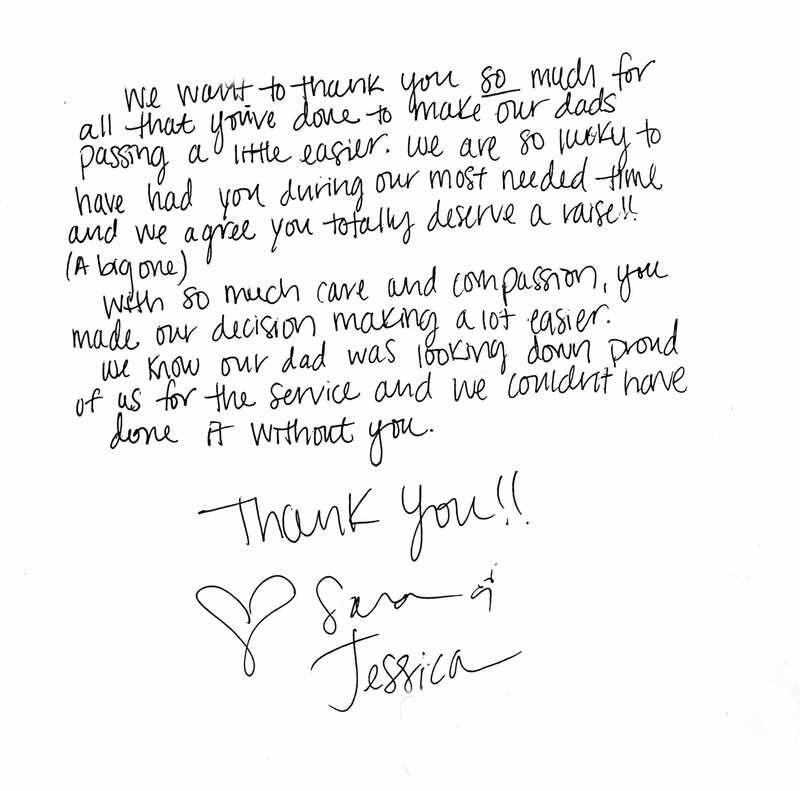 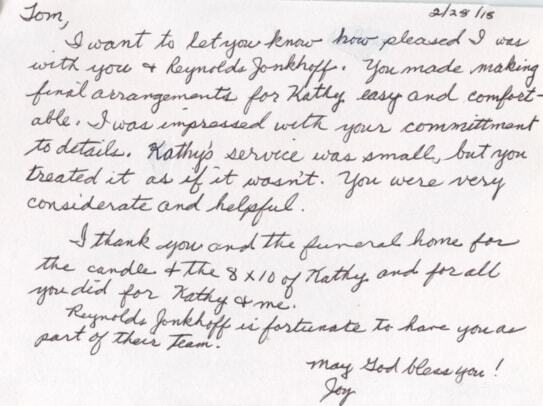 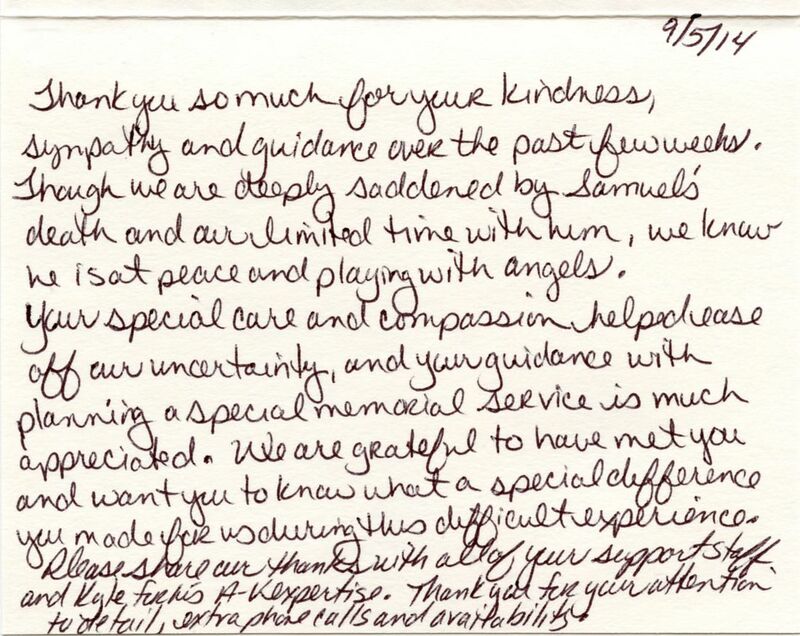 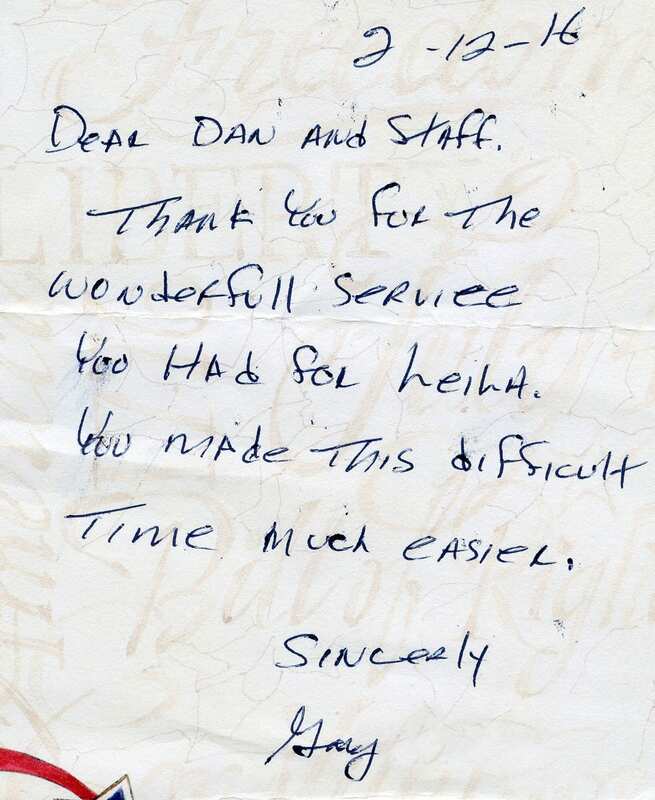 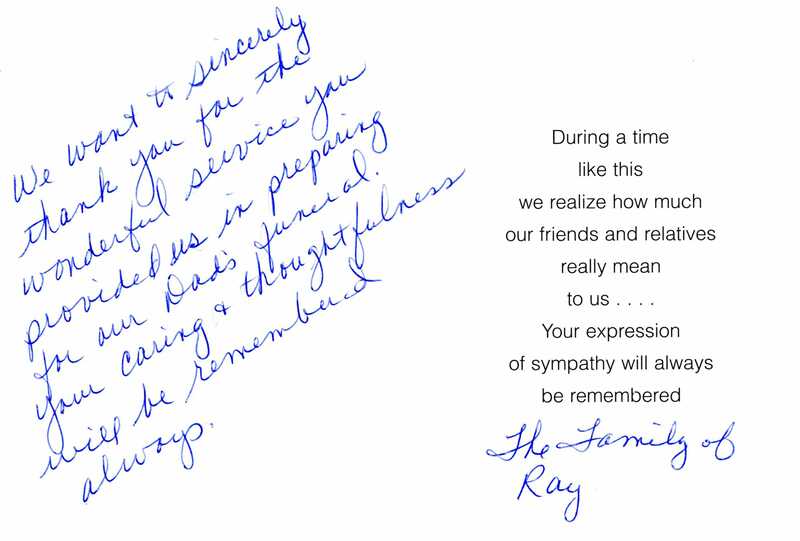 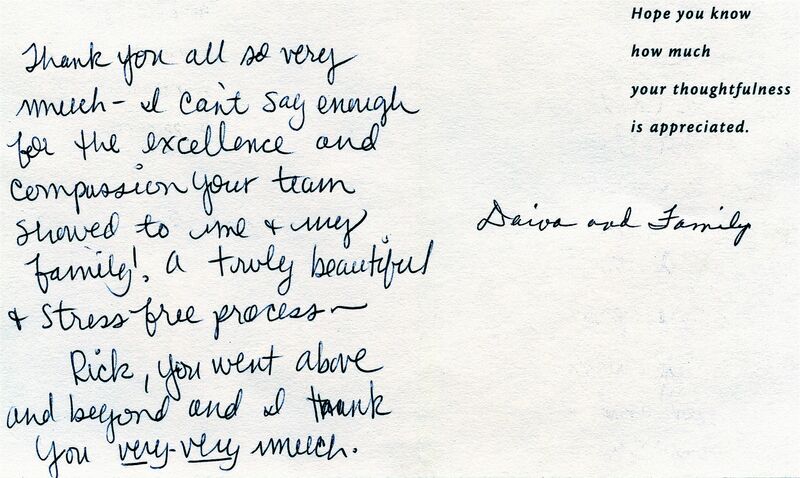 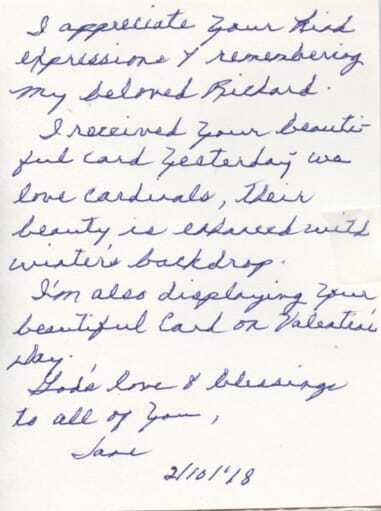 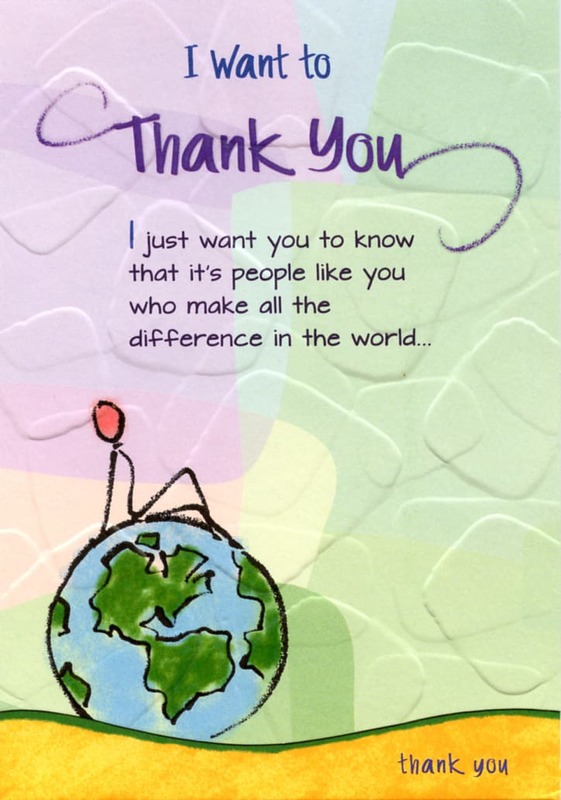 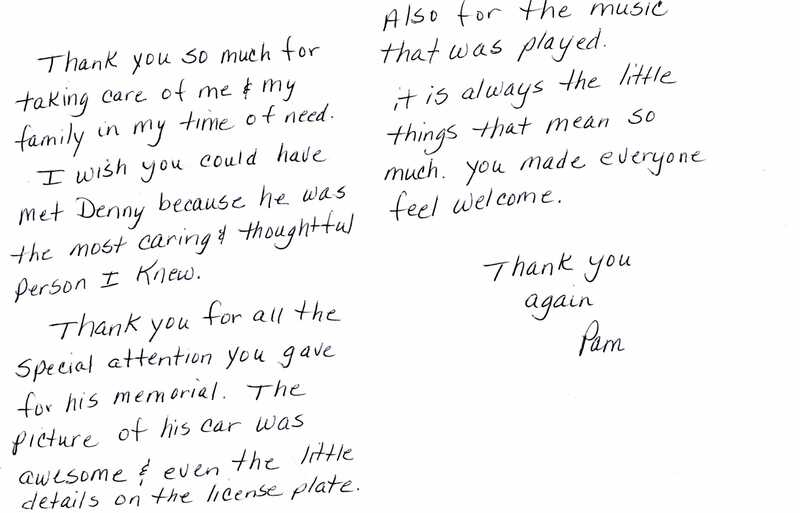 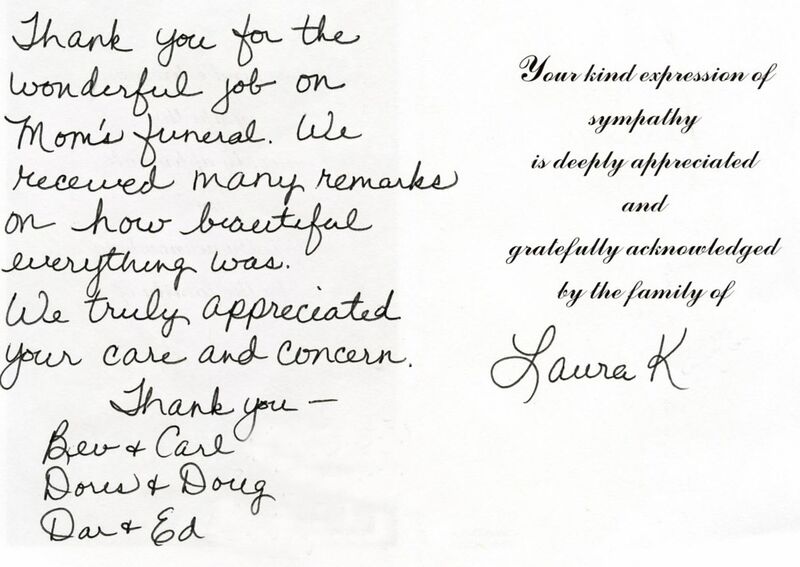 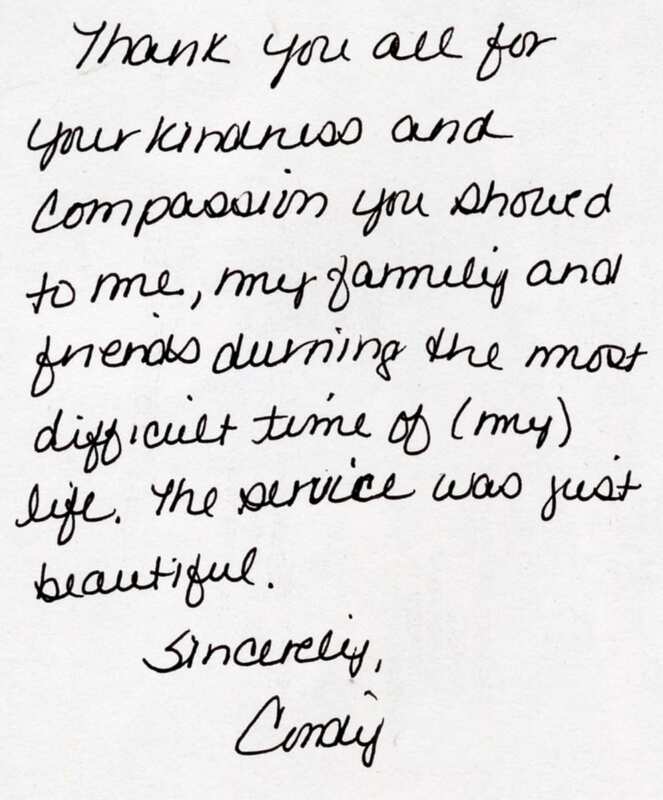 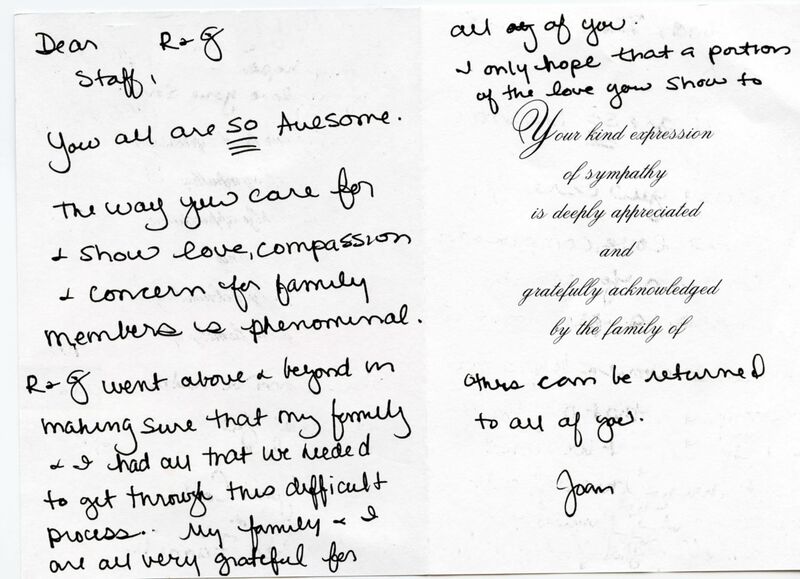 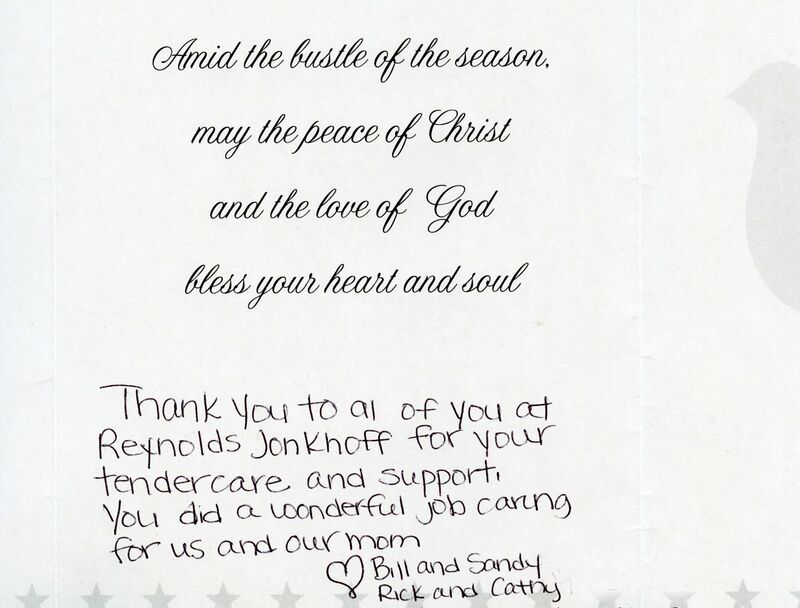 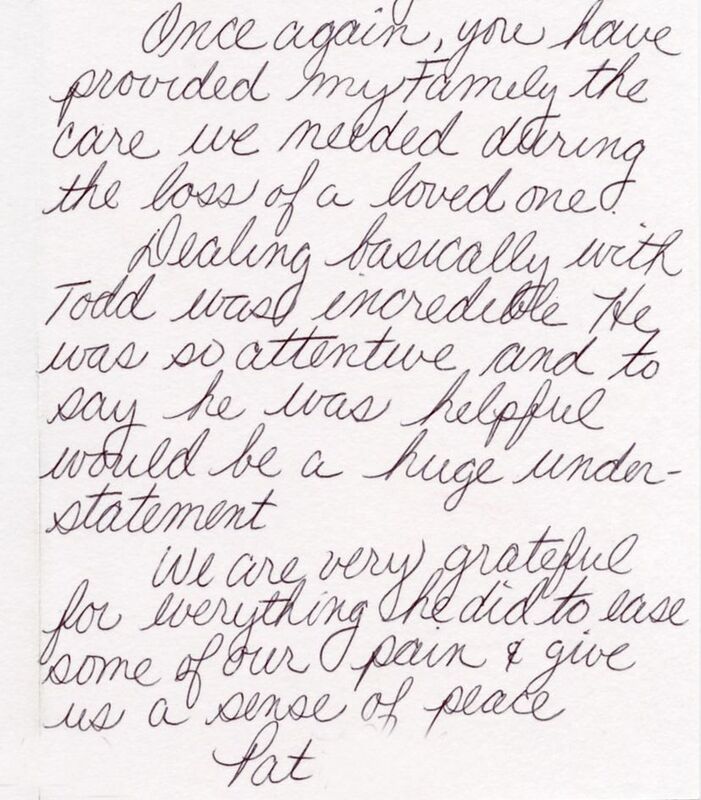 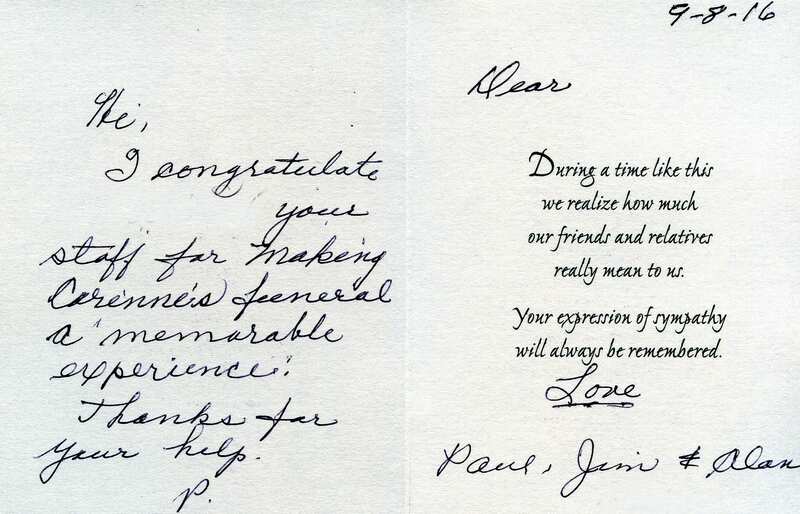 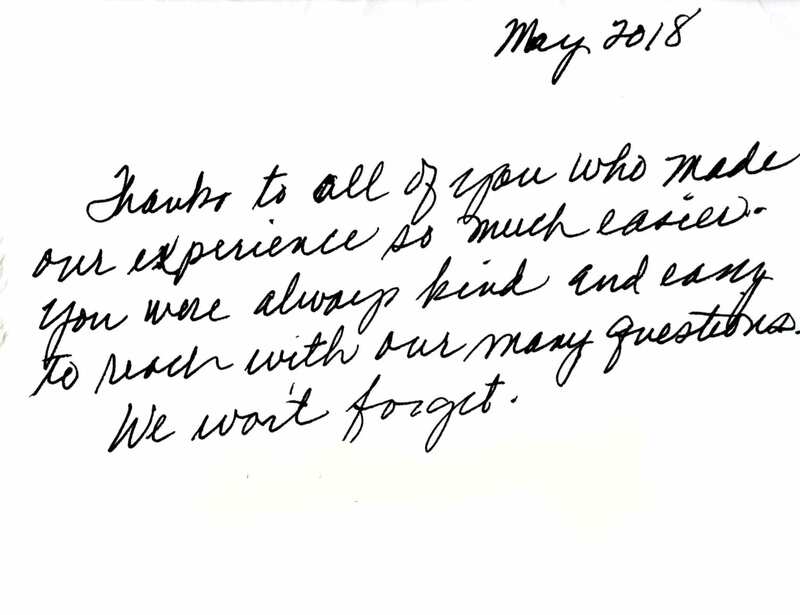 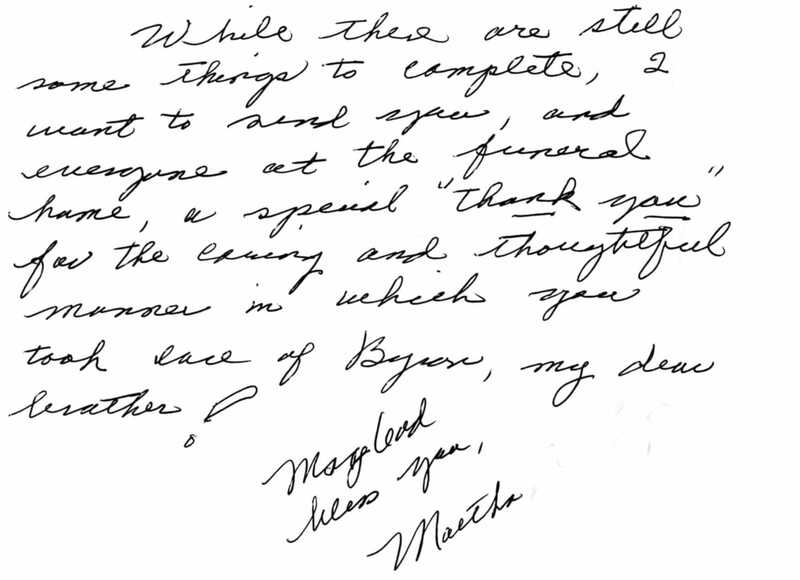 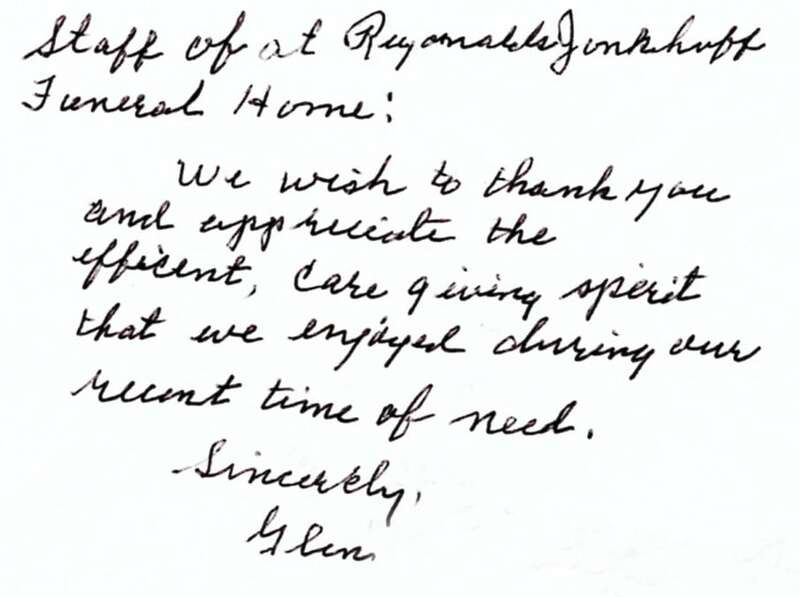 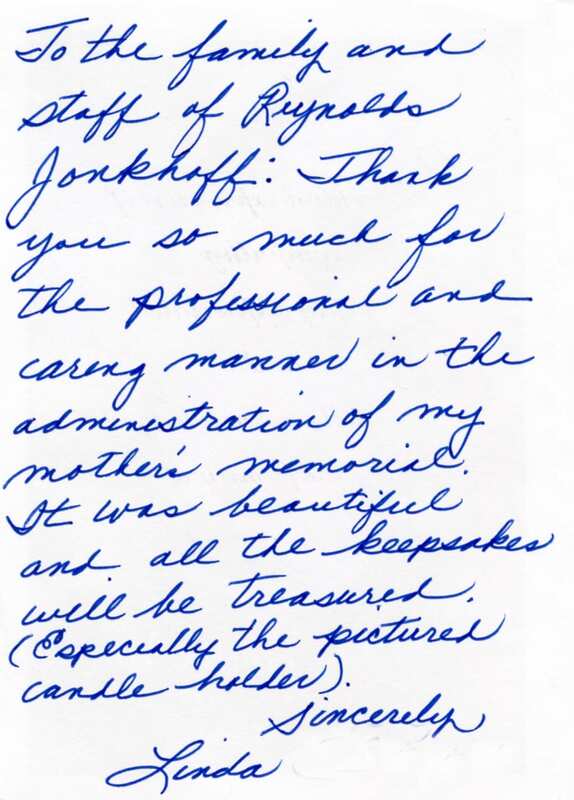 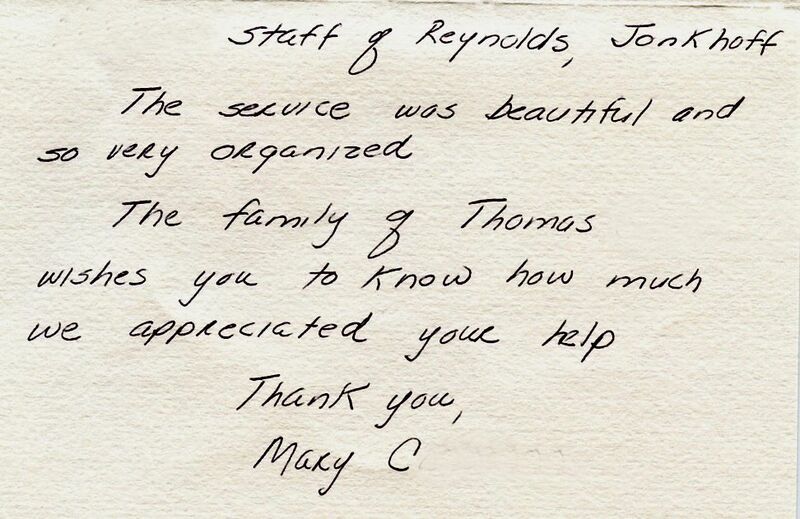 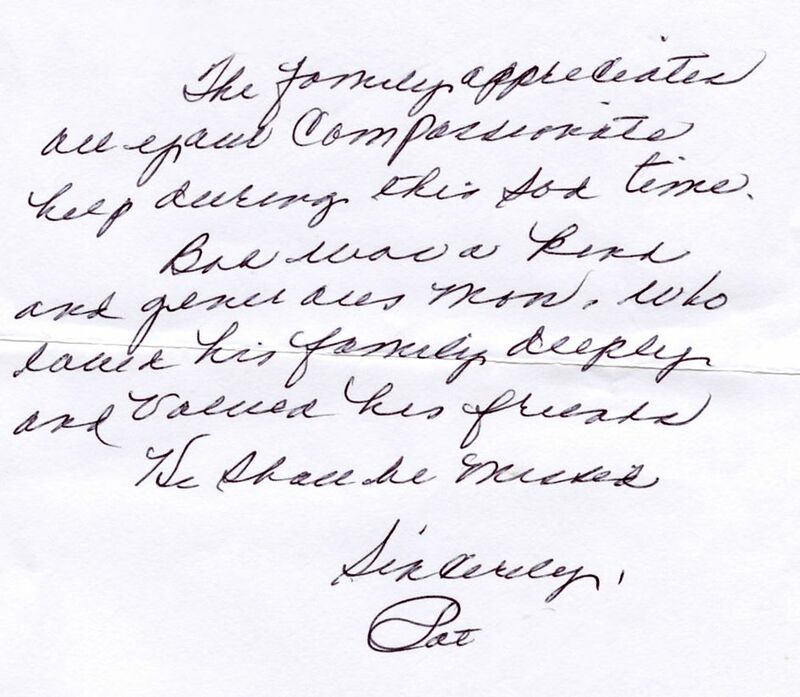 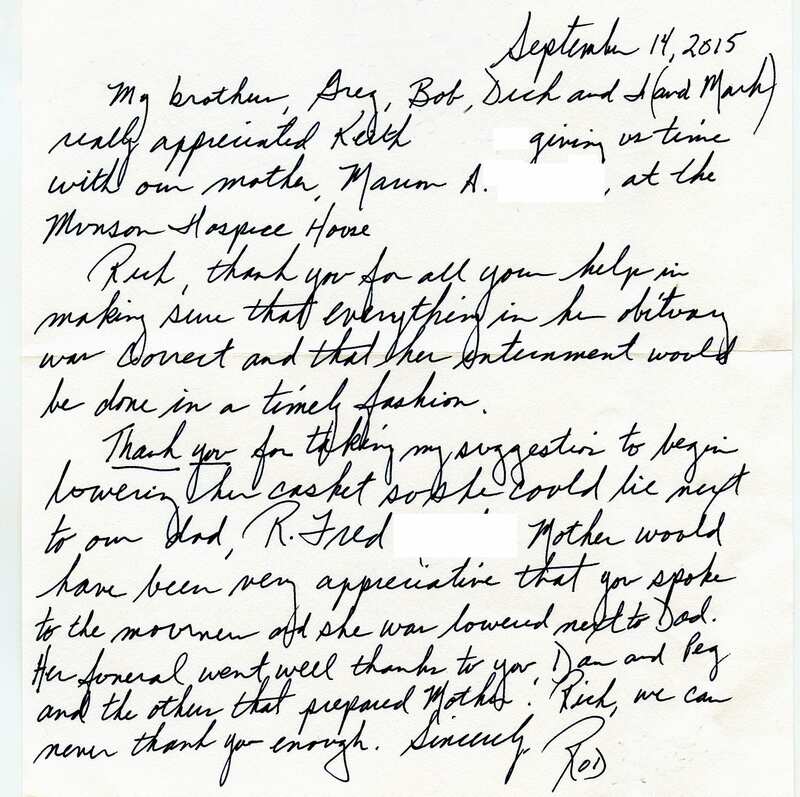 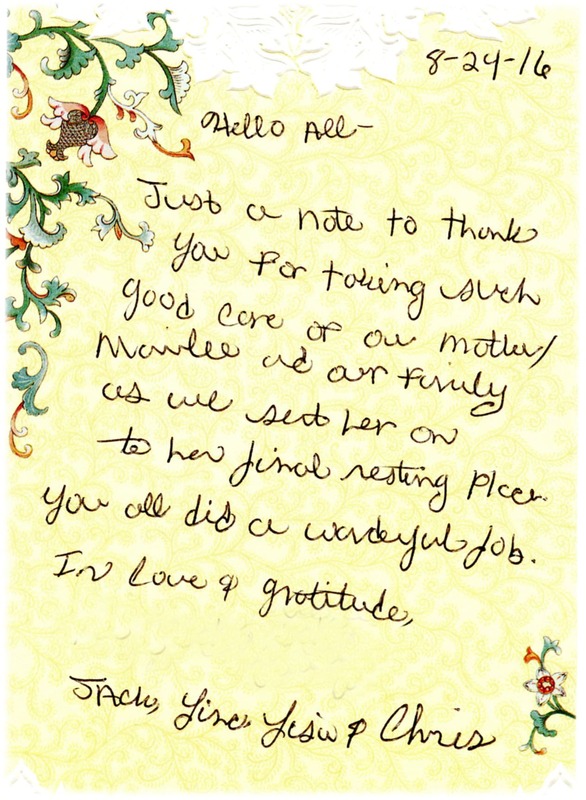 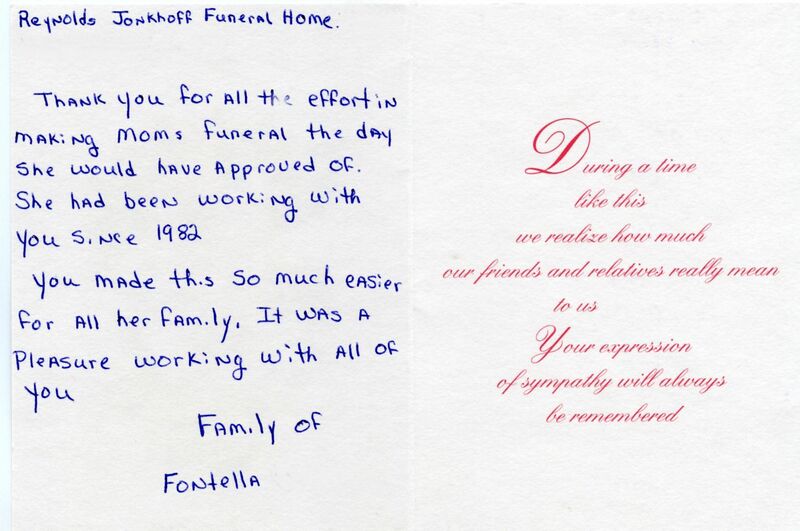 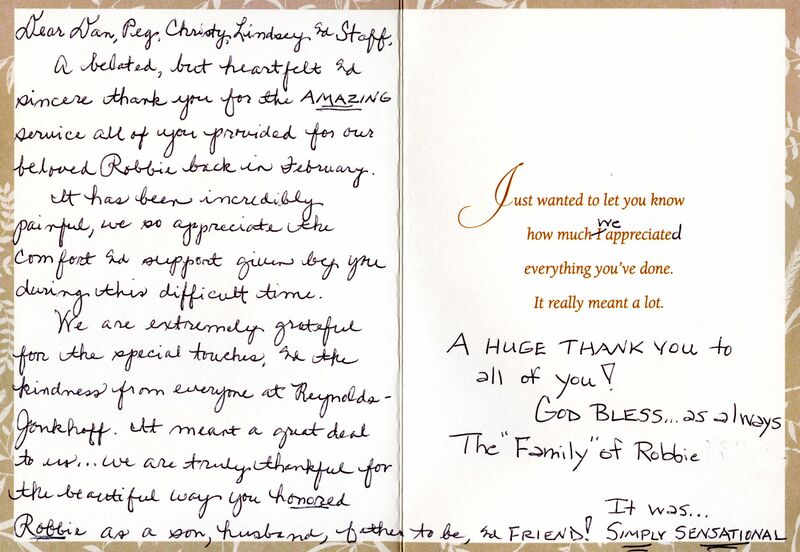 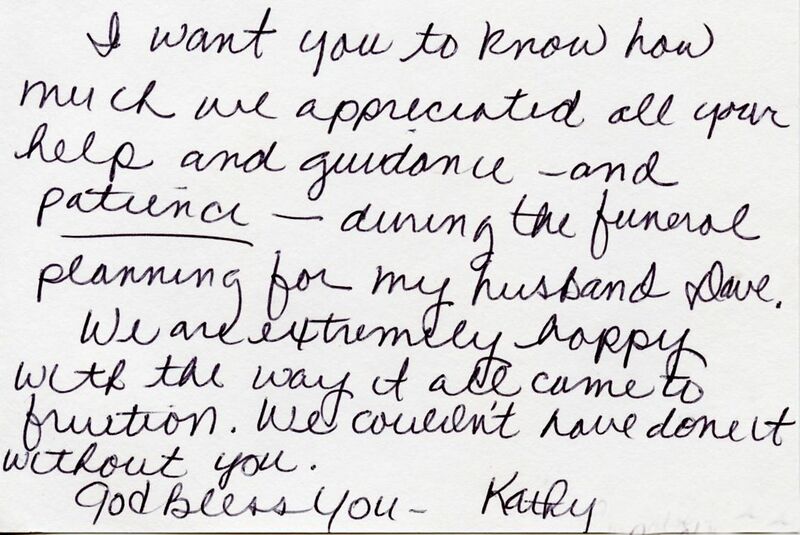 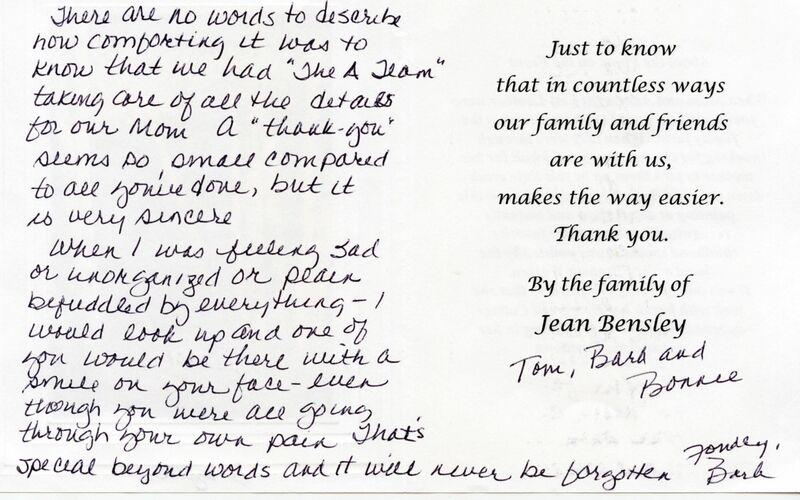 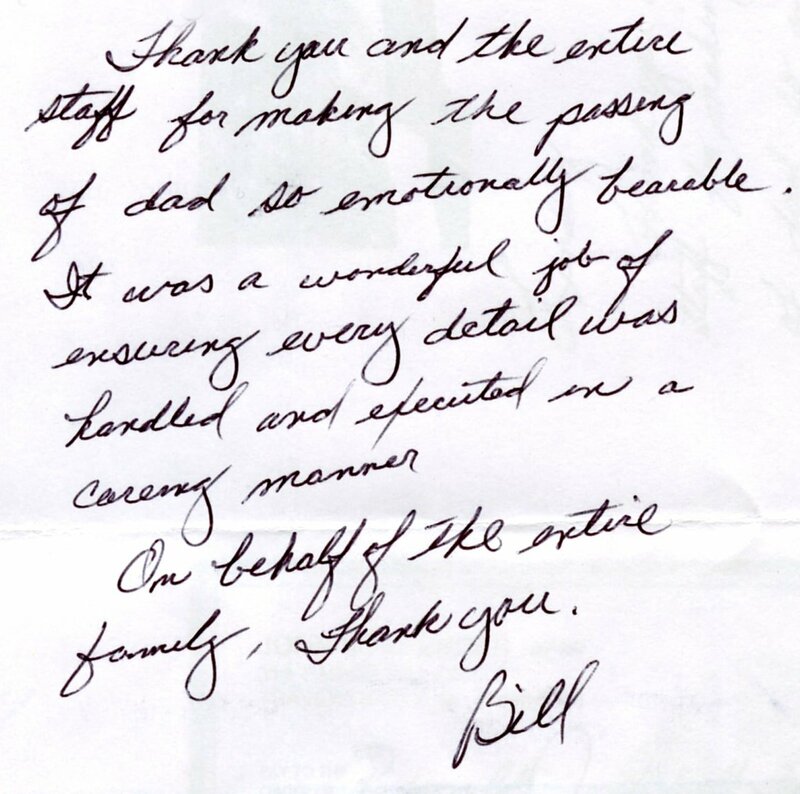 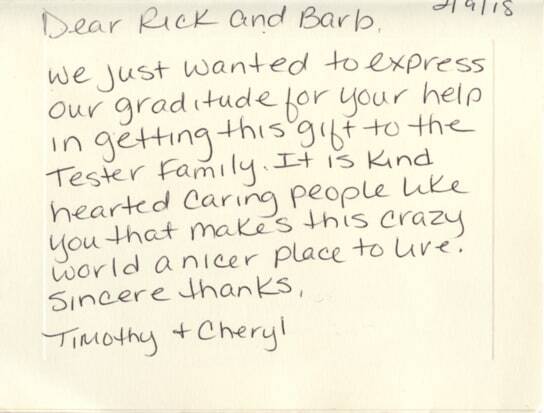 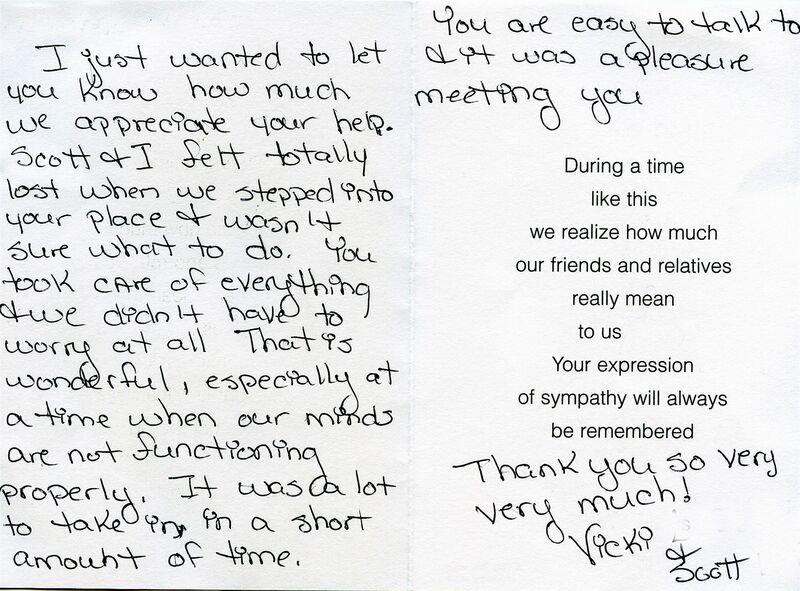 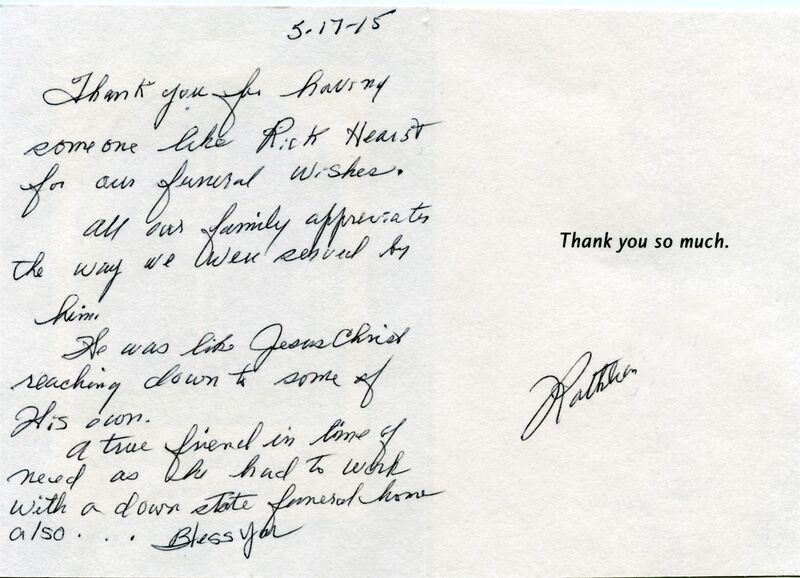 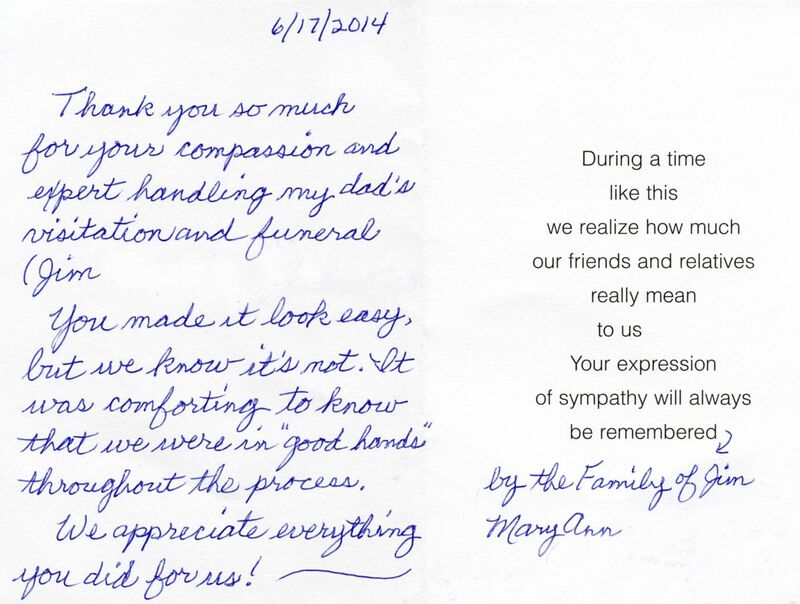 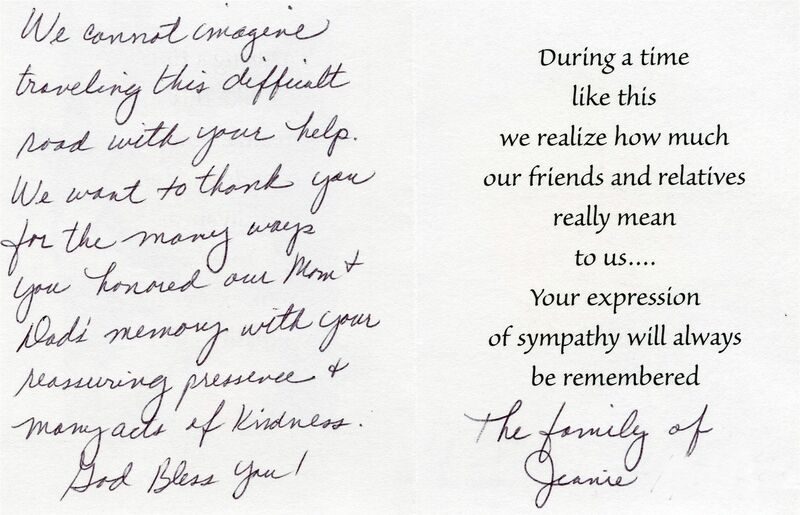 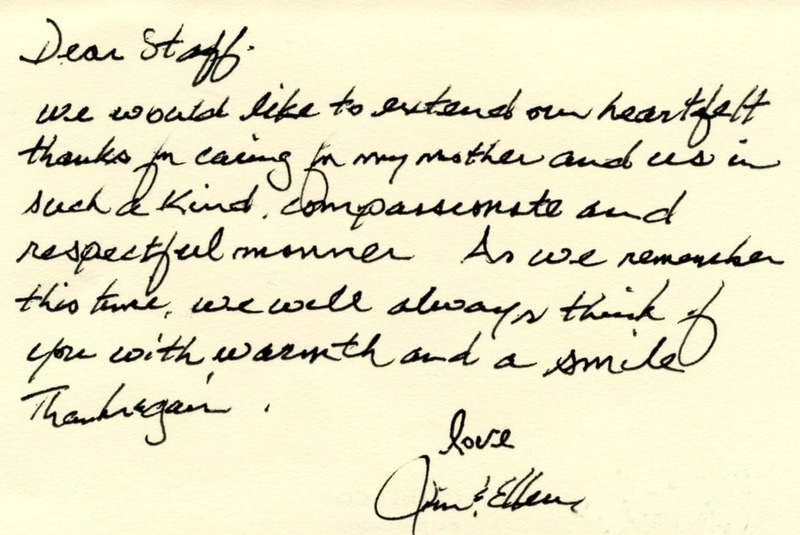 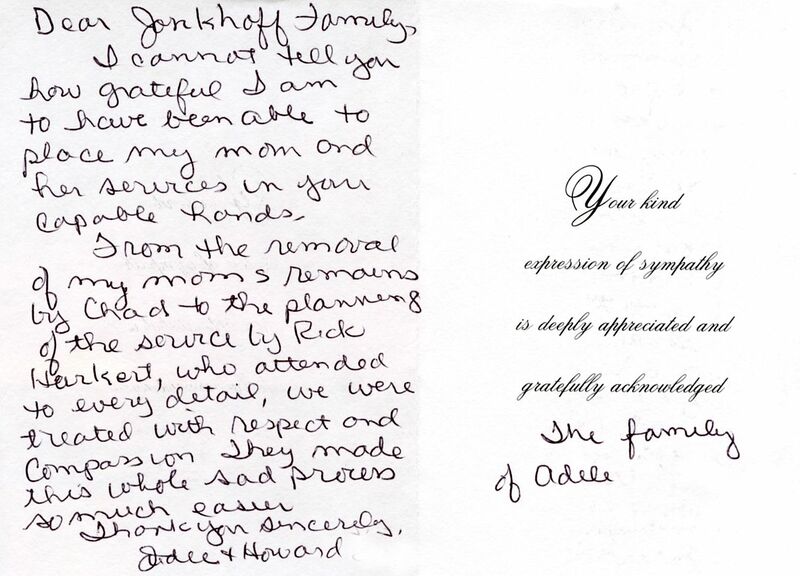 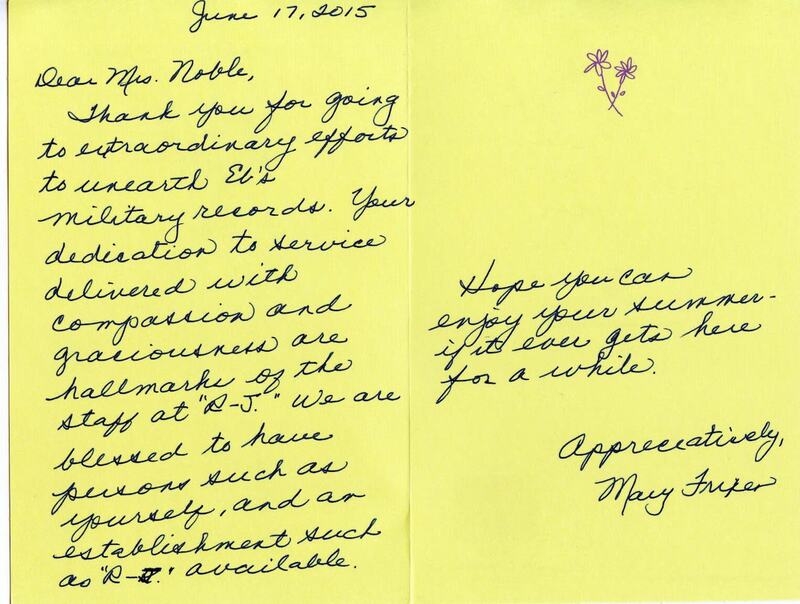 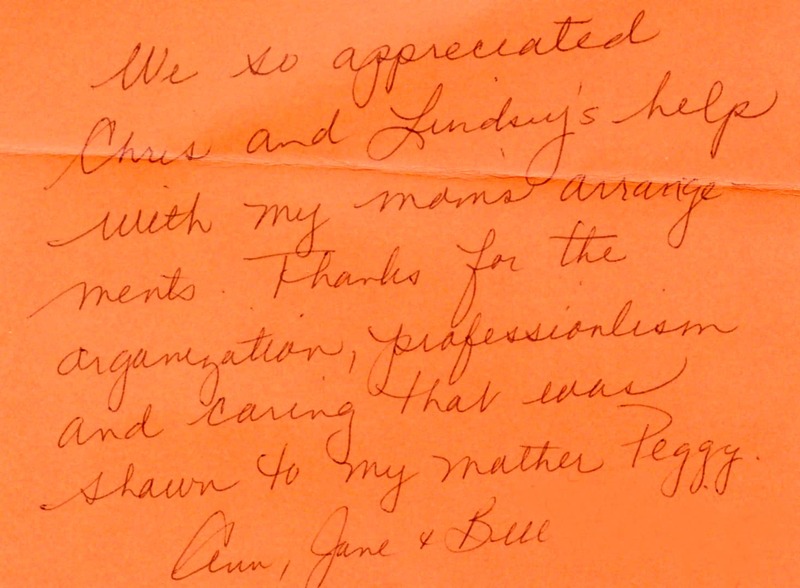 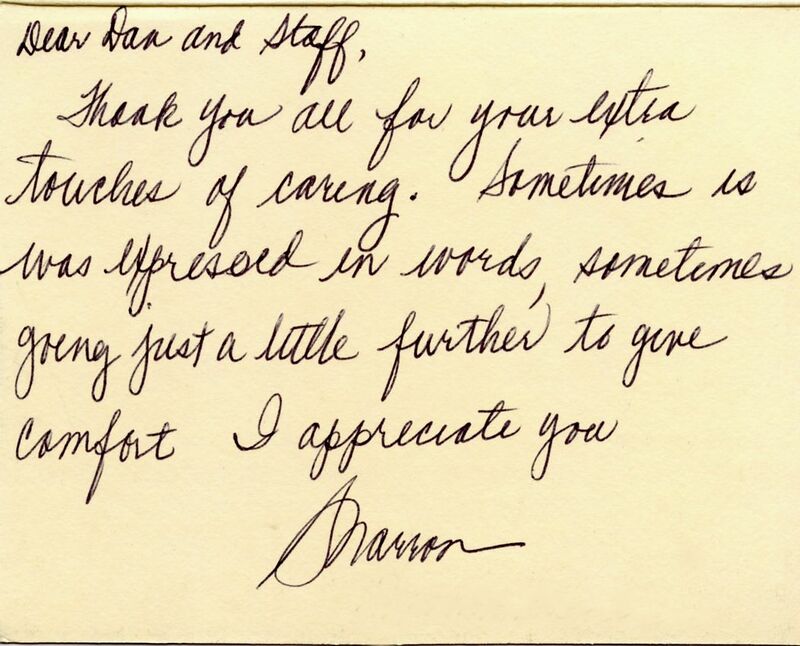 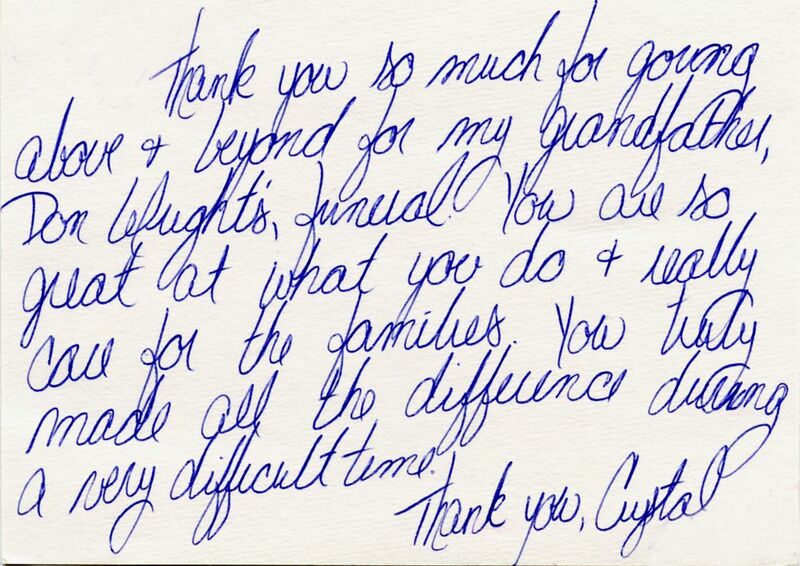 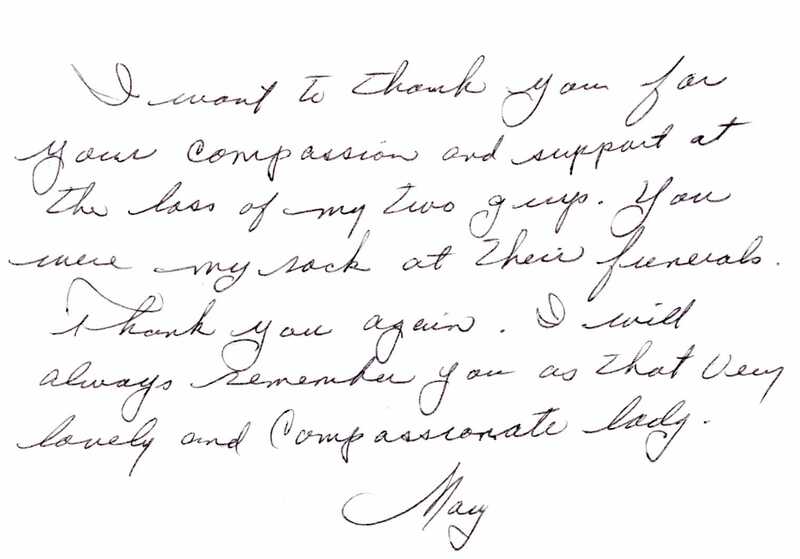 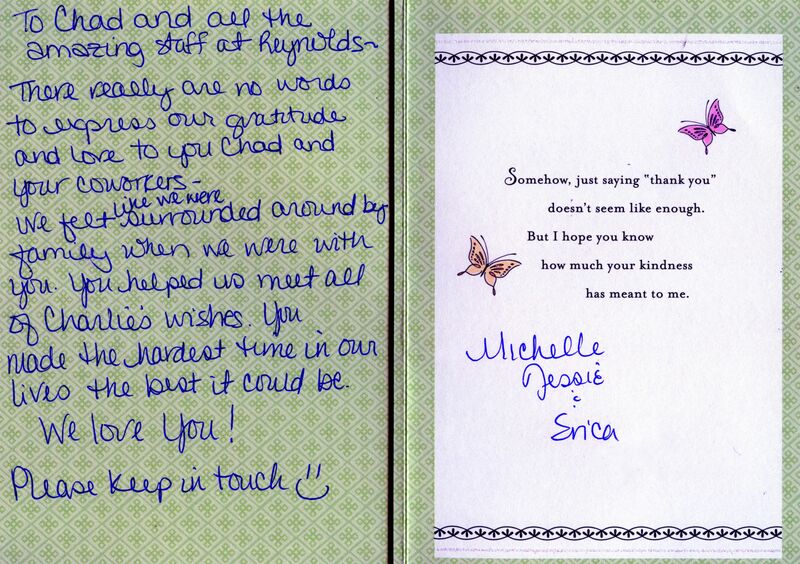 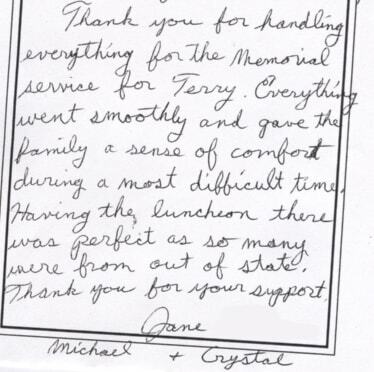 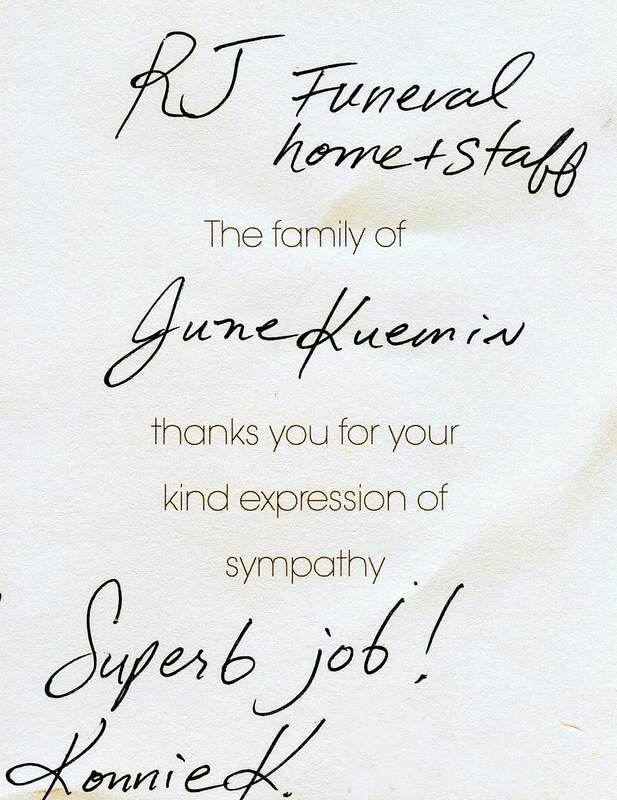 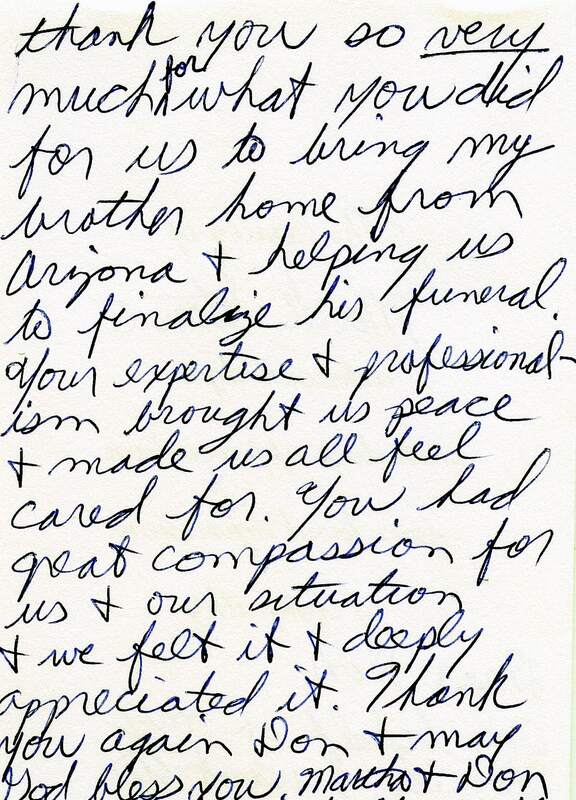 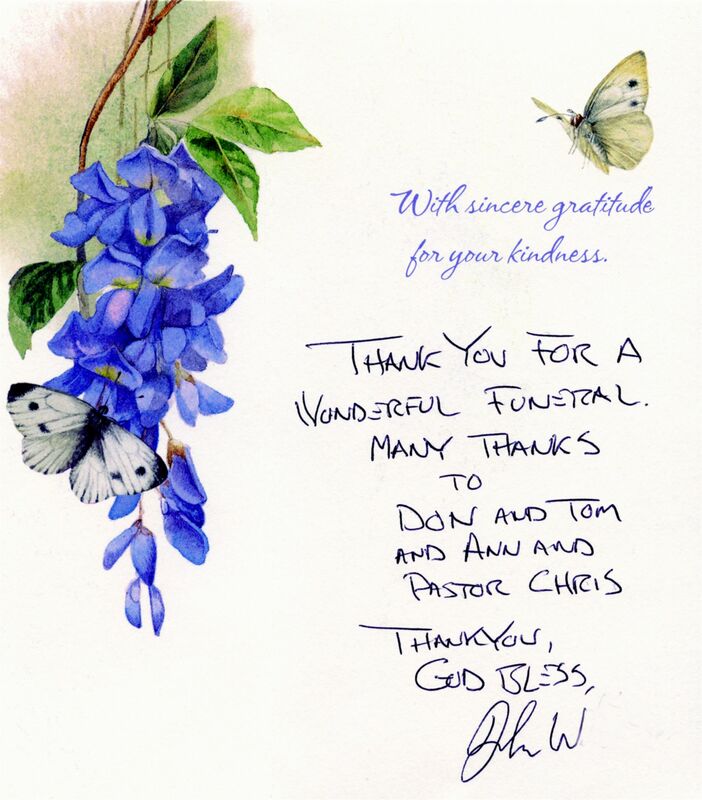 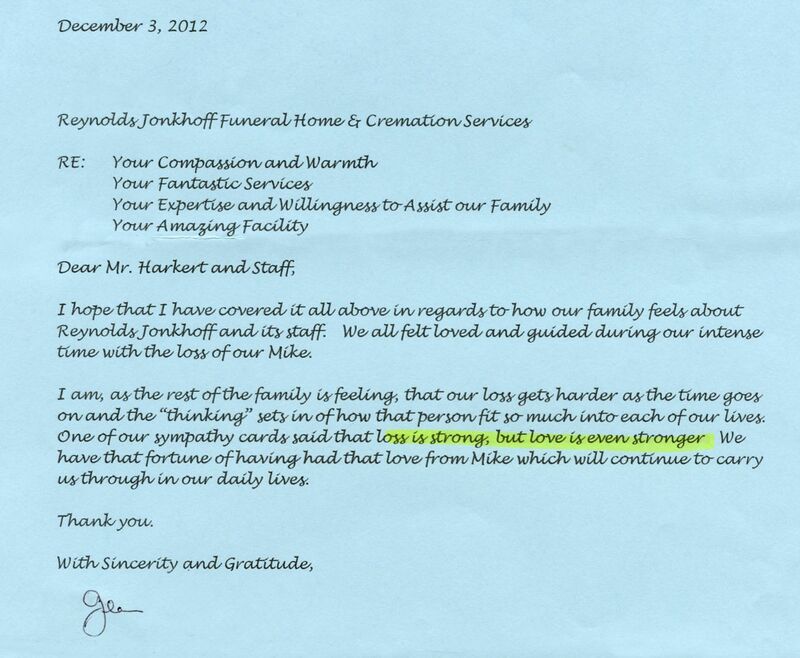 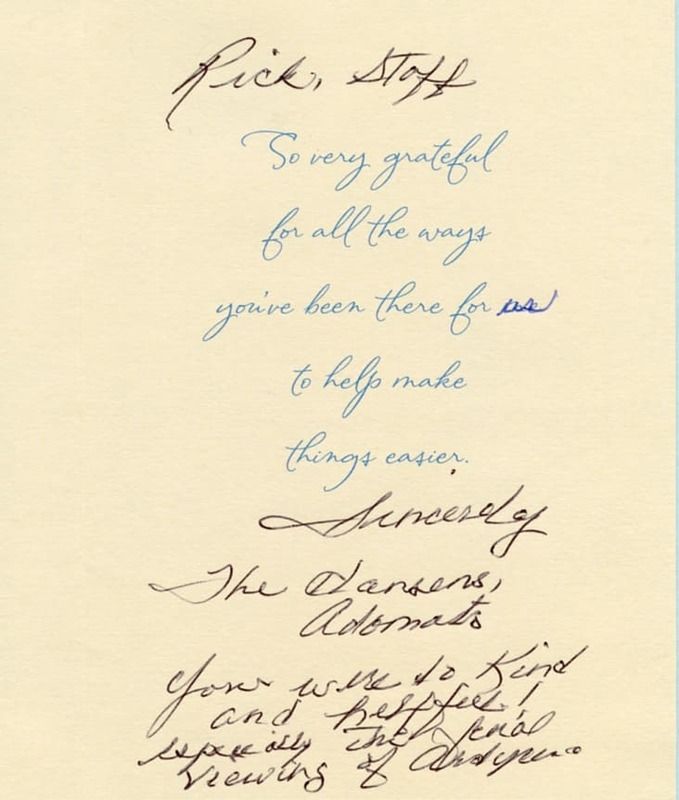 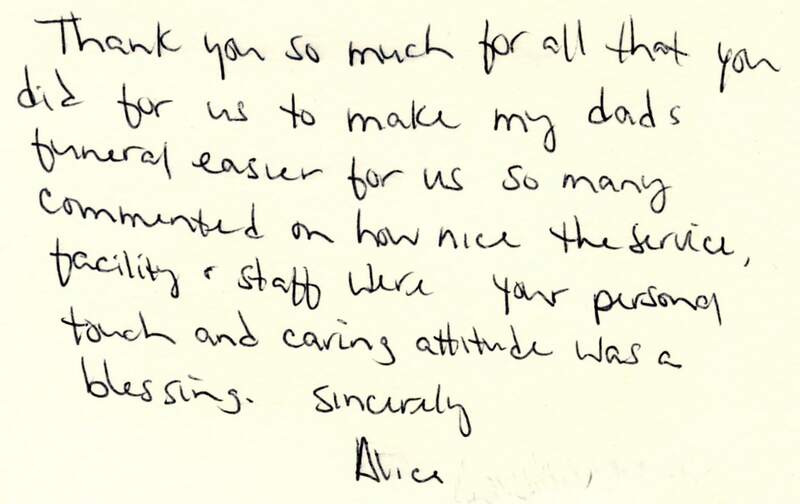 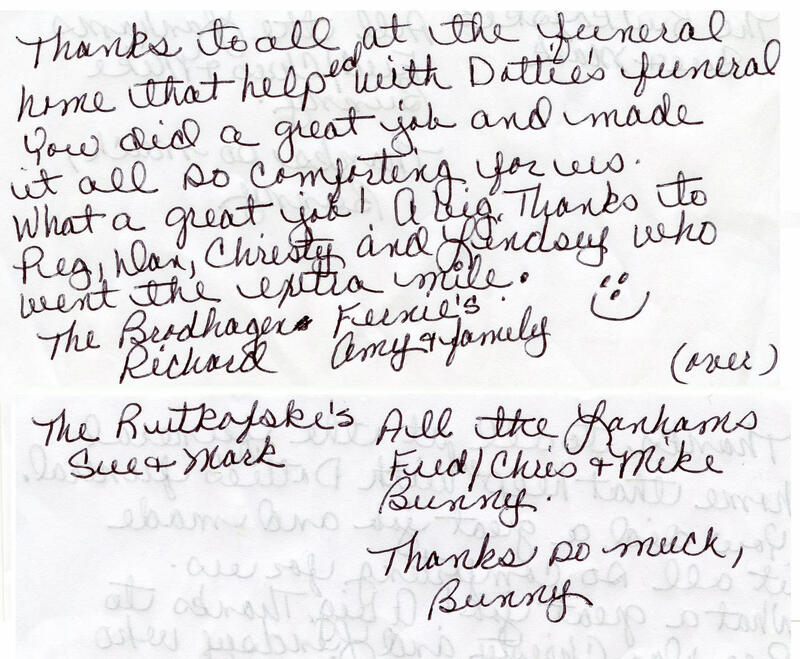 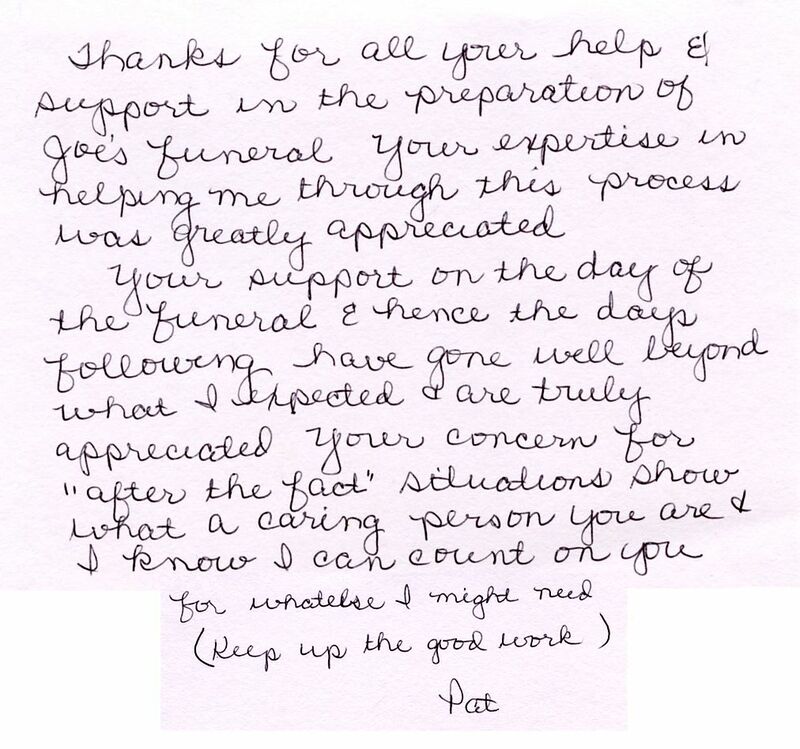 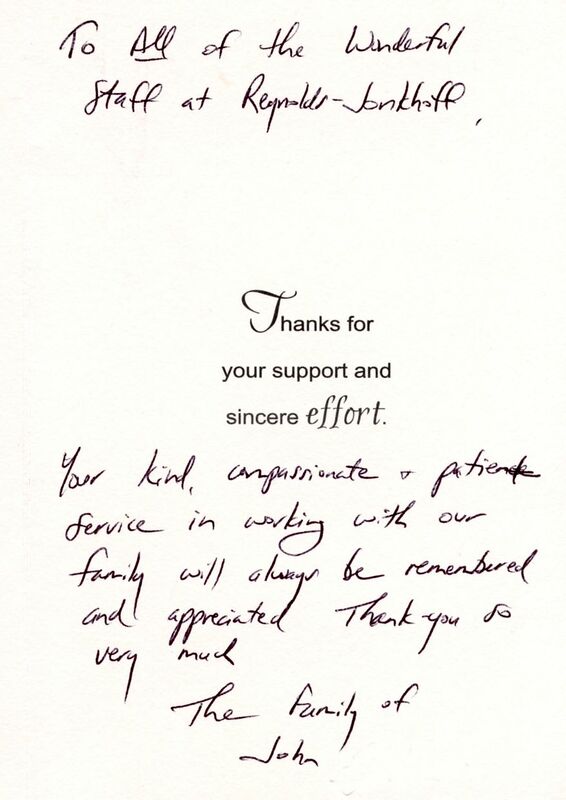 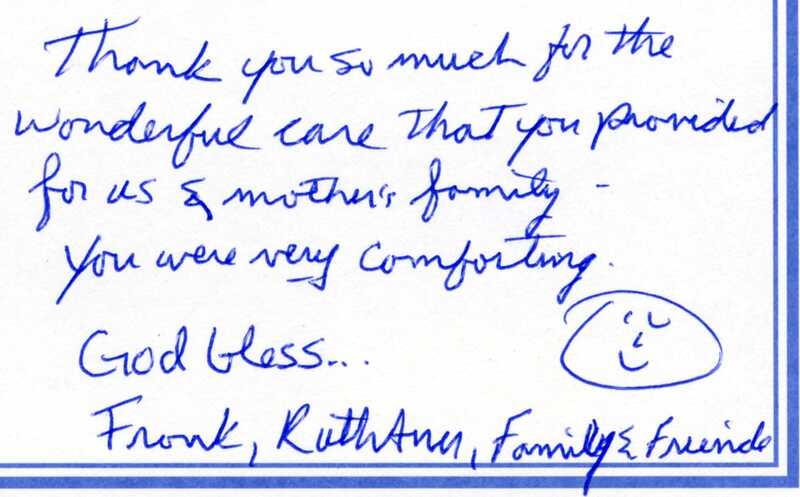 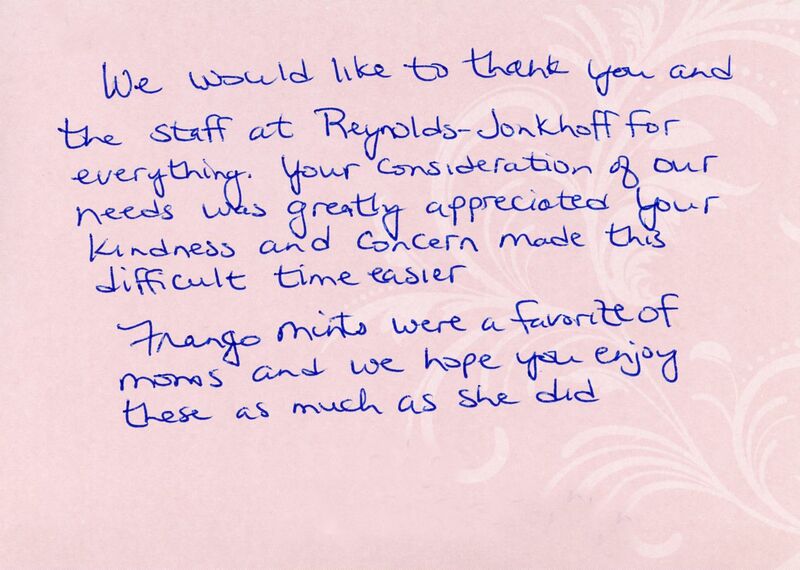 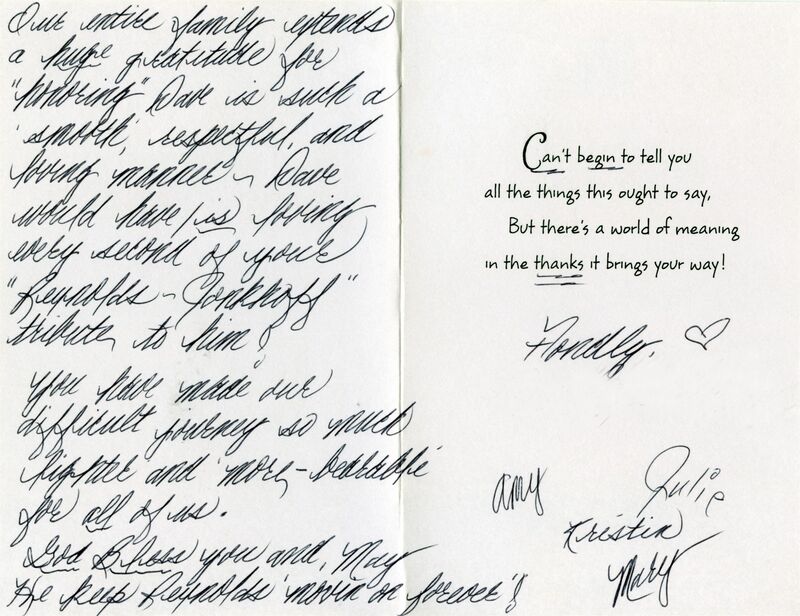 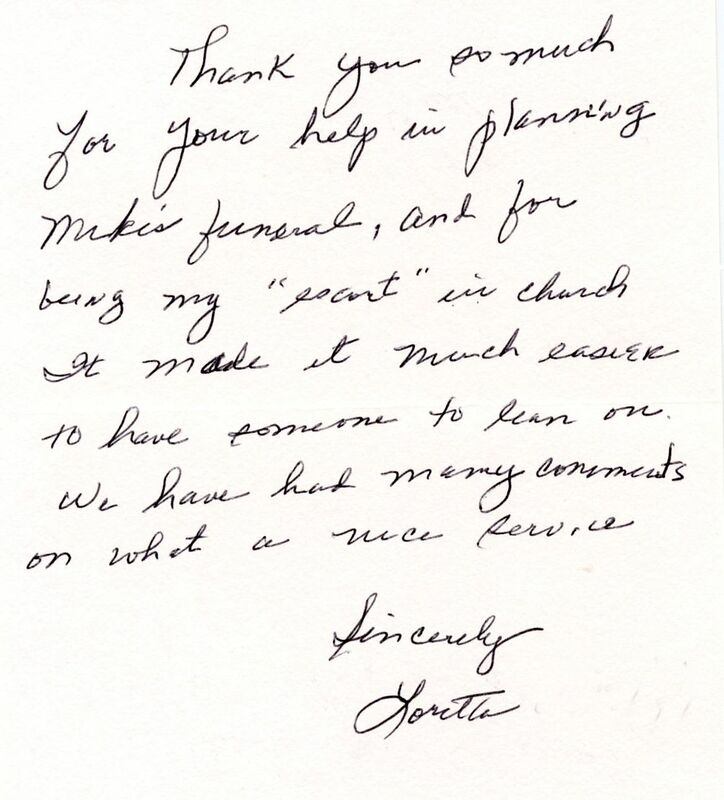 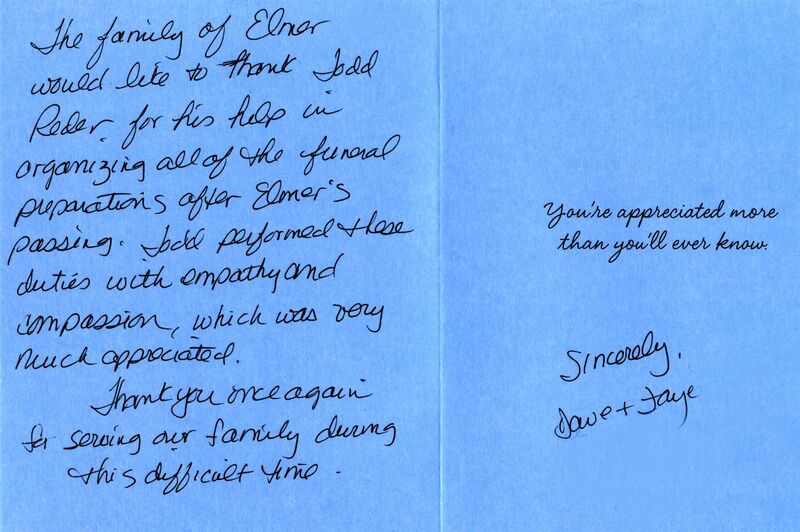 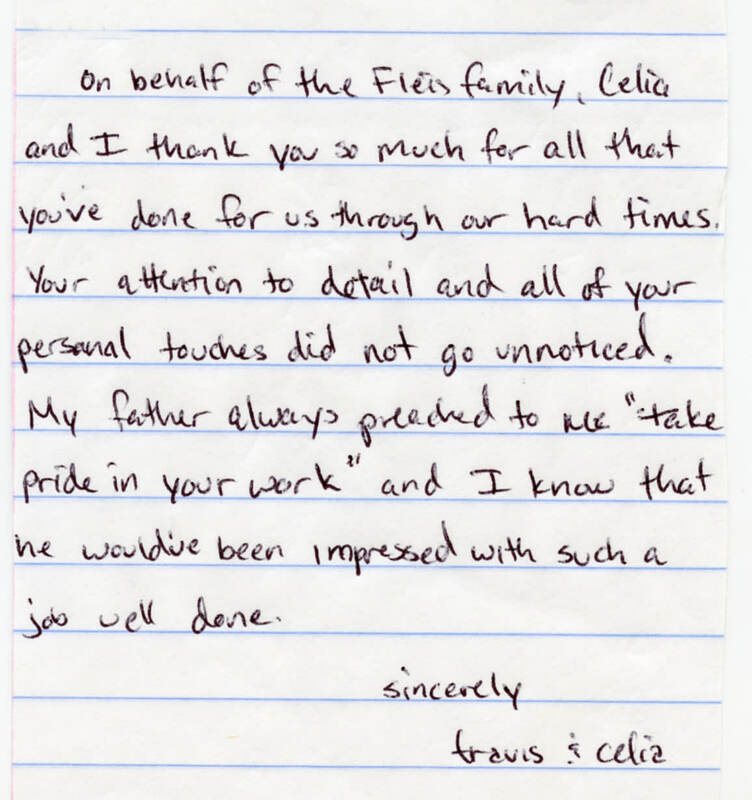 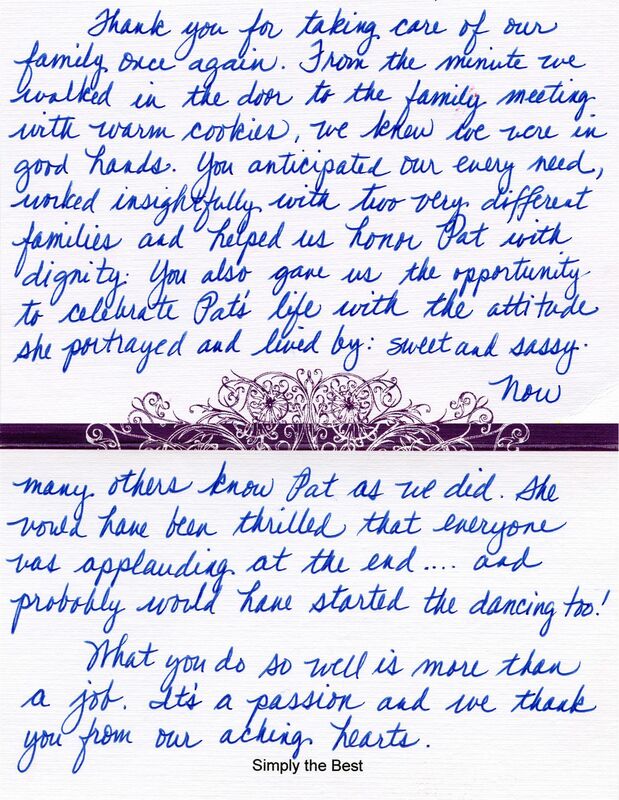 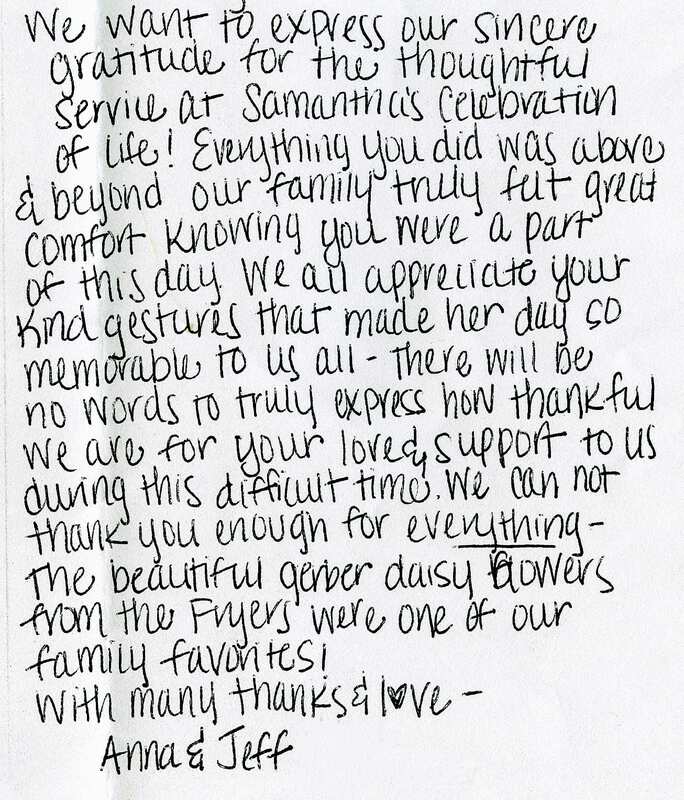 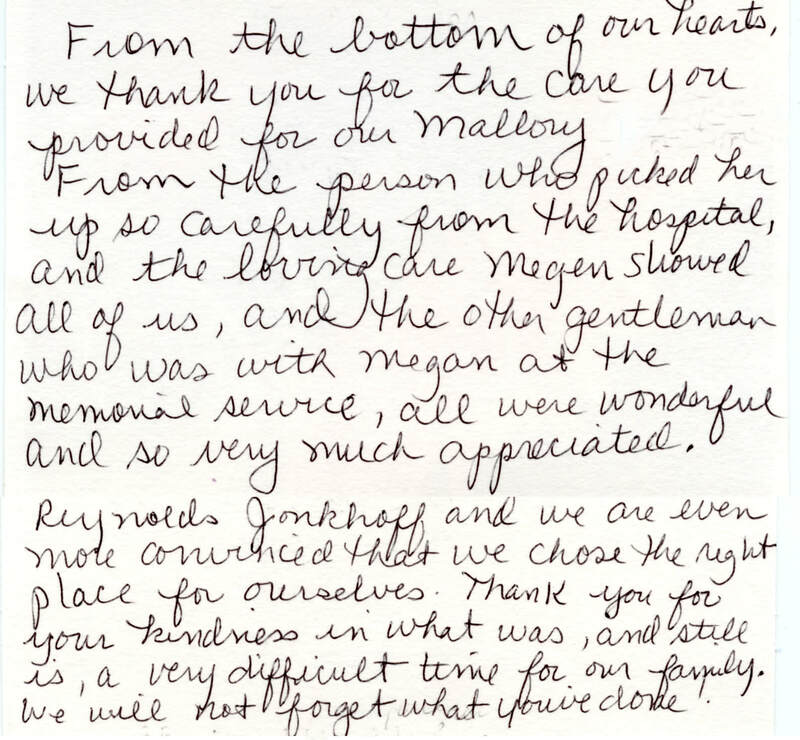 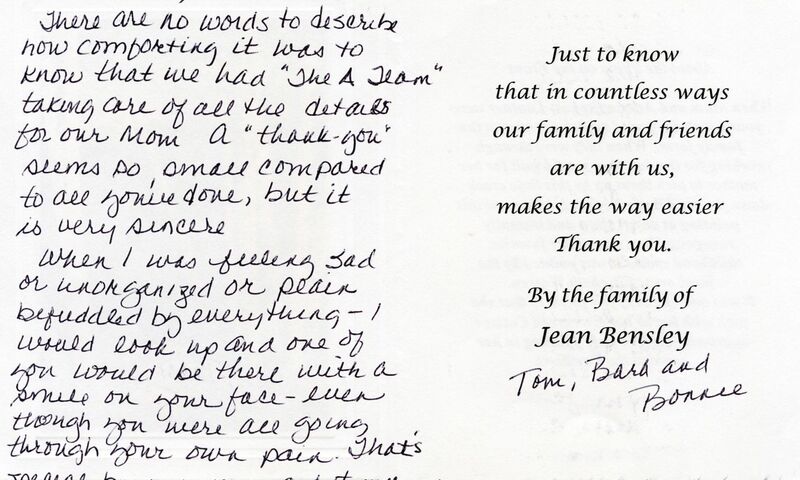 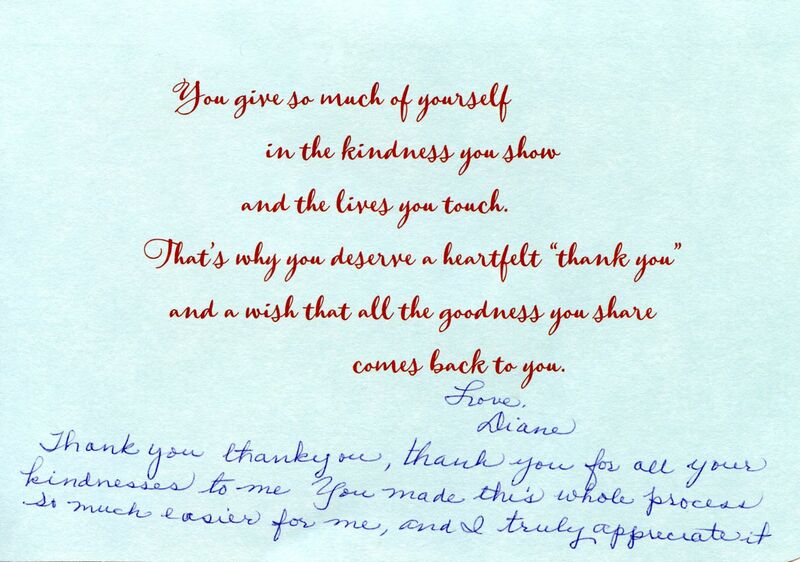 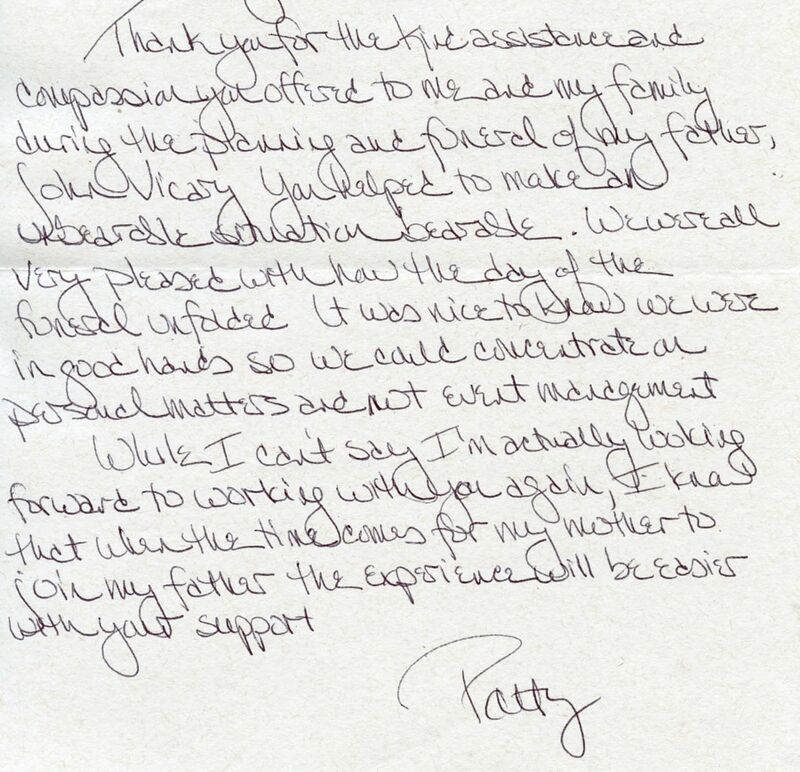 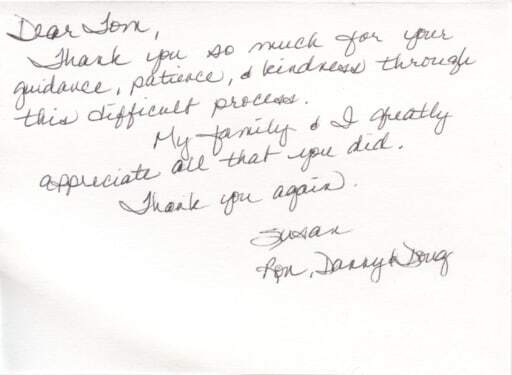 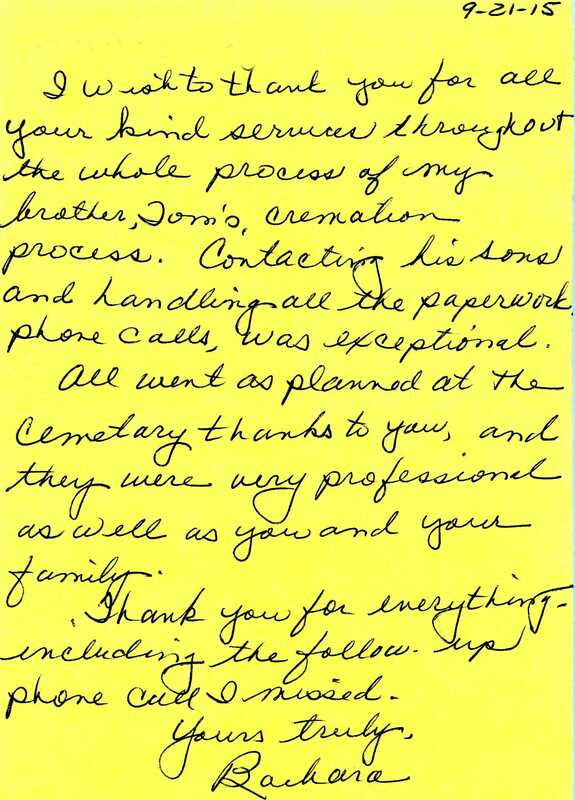 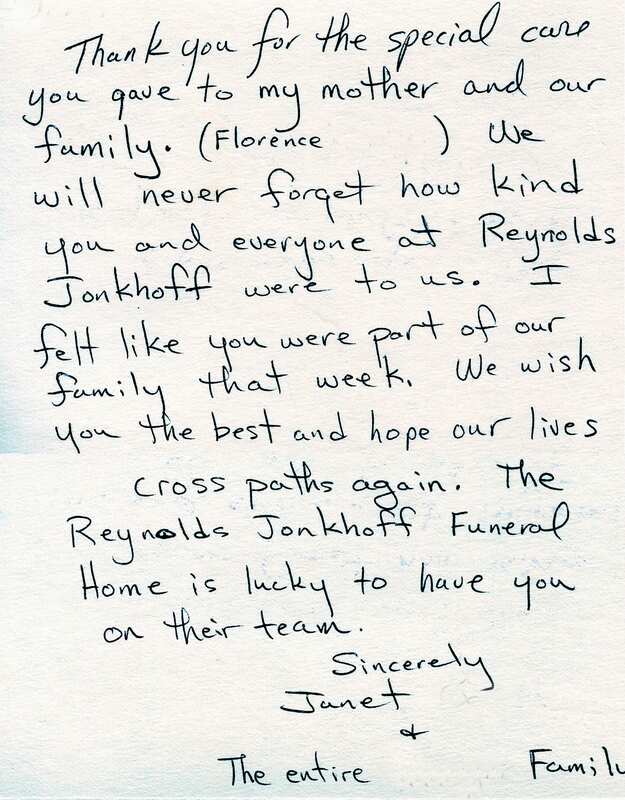 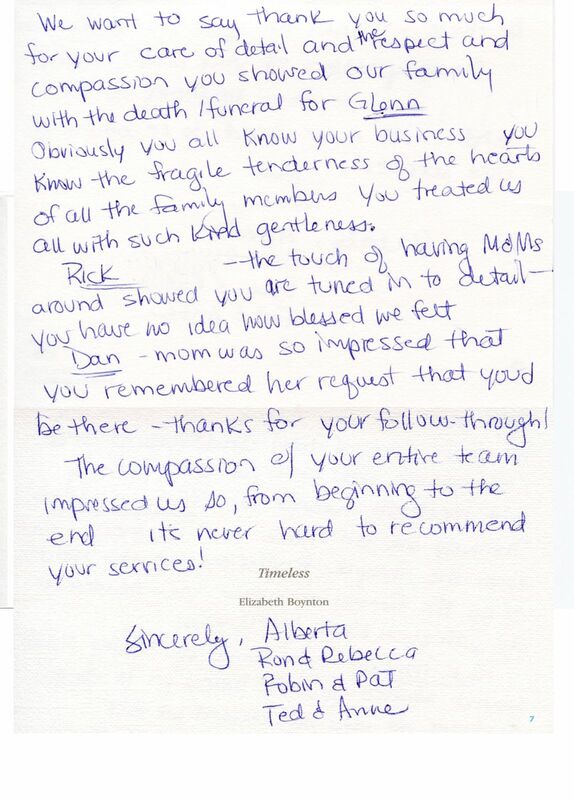 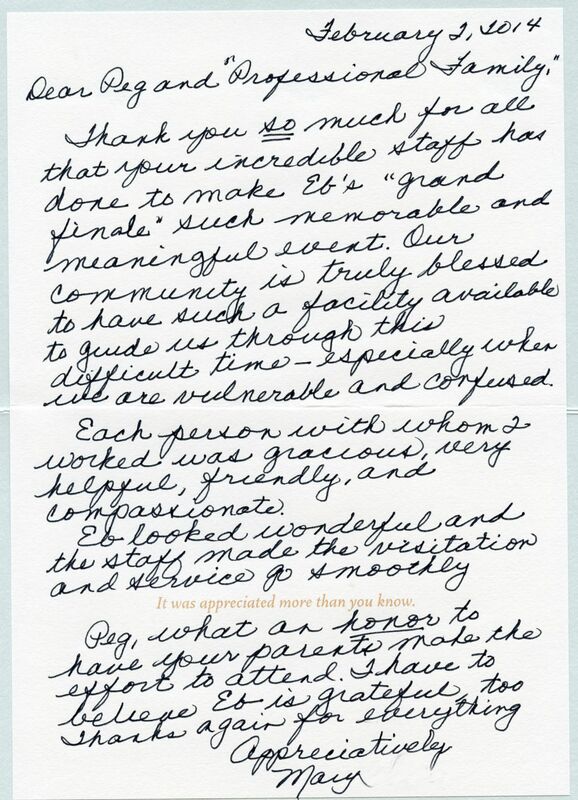 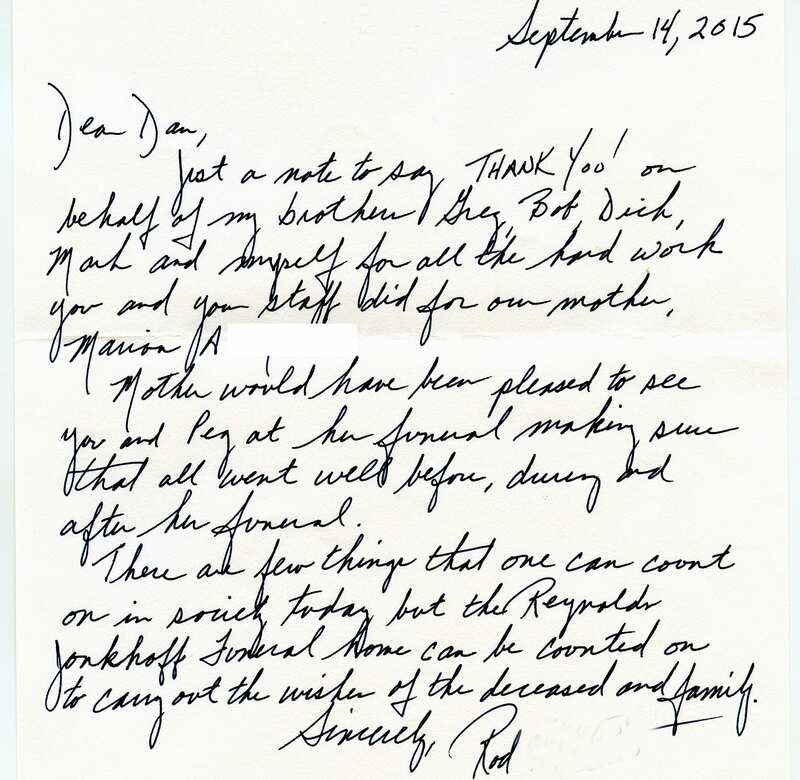 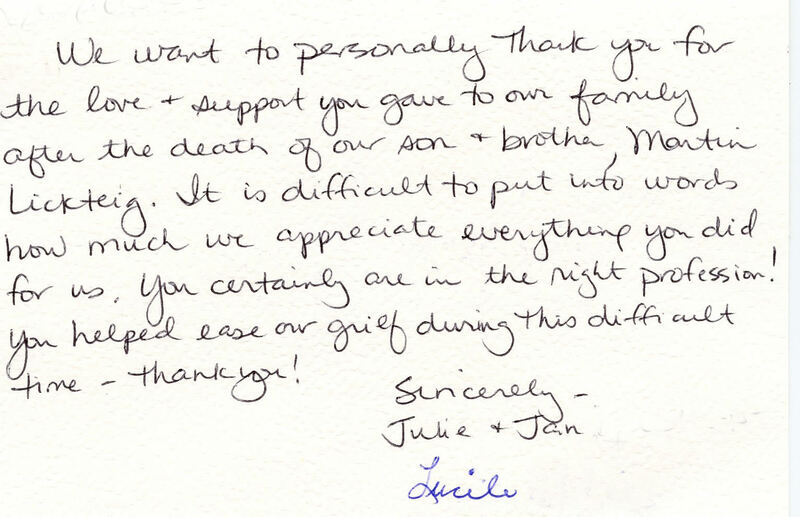 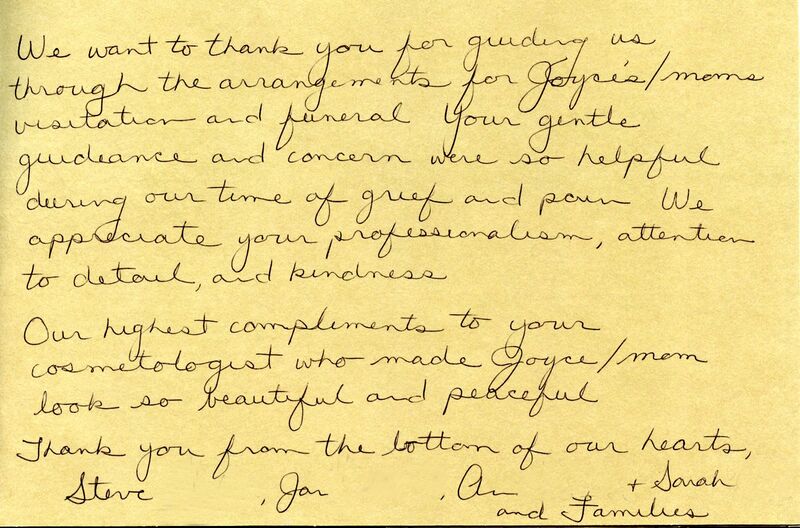 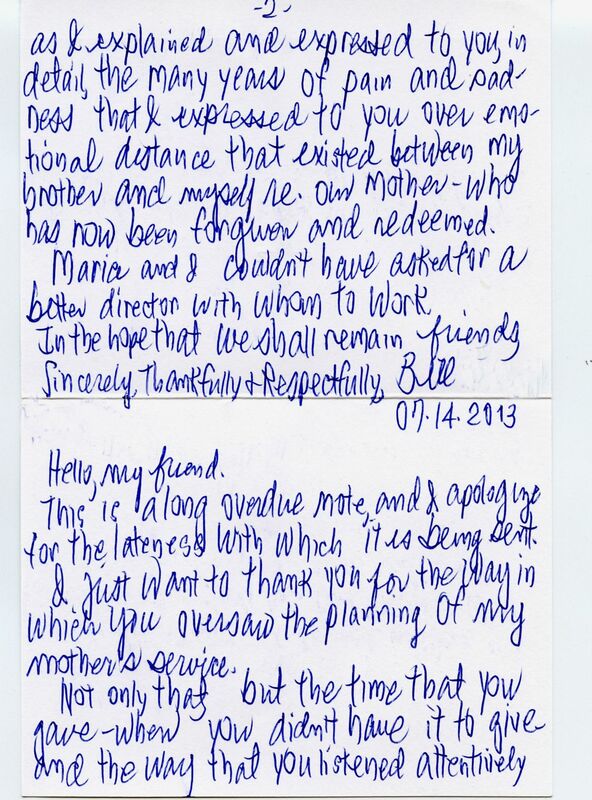 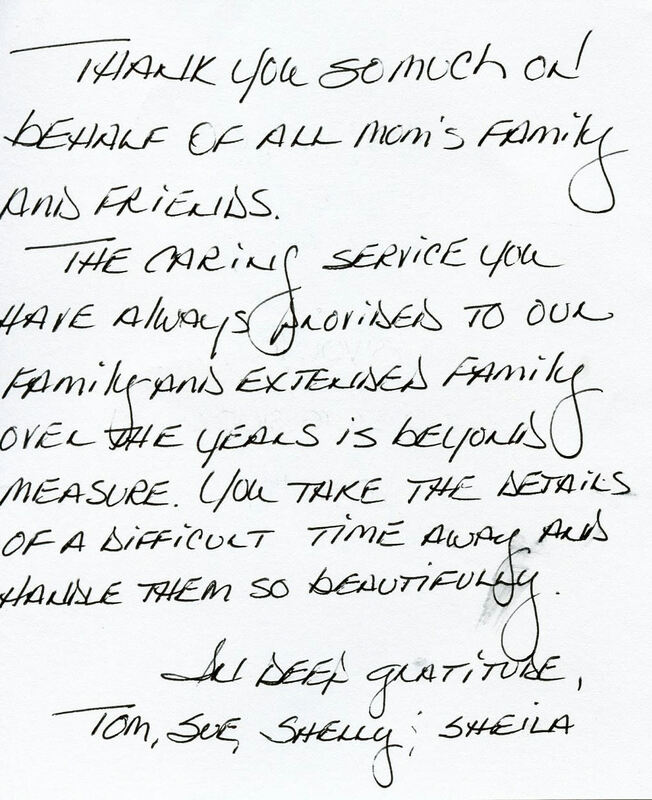 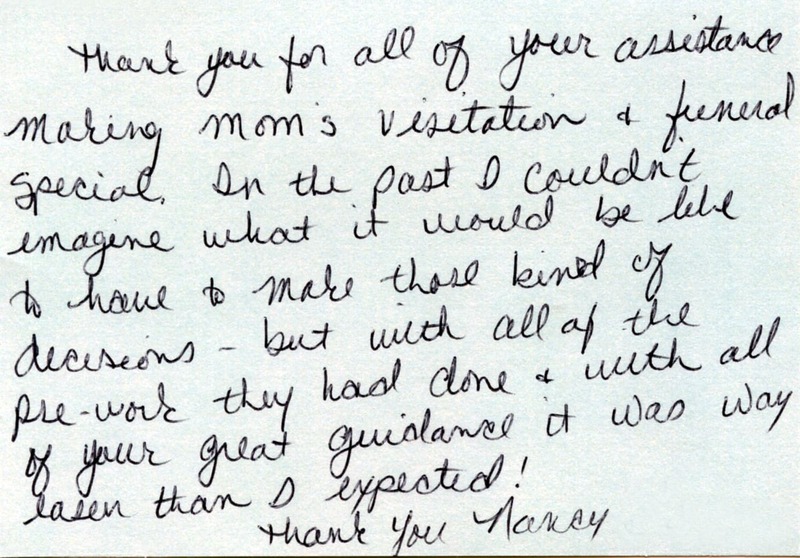 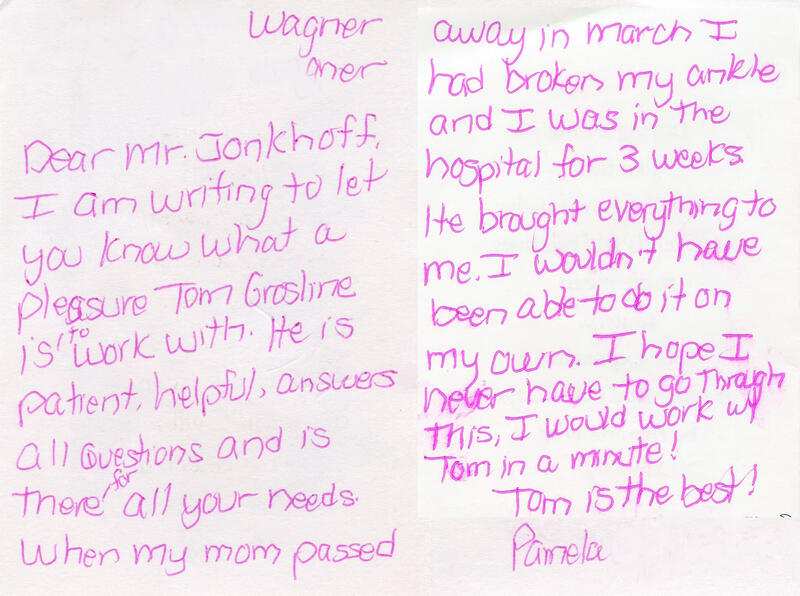 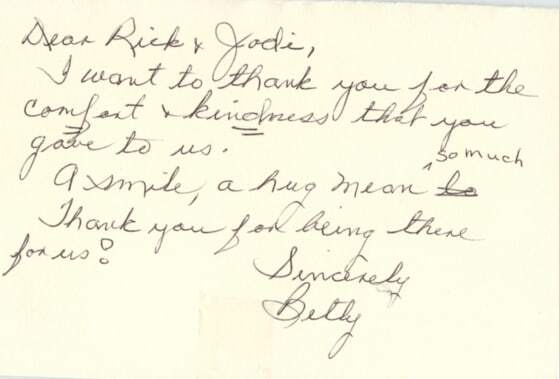 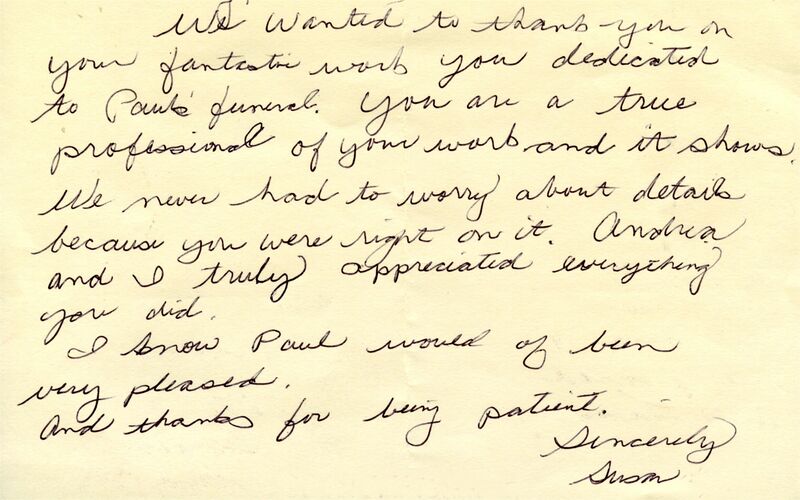 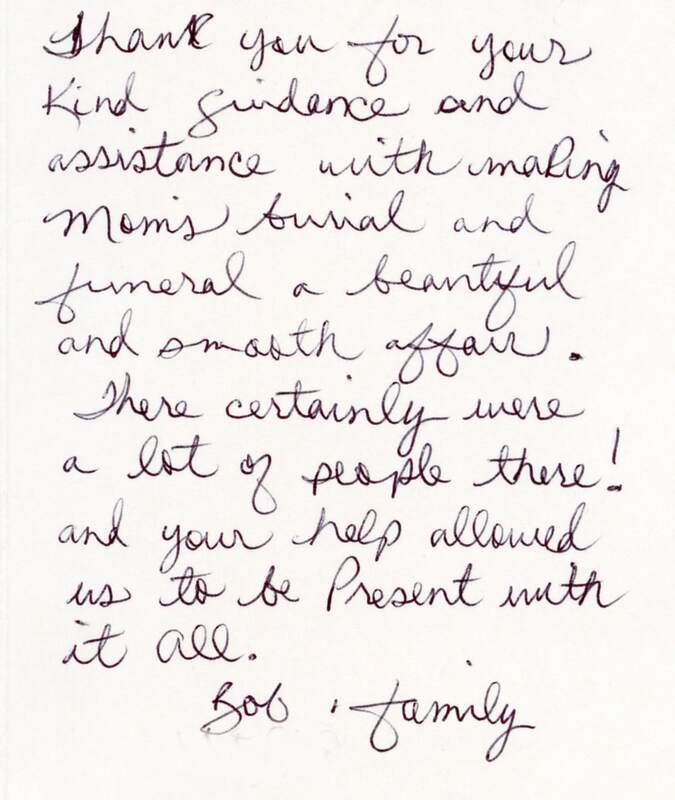 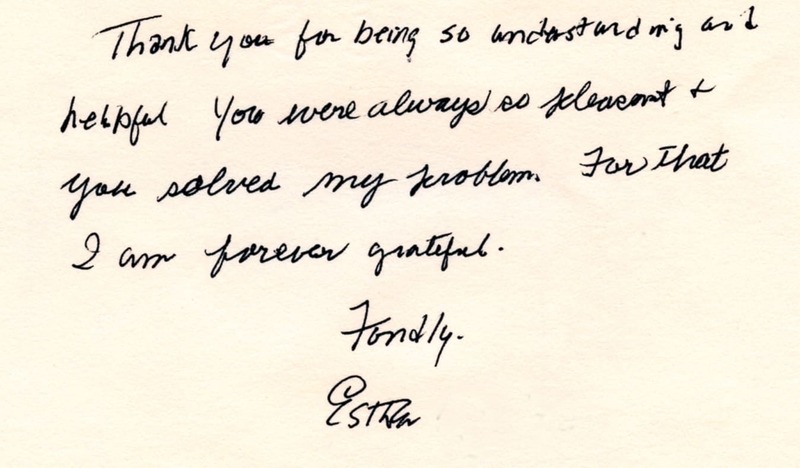 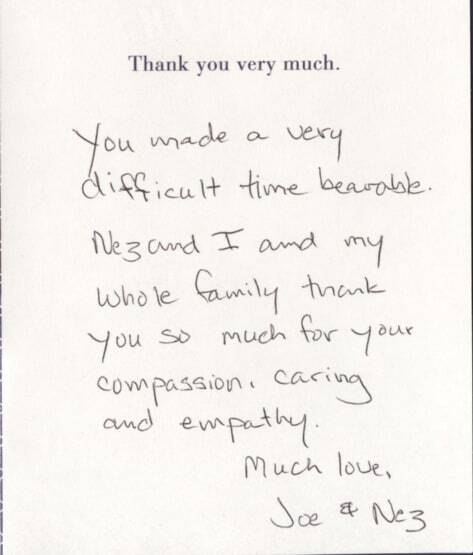 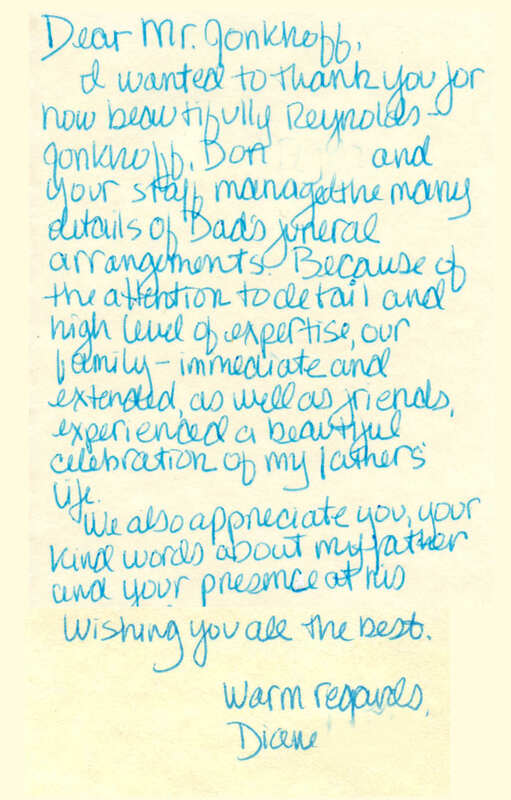 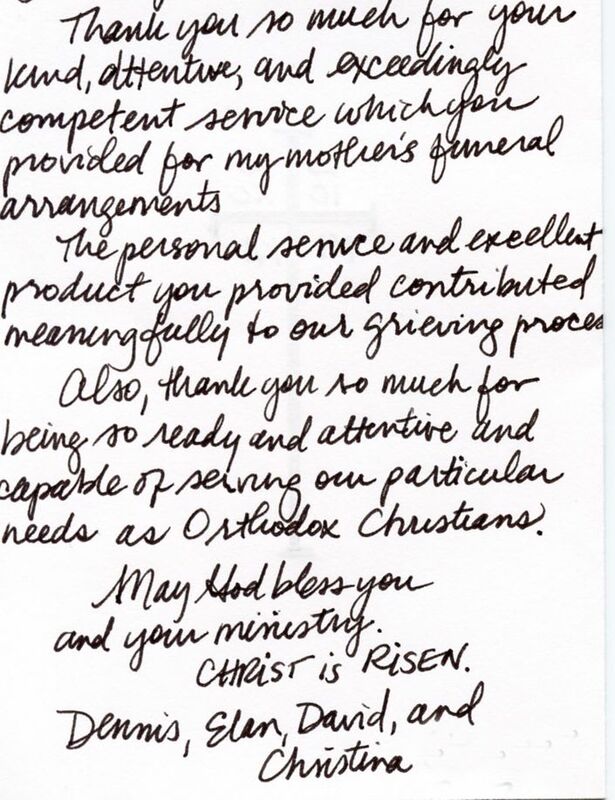 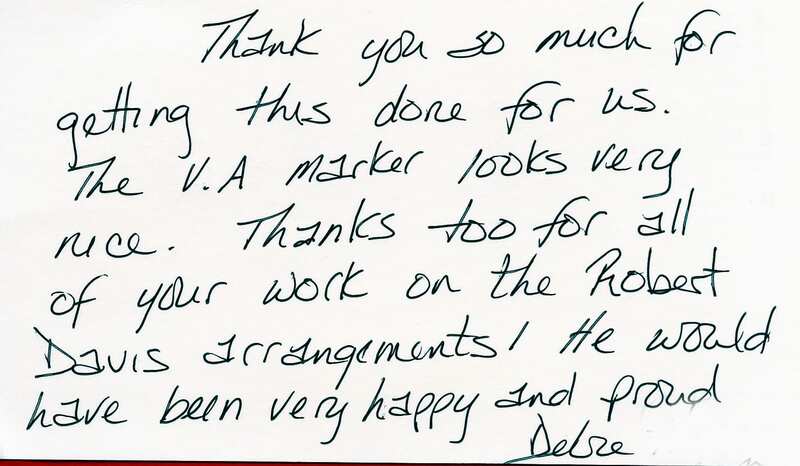 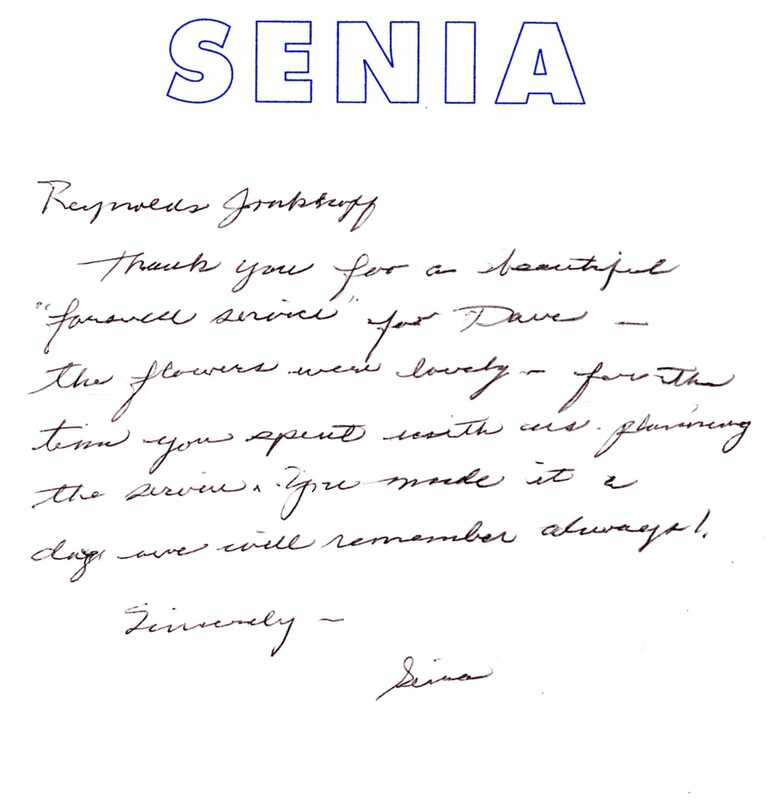 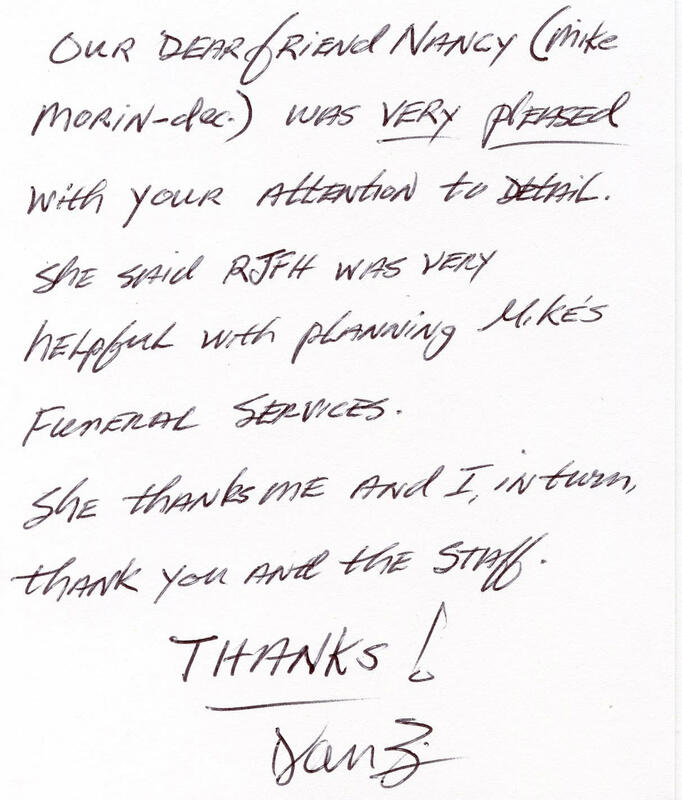 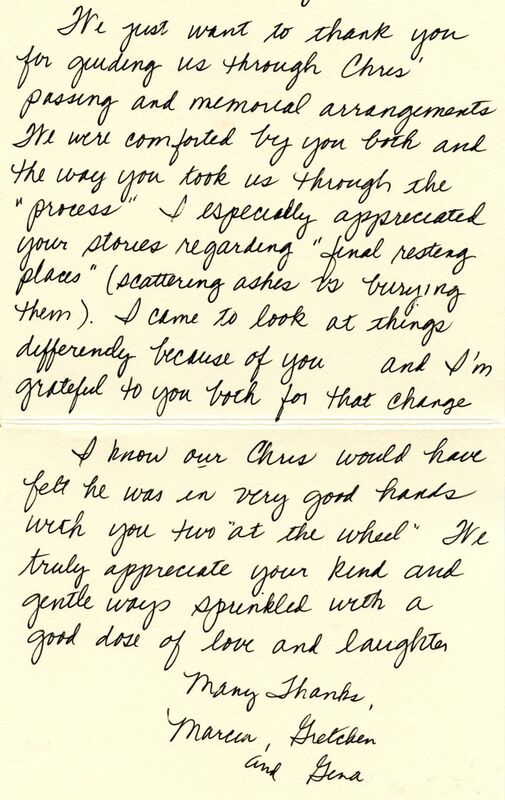 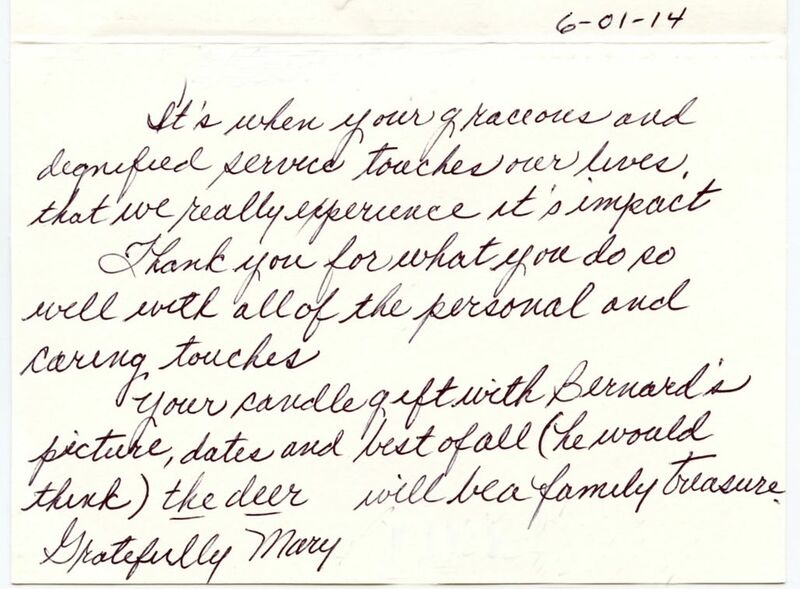 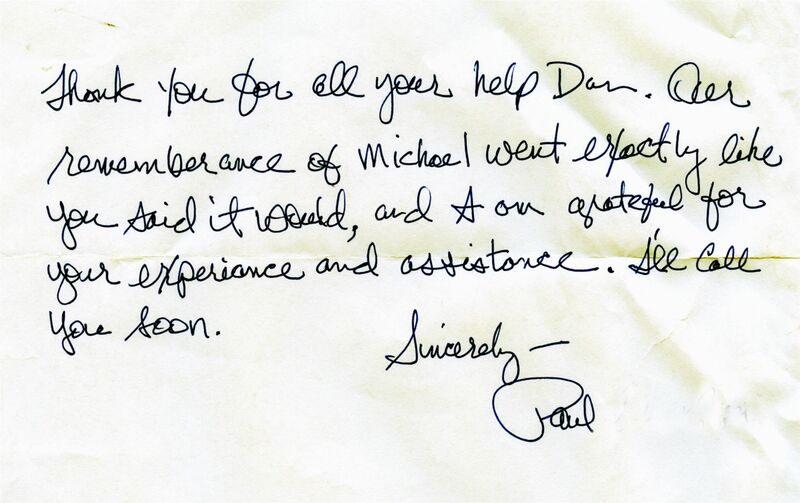 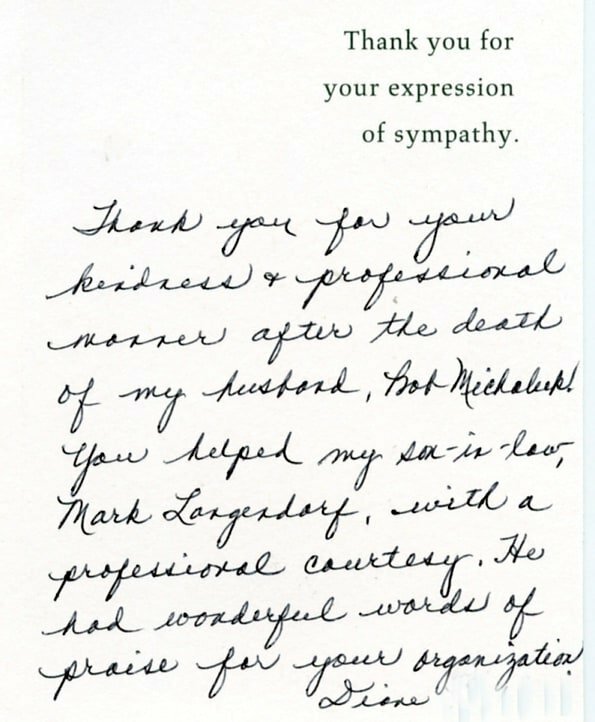 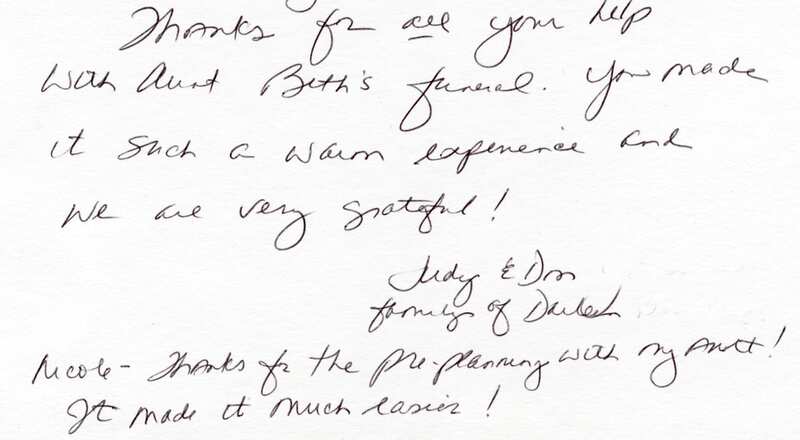 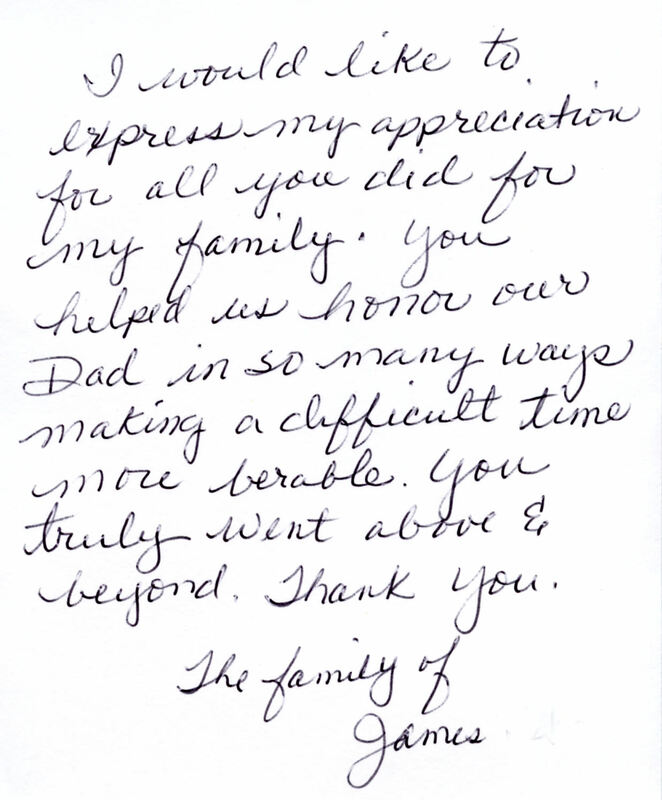 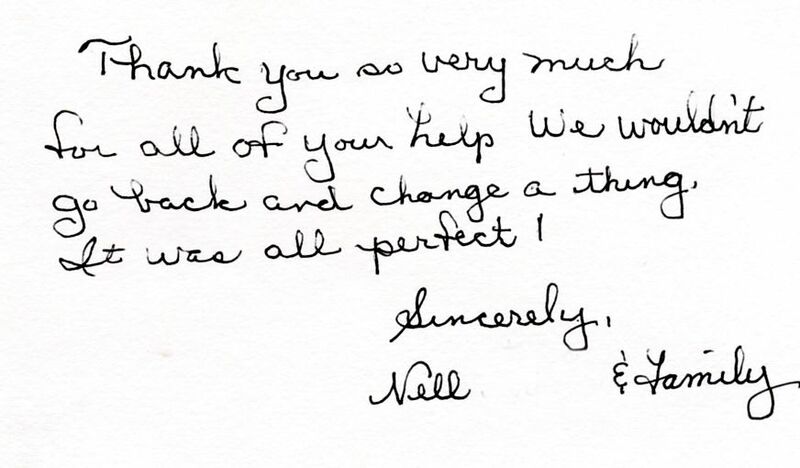 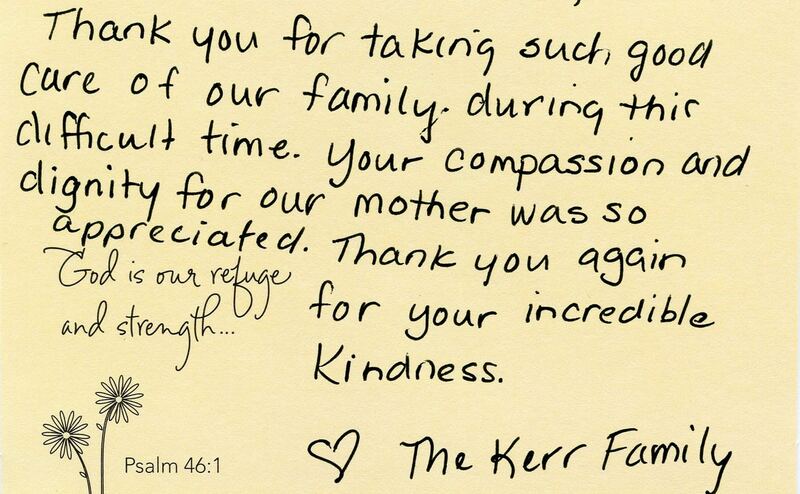 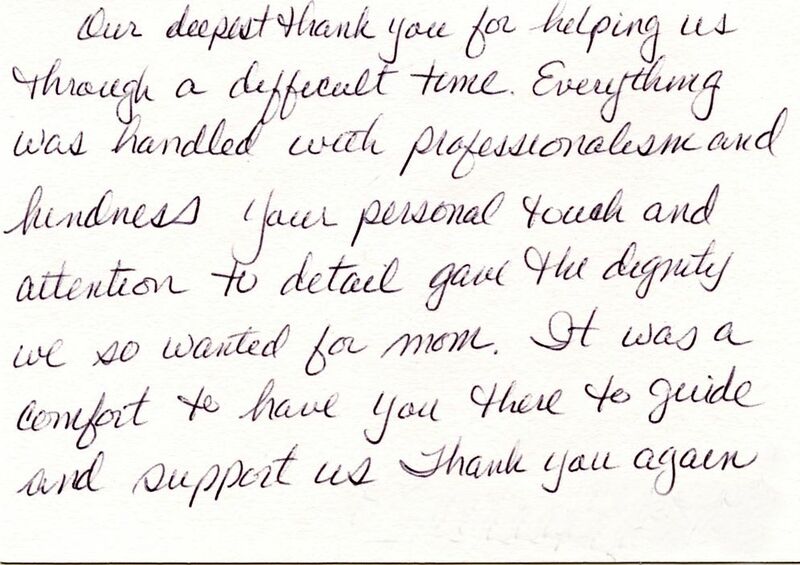 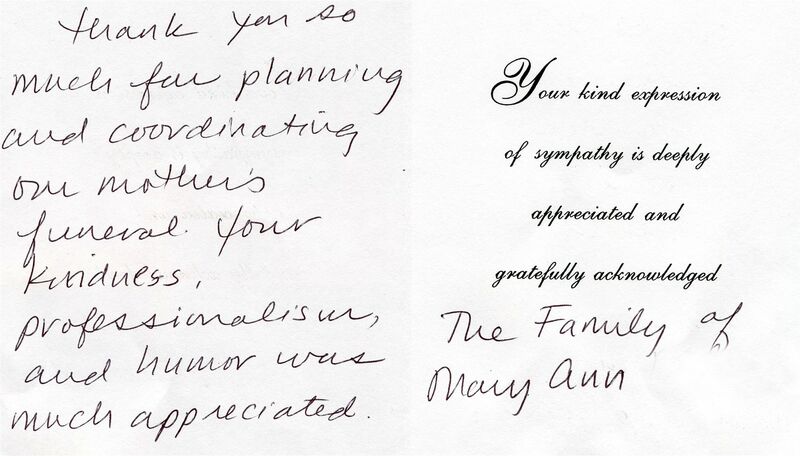 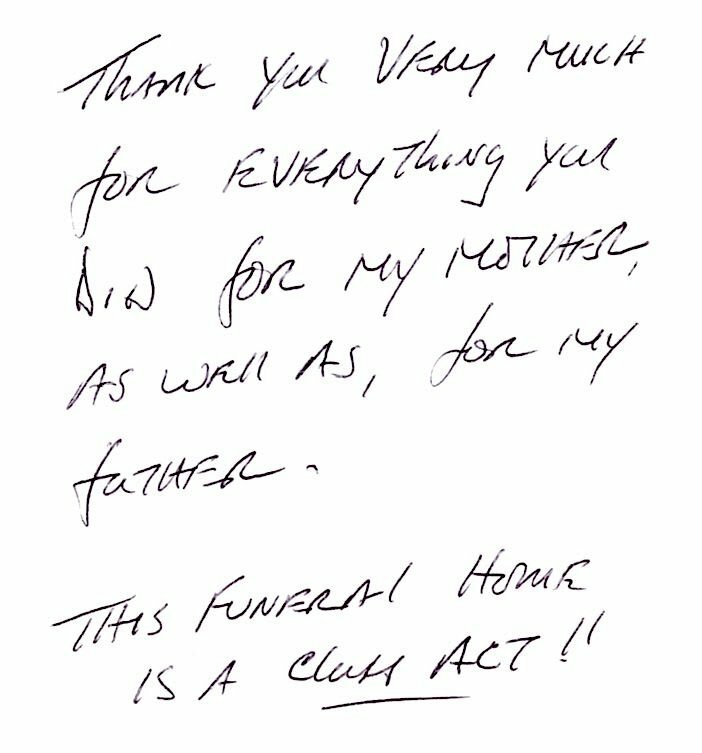 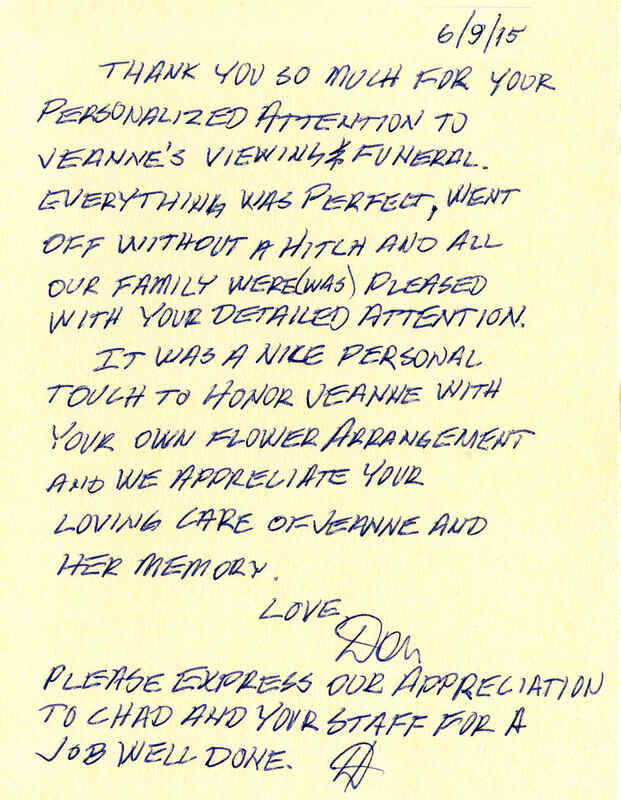 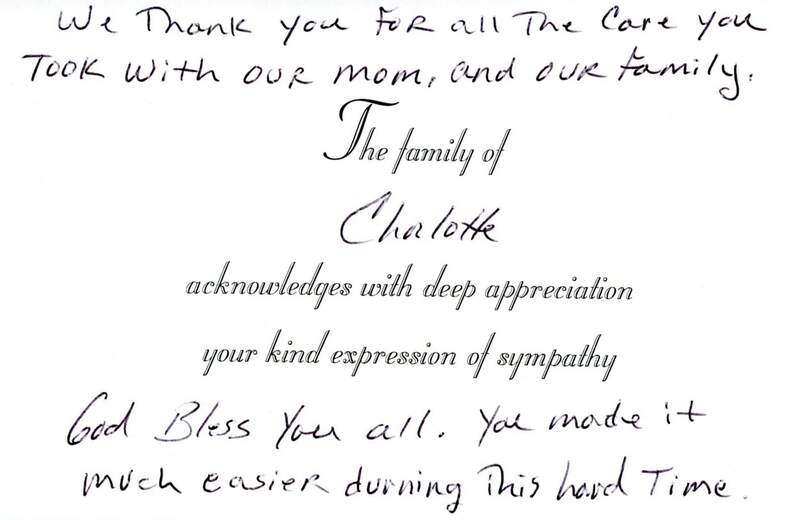 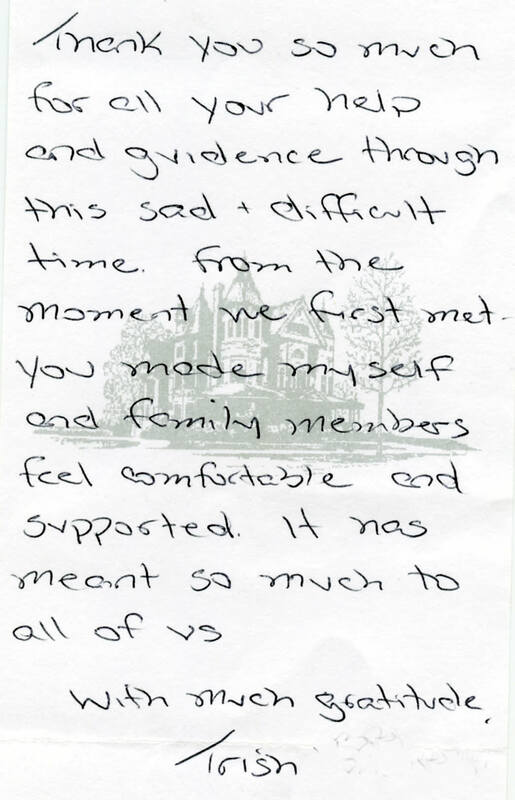 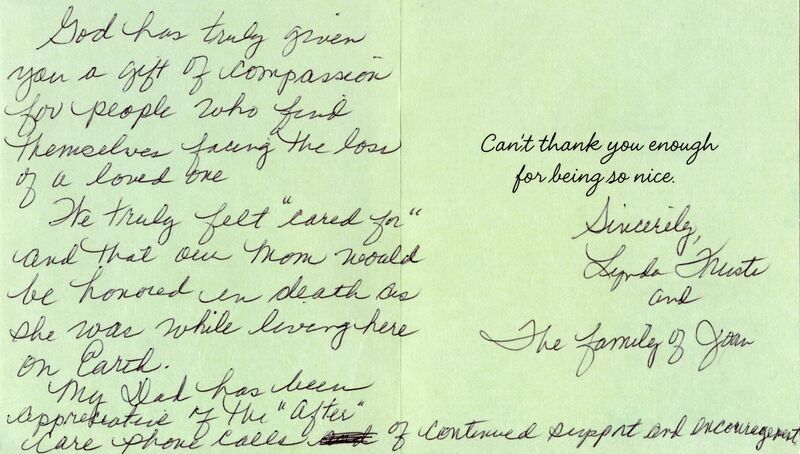 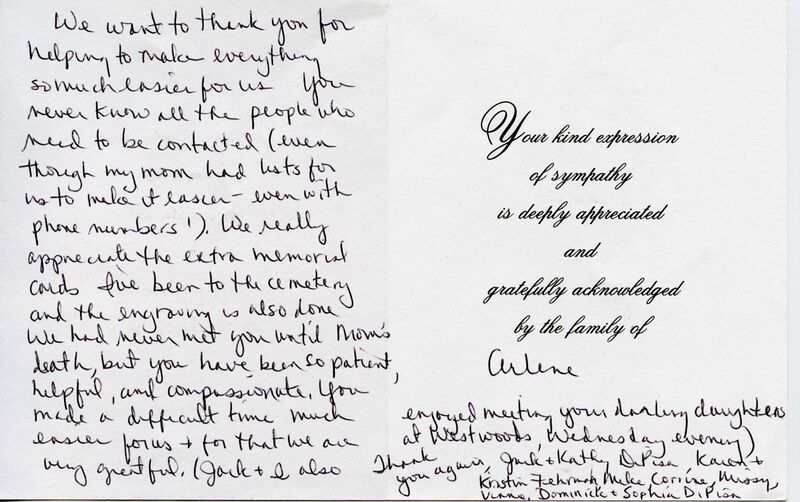 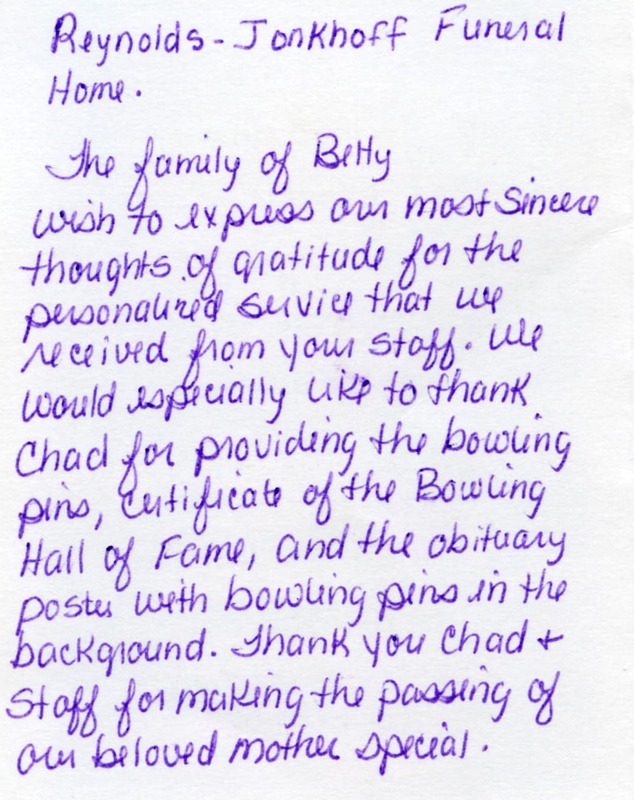 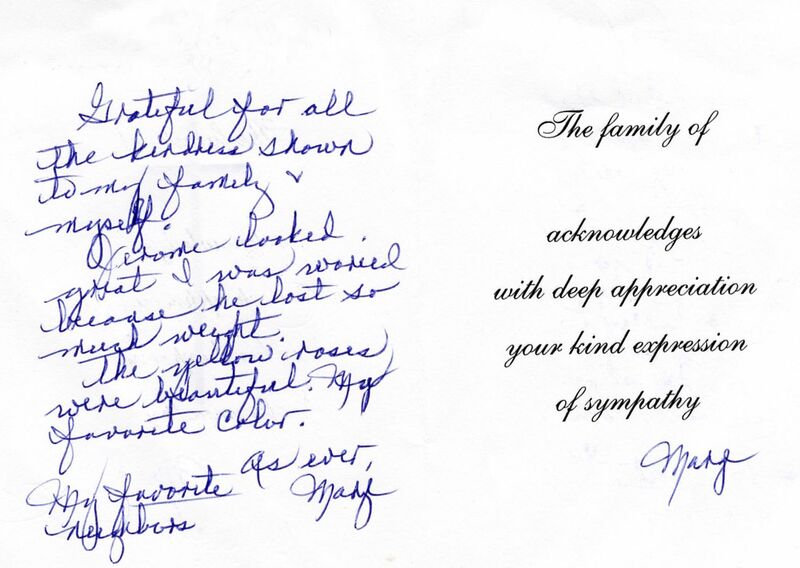 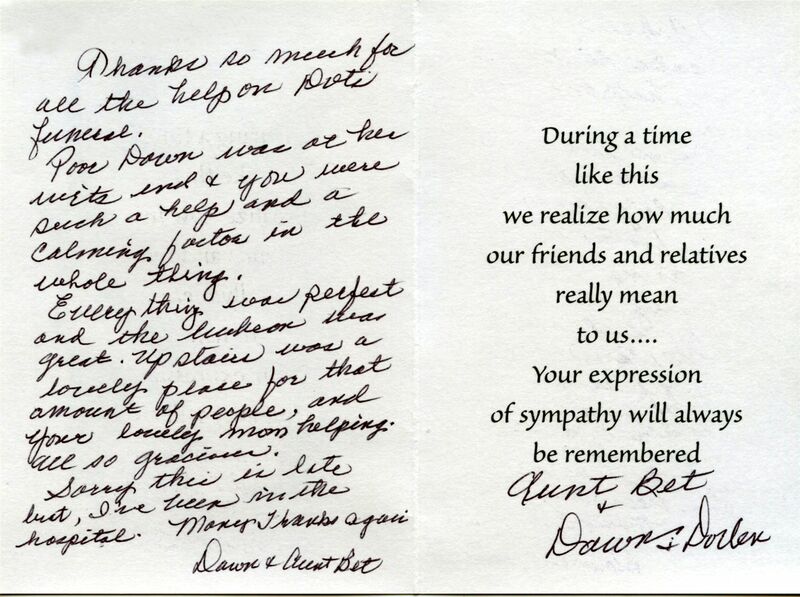 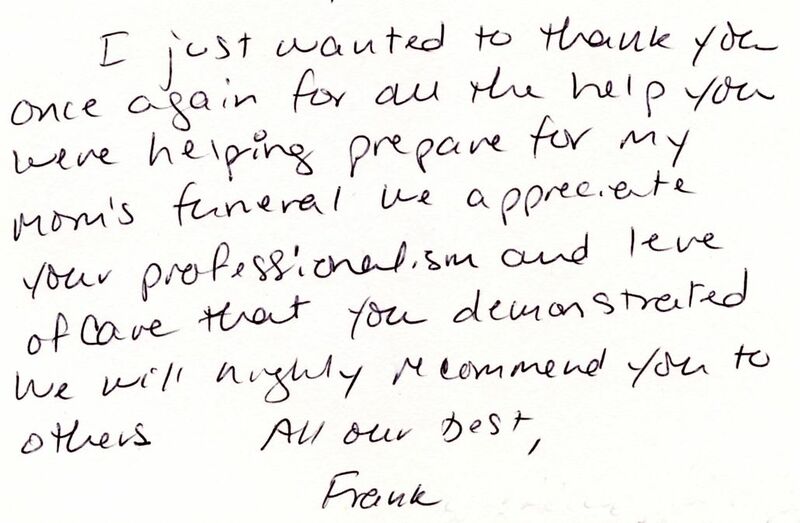 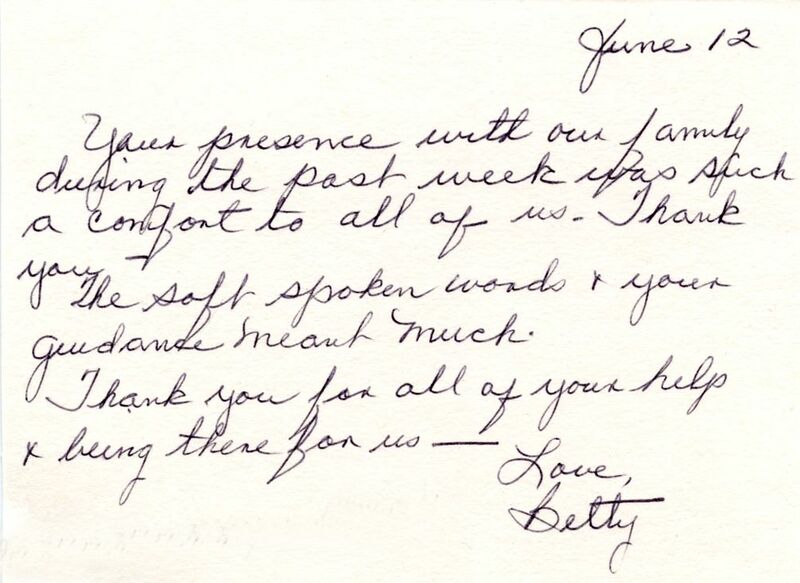 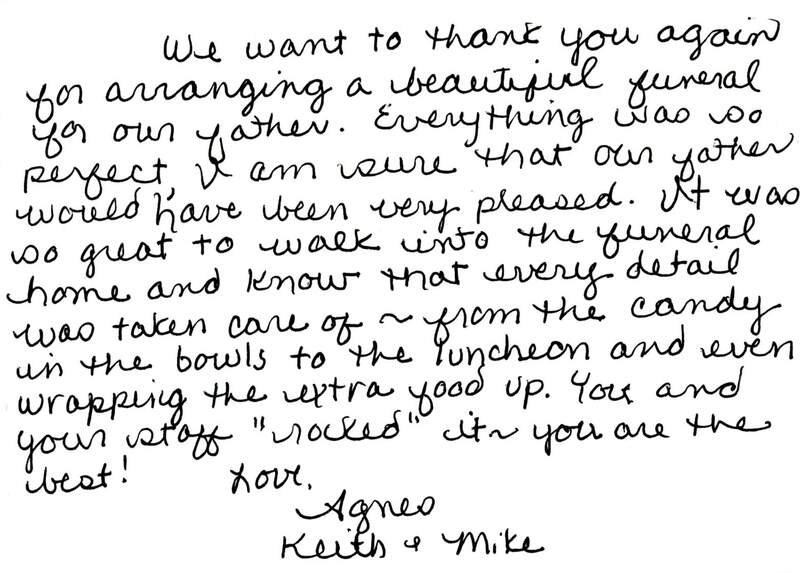 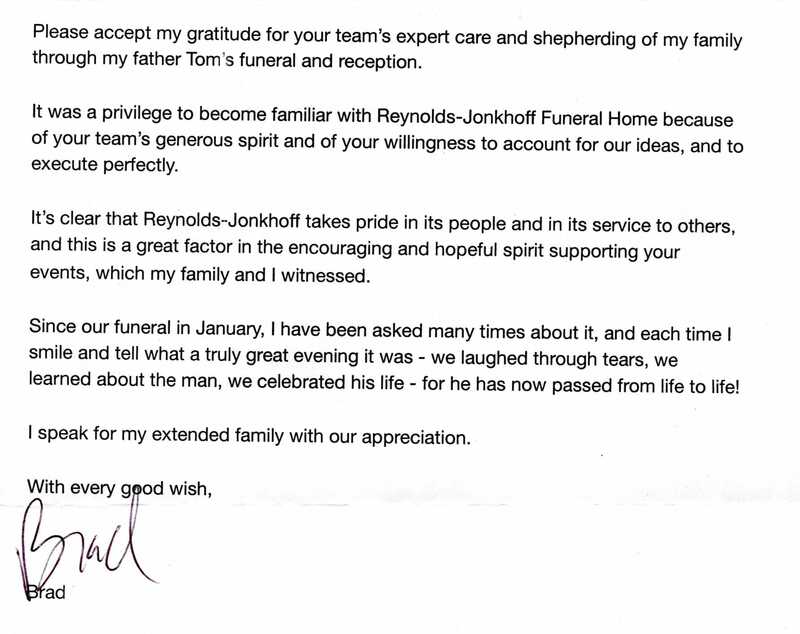 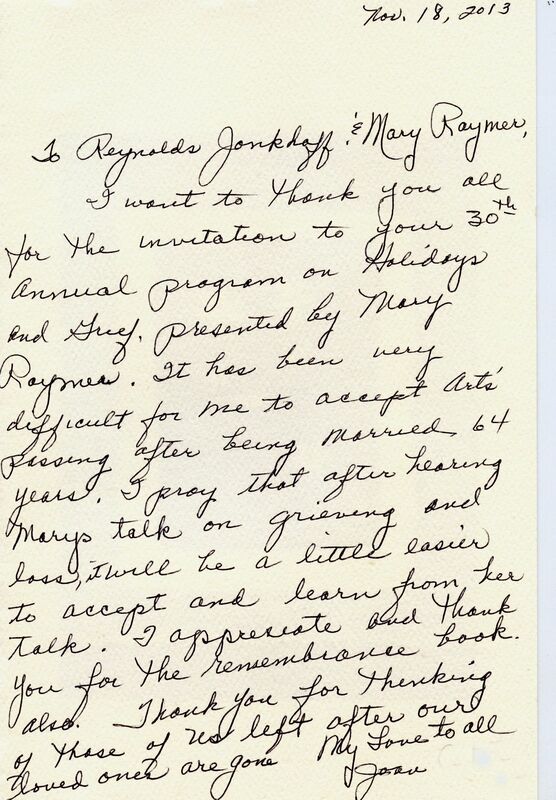 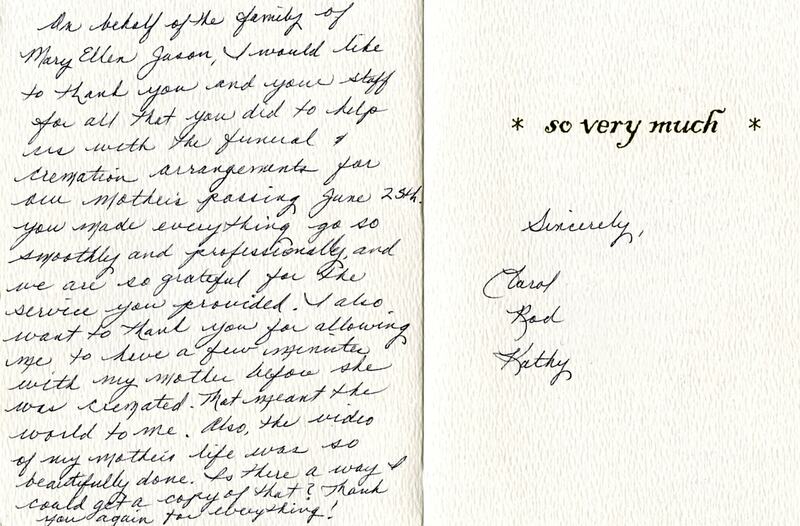 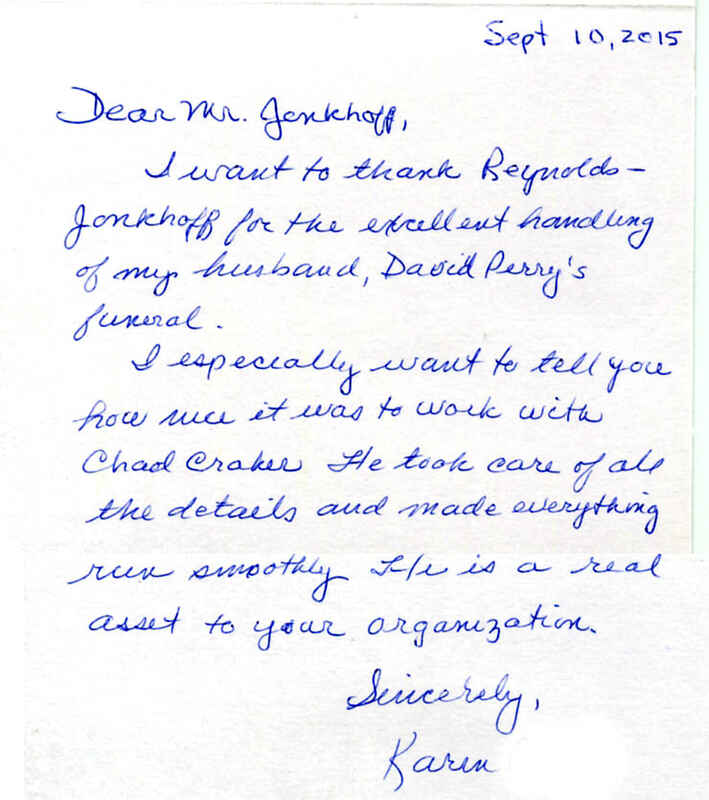 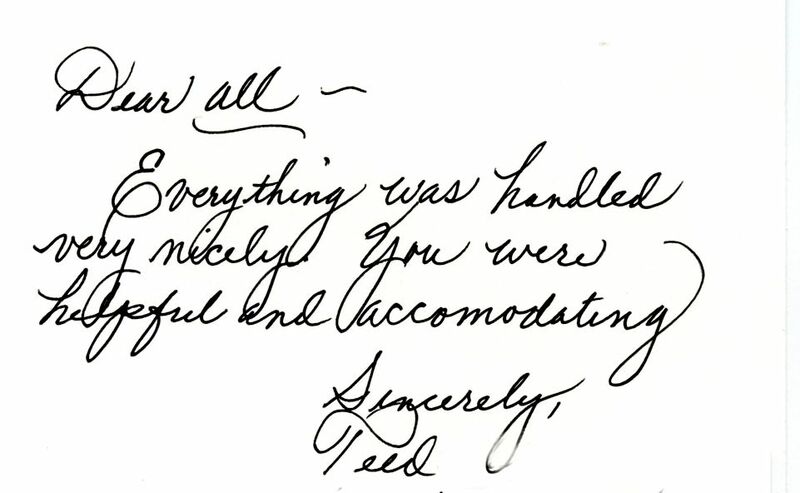 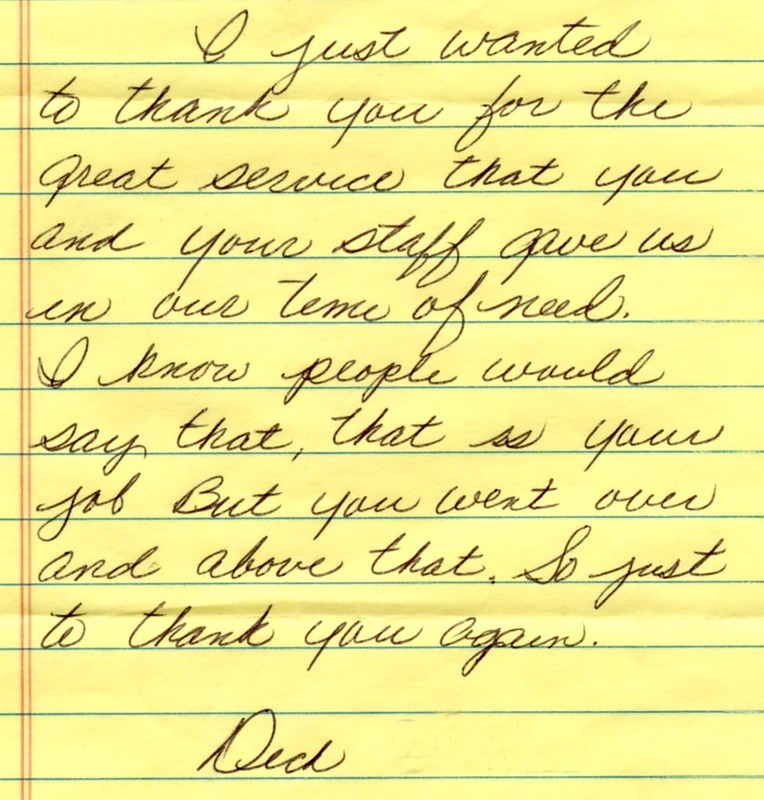 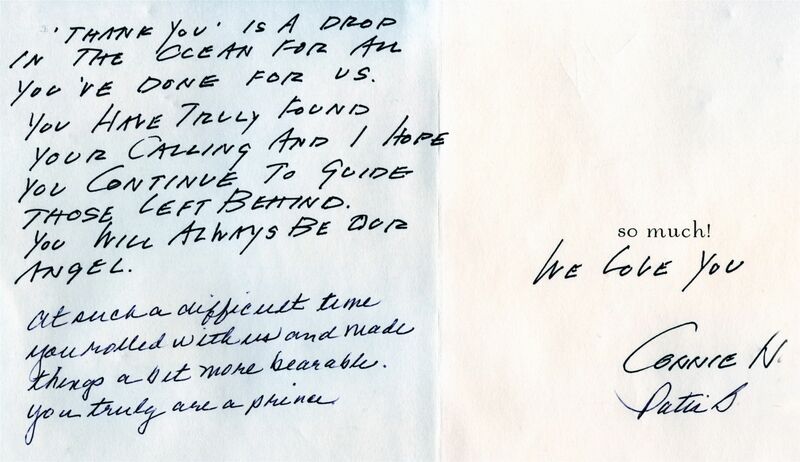 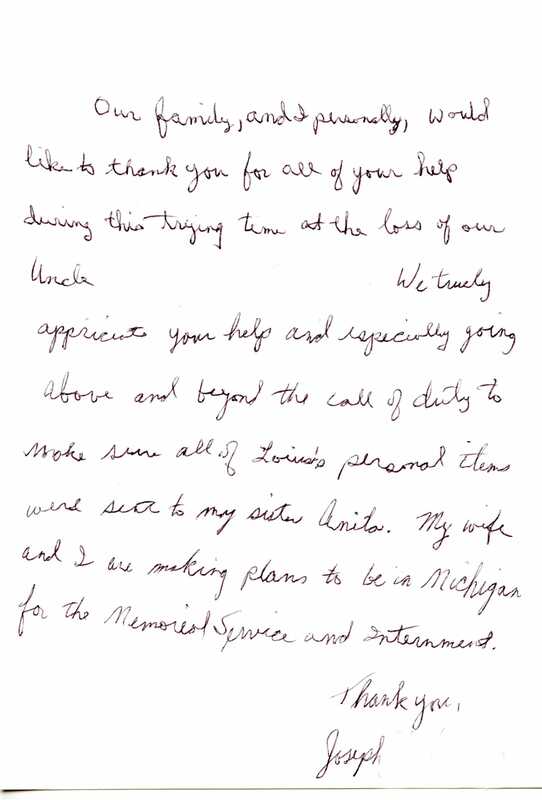 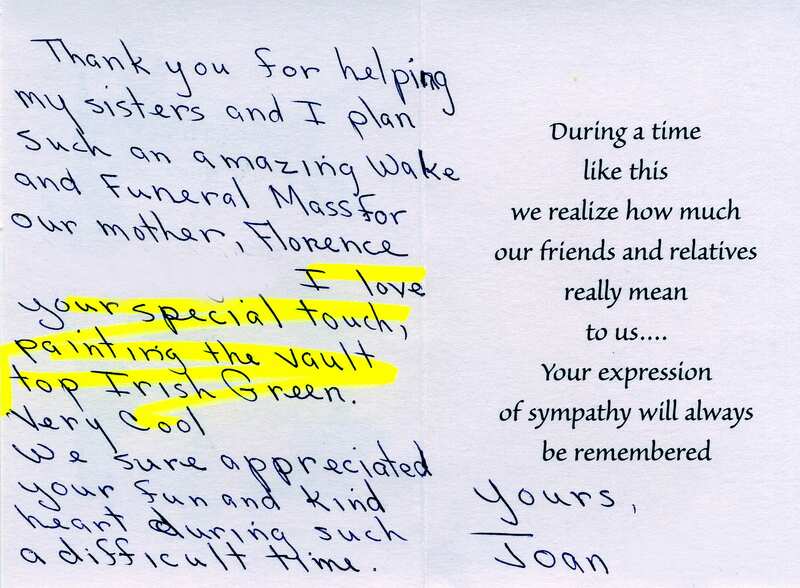 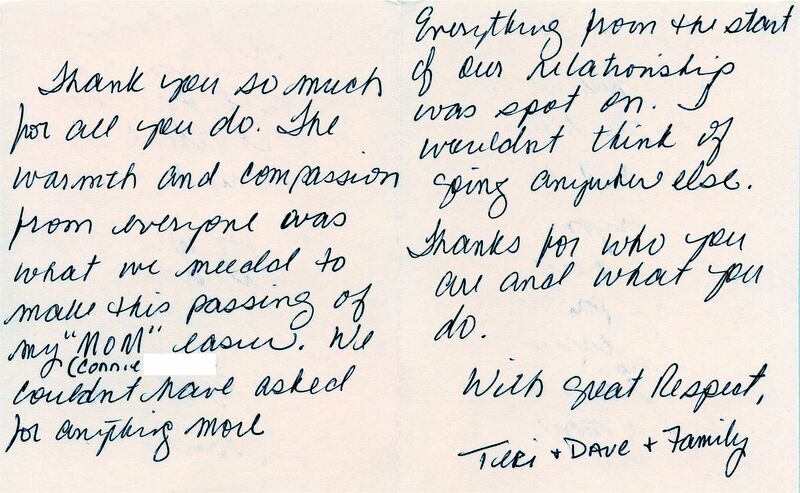 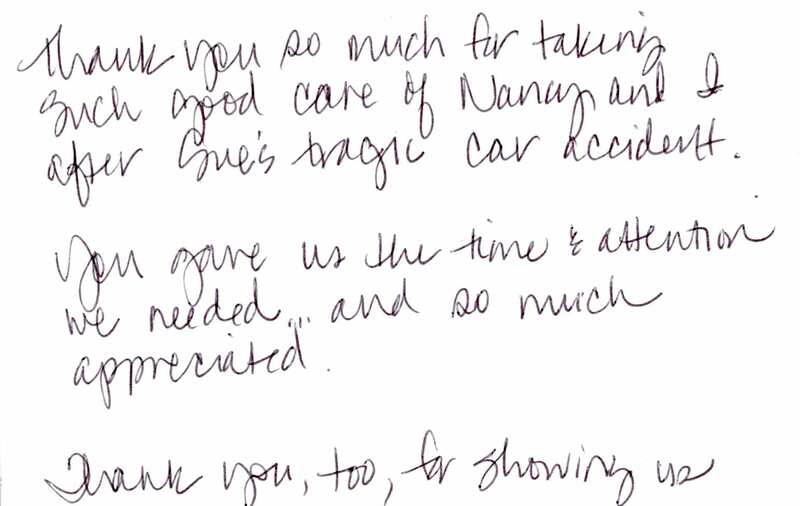 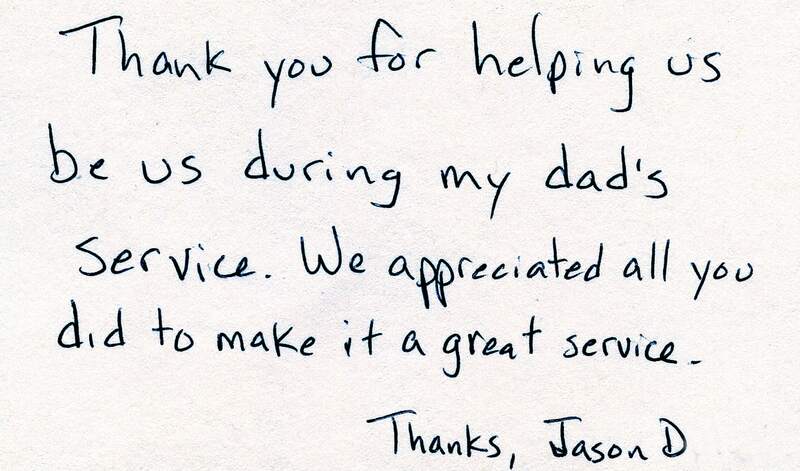 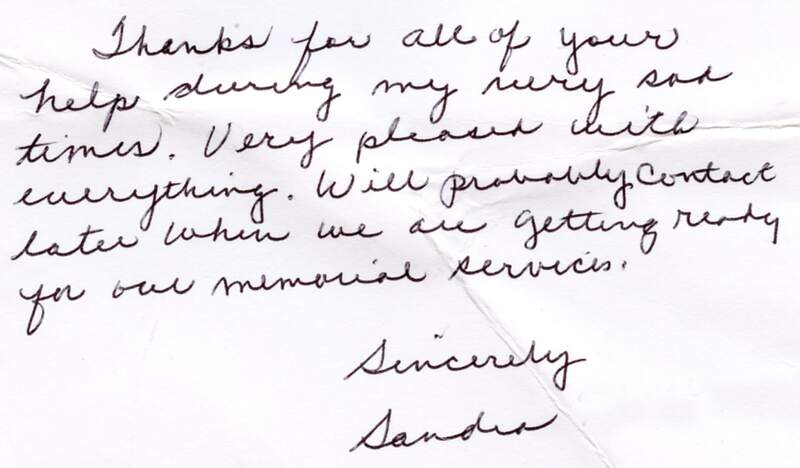 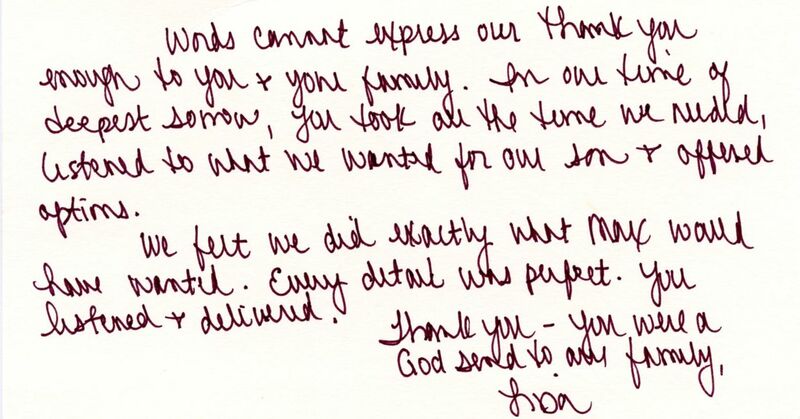 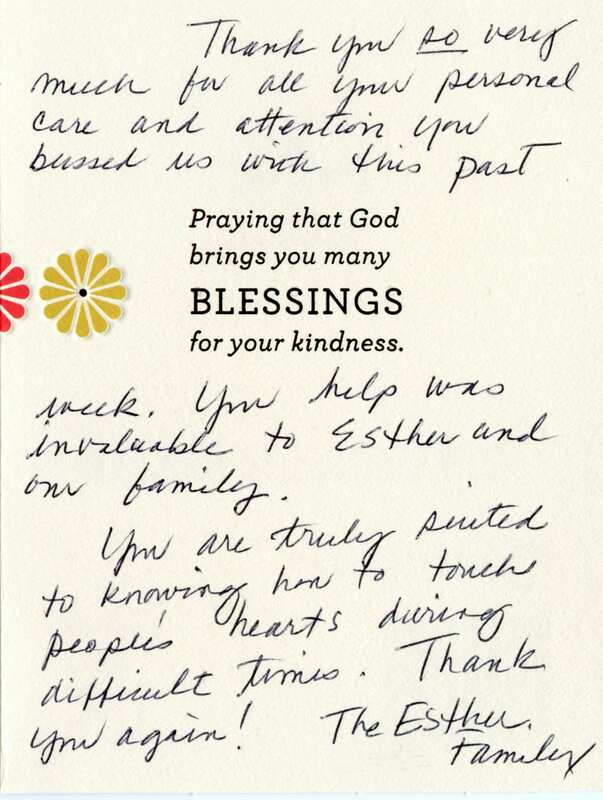 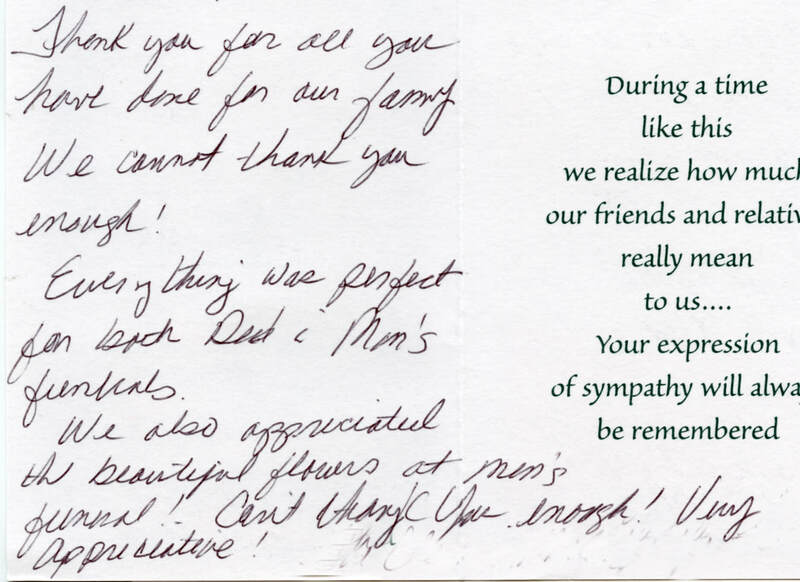 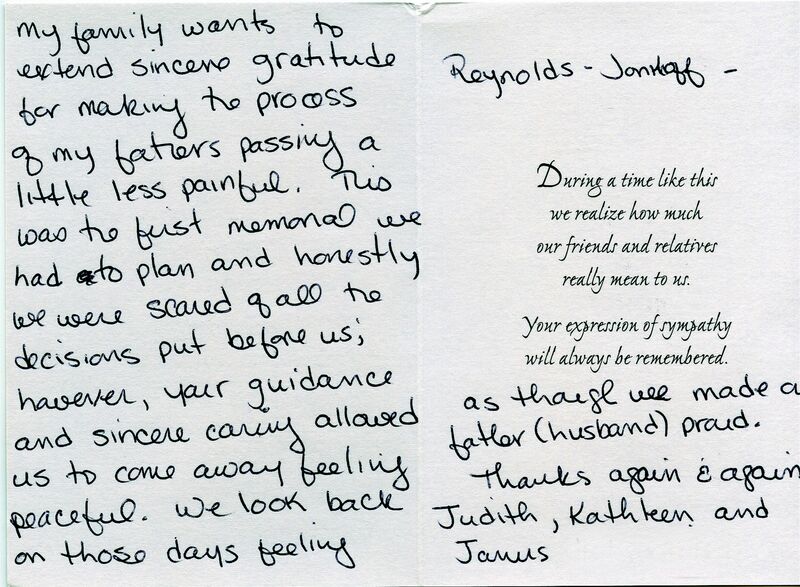 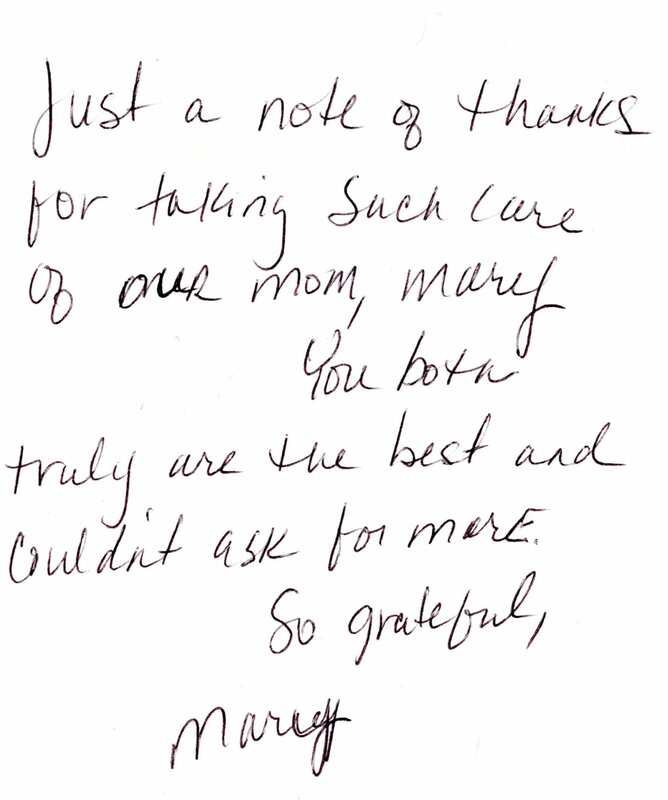 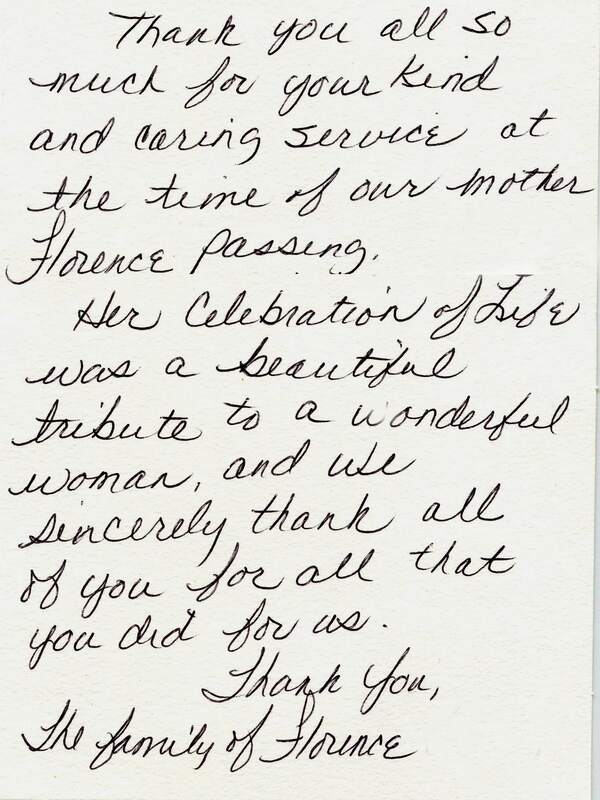 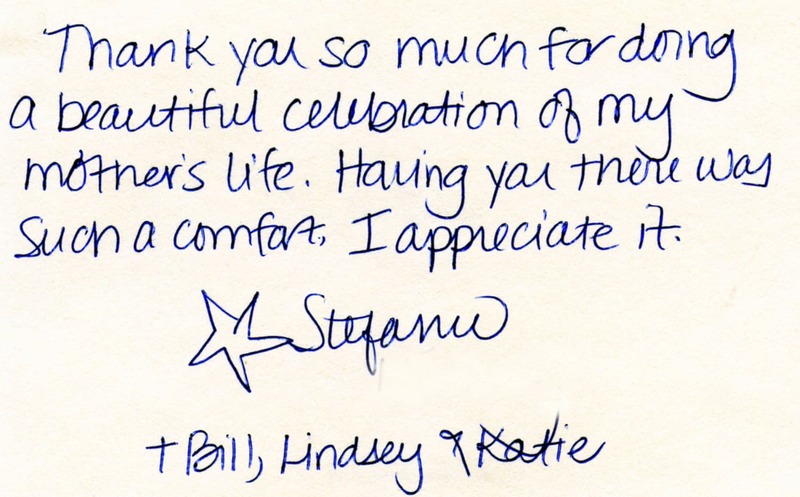 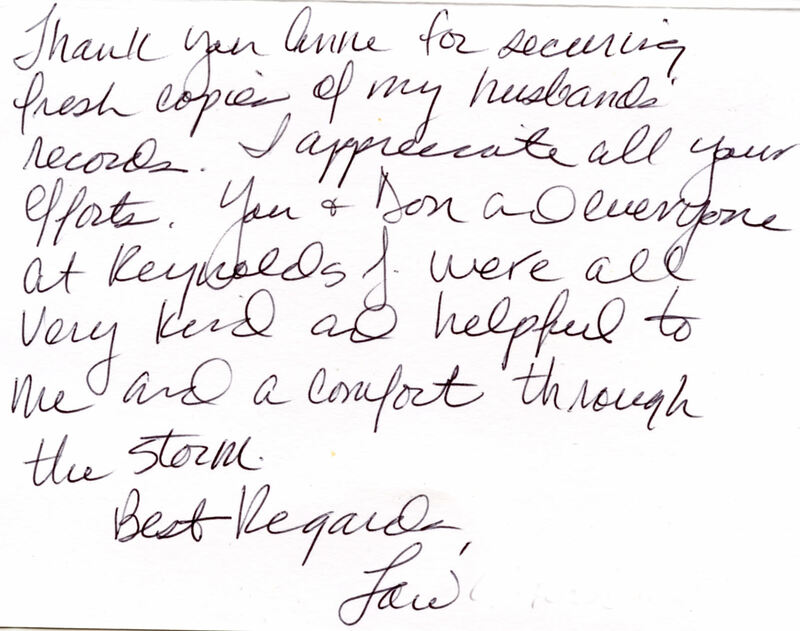 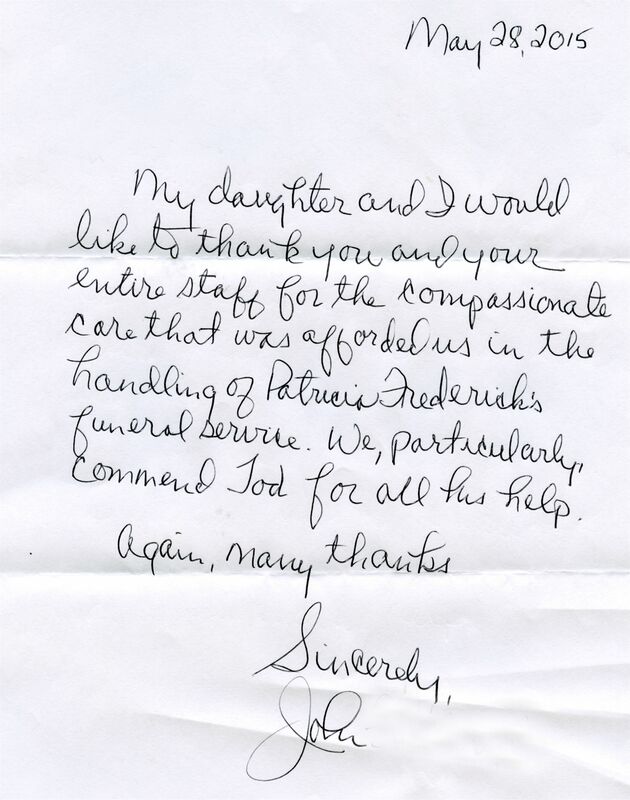 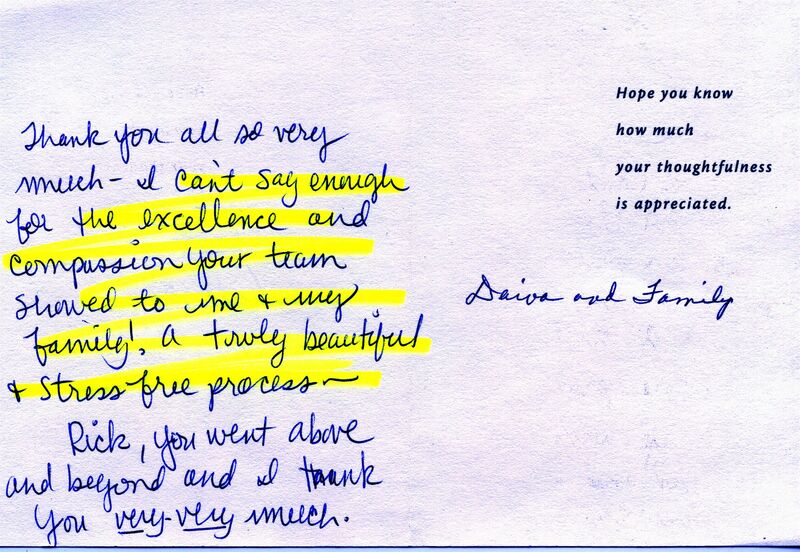 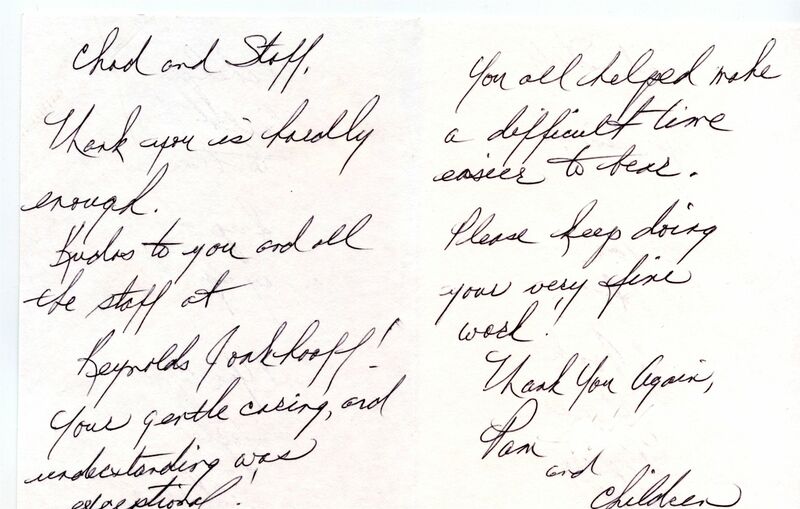 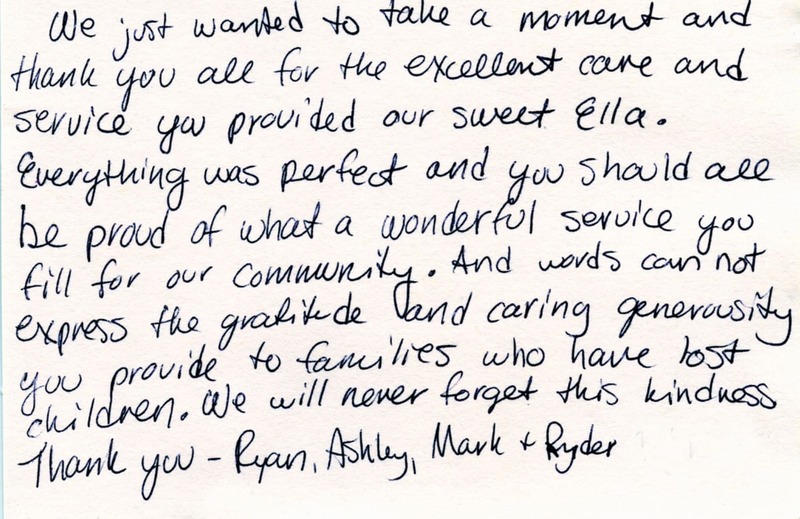 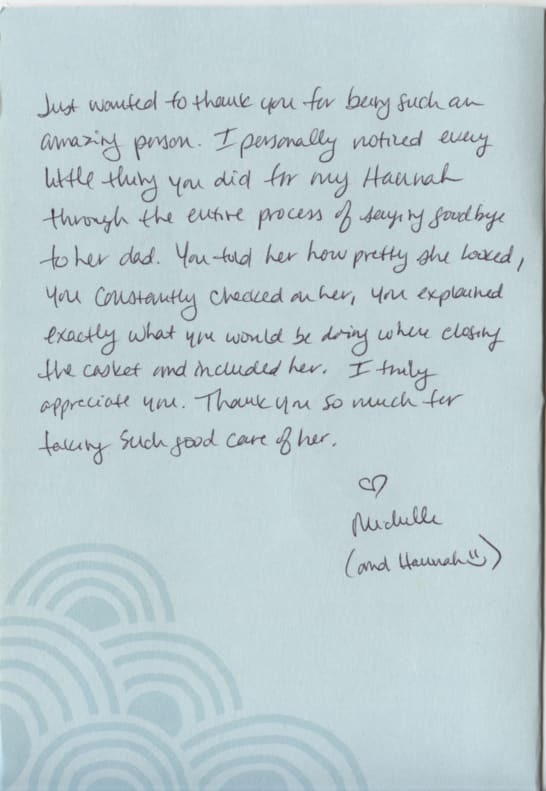 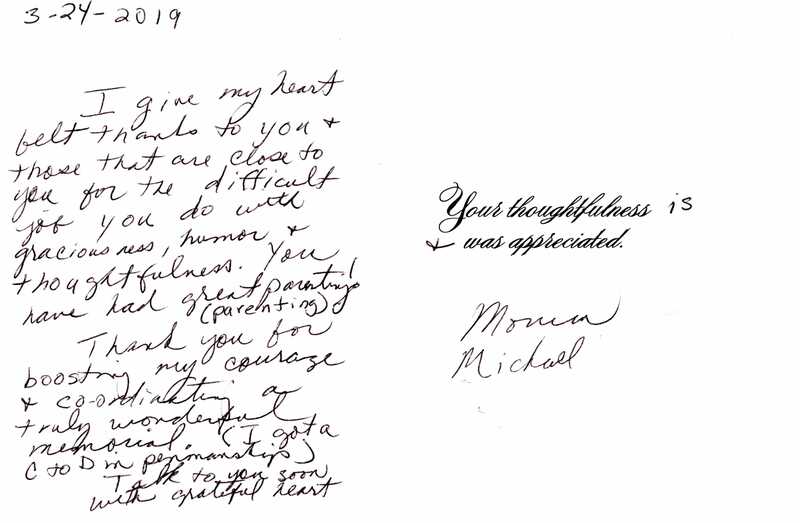 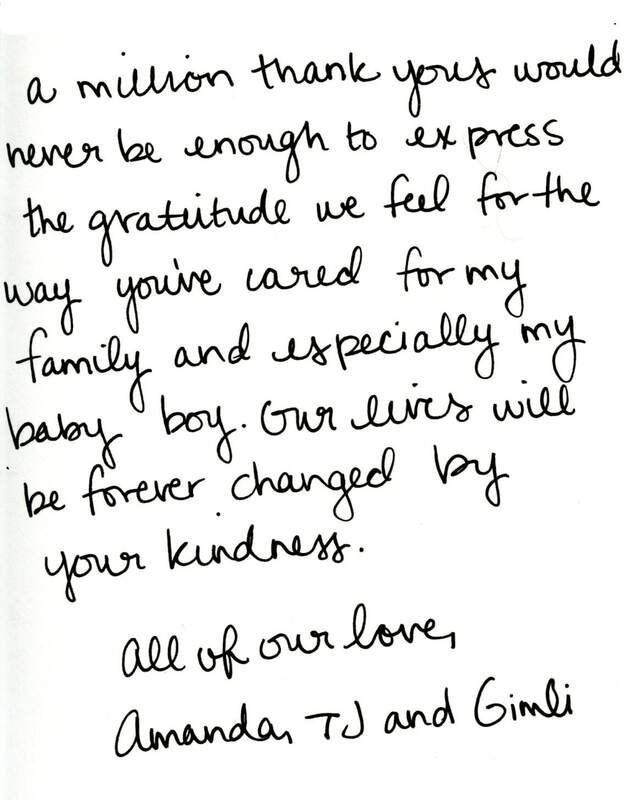 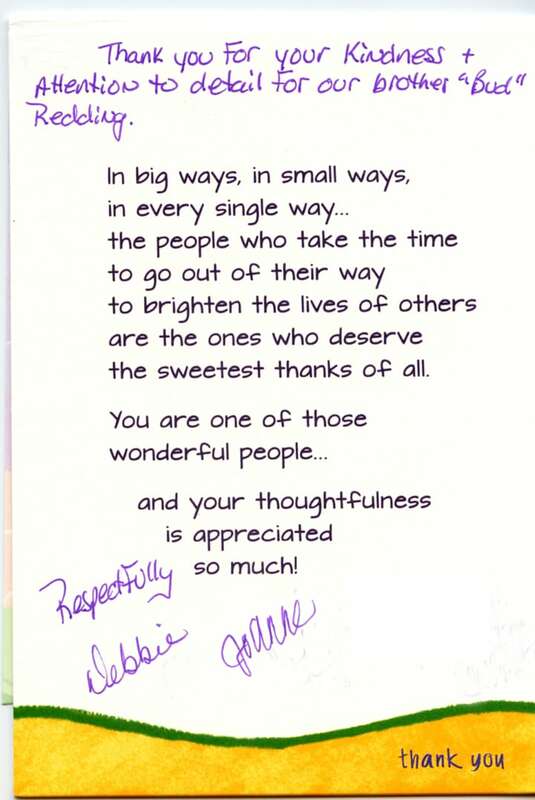 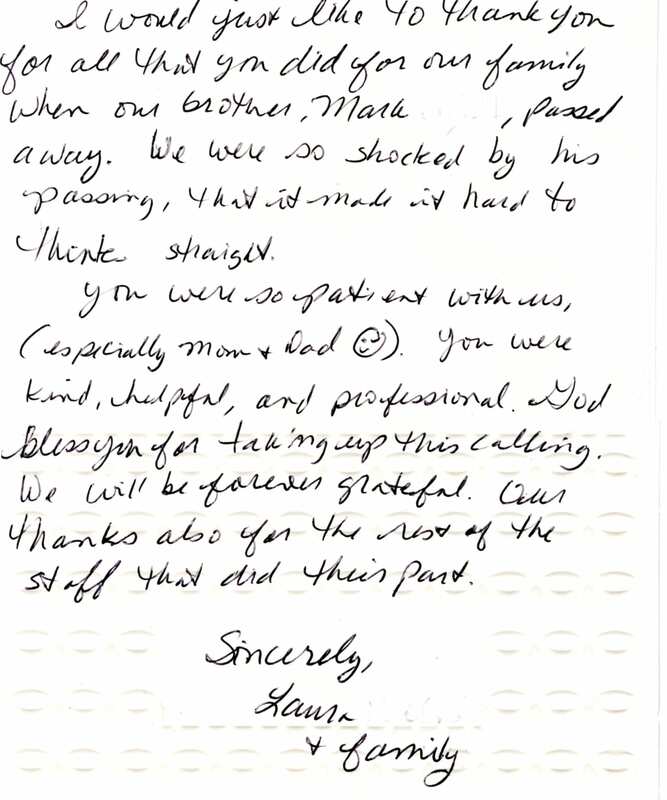 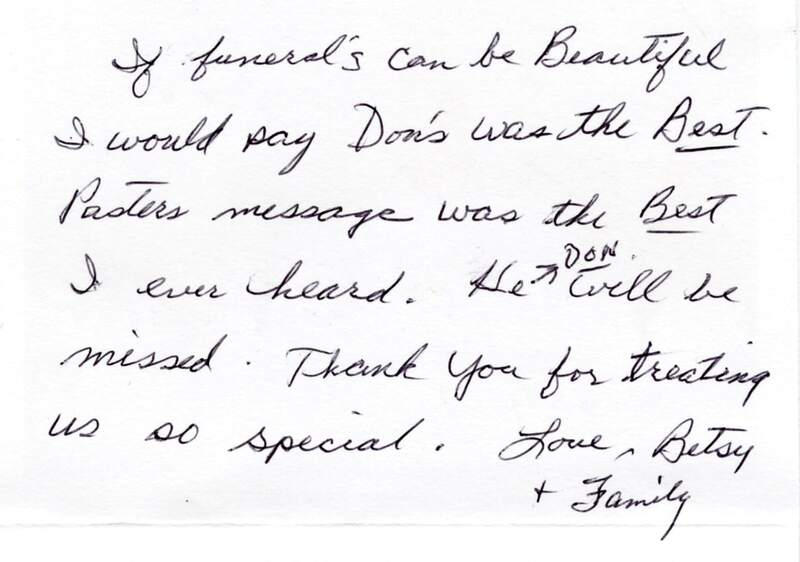 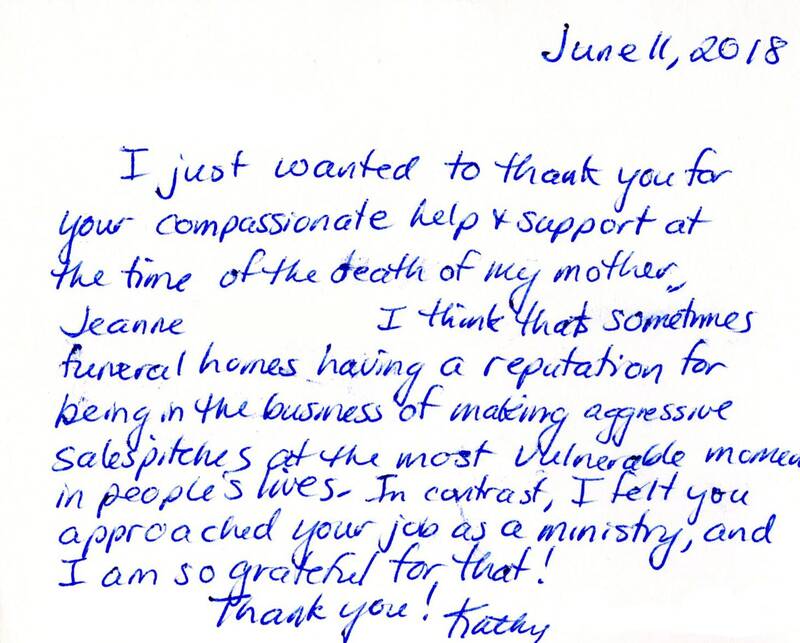 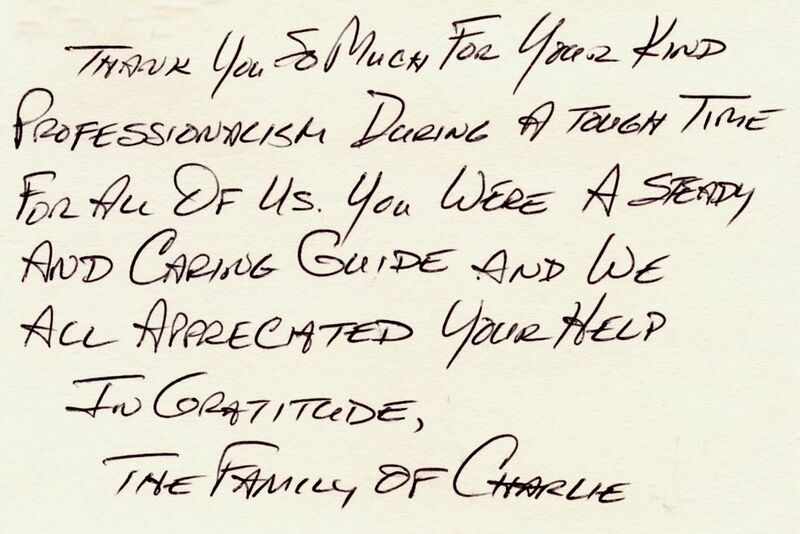 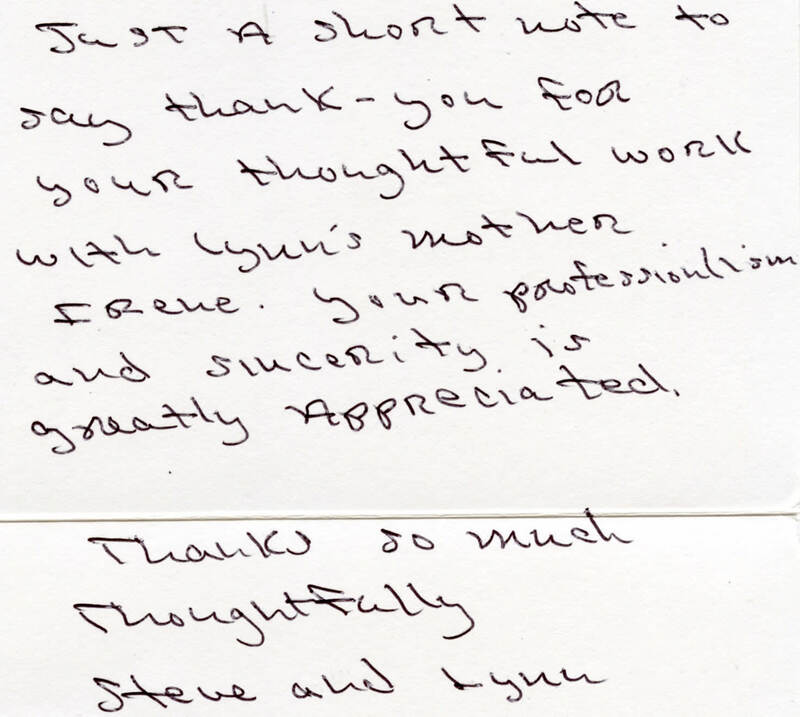 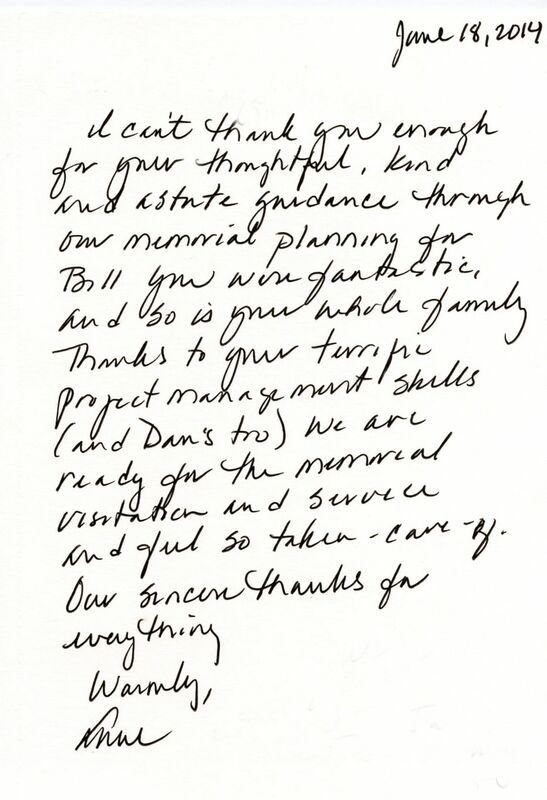 We receive many letters from the families we've helped, thanking us for our caring ways during their time of loss. 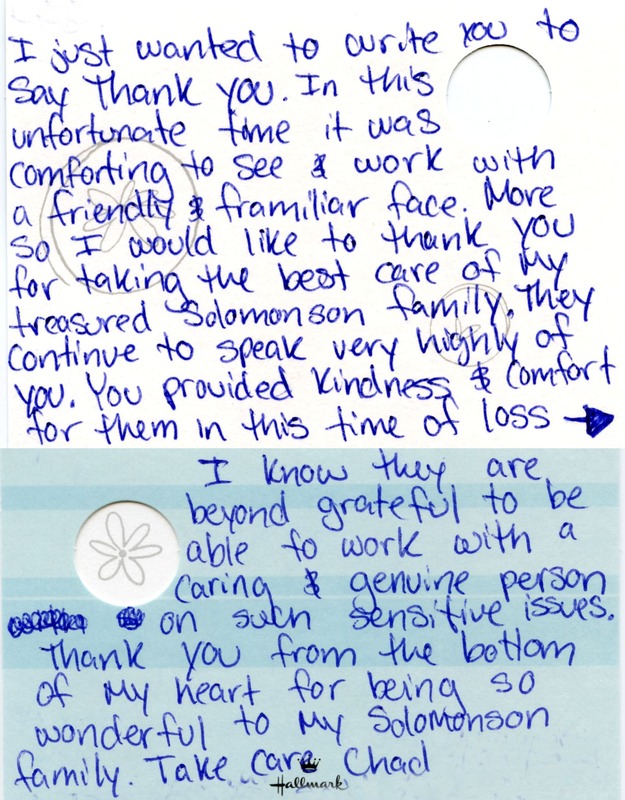 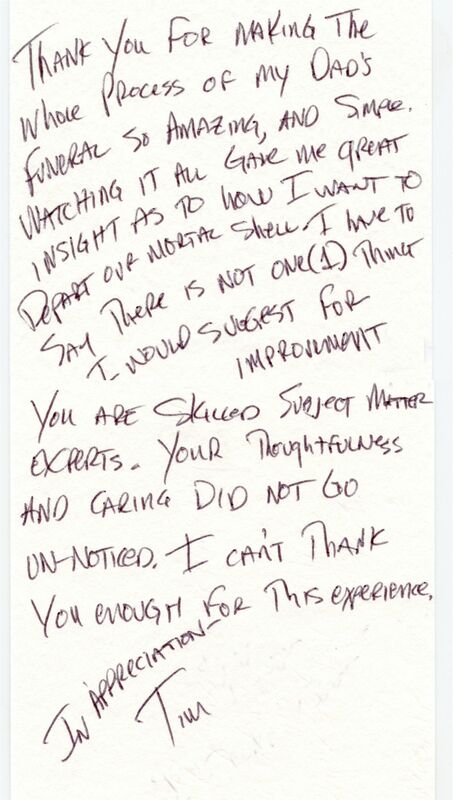 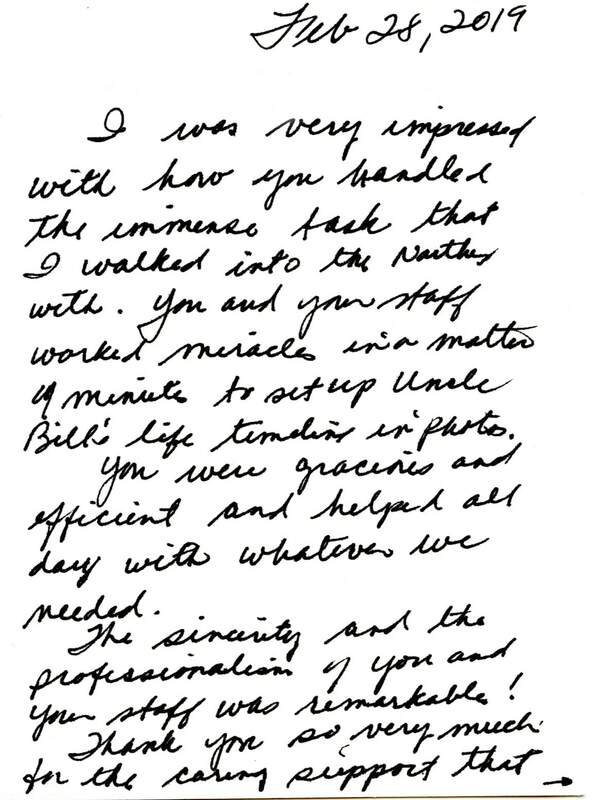 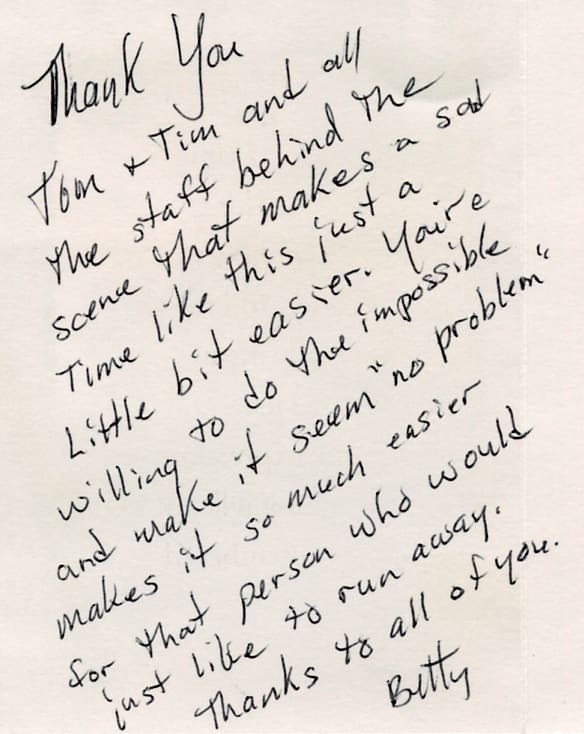 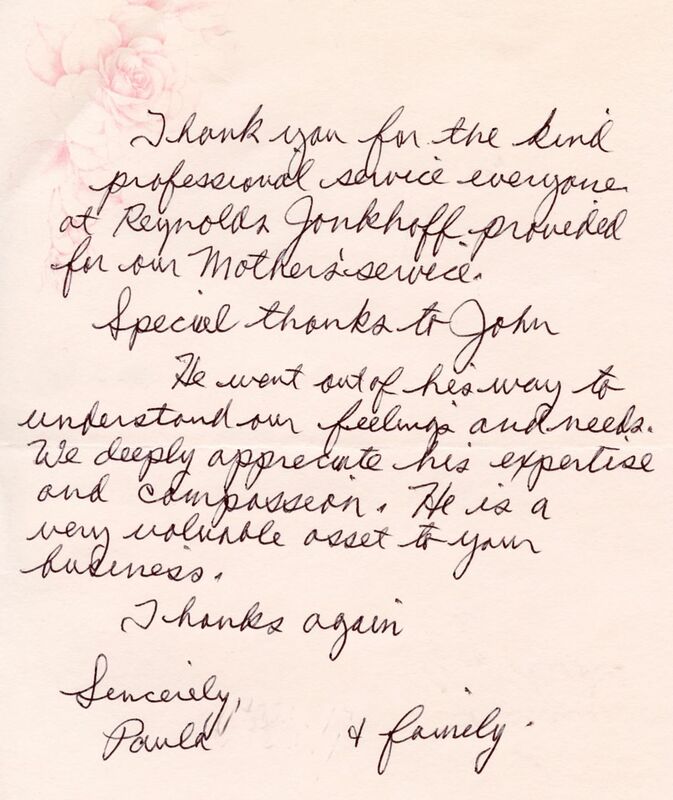 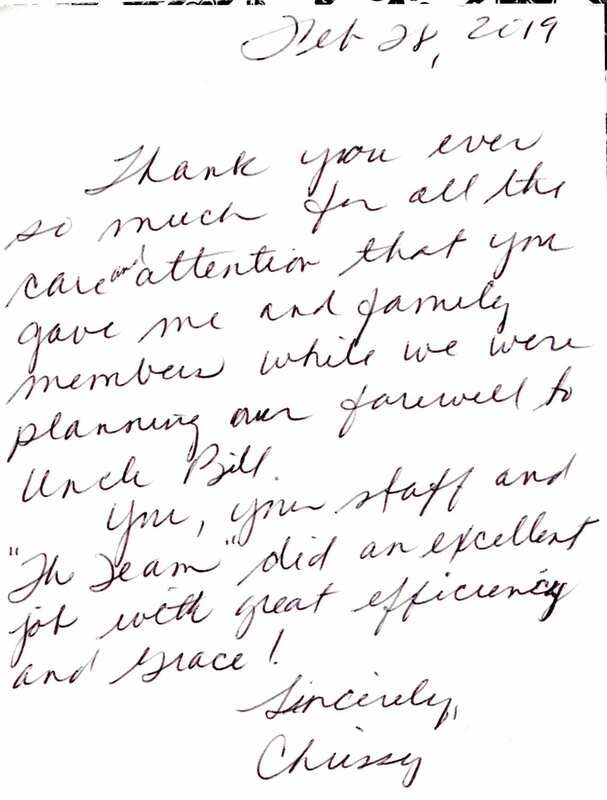 Their words warm our hearts, and speak to you of our professionalism, compassion, and the true value of the services we provide. 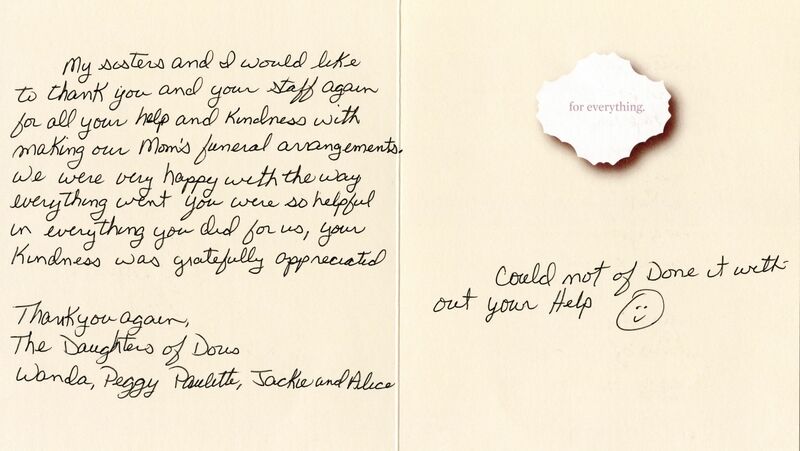 We have kindly removed the last names for online privacy.